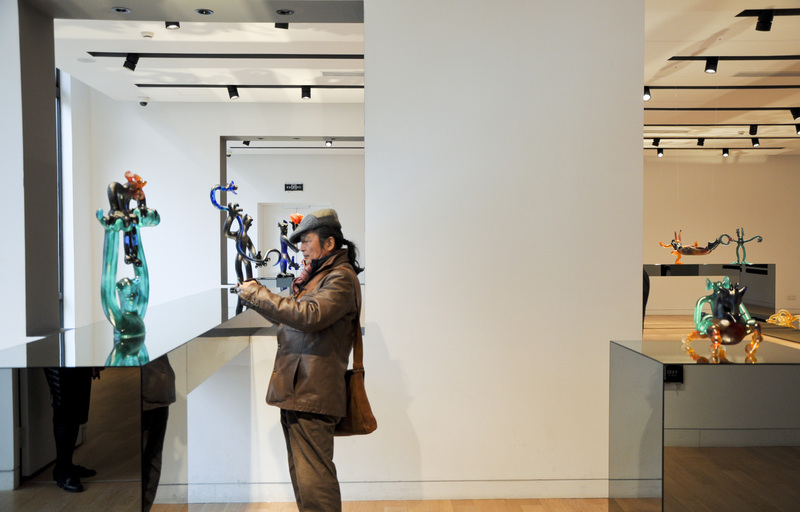 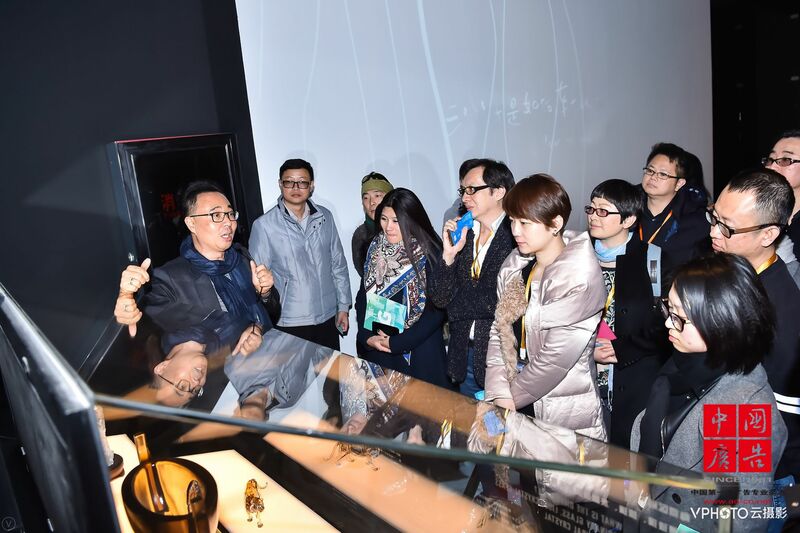 When you walk in wanderingexhibition room, you would be surprised with Li Zhenning’s imagination. 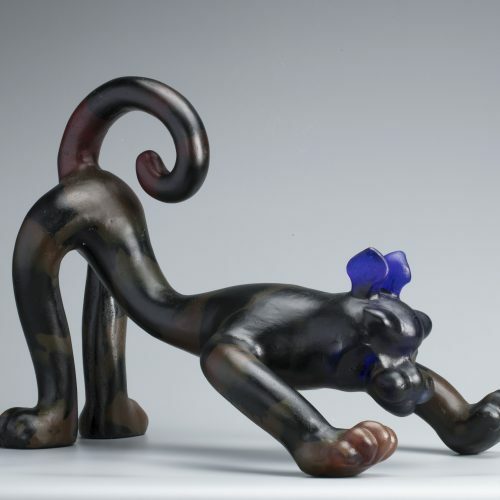 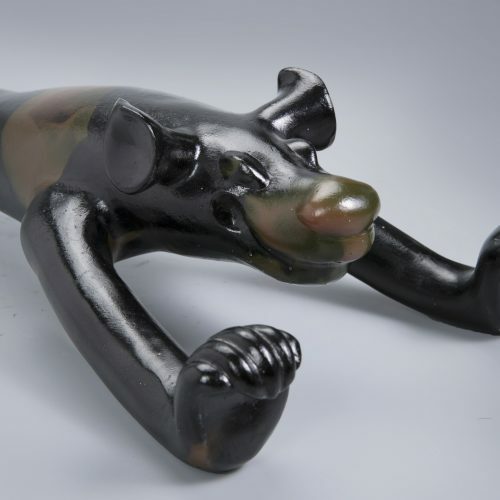 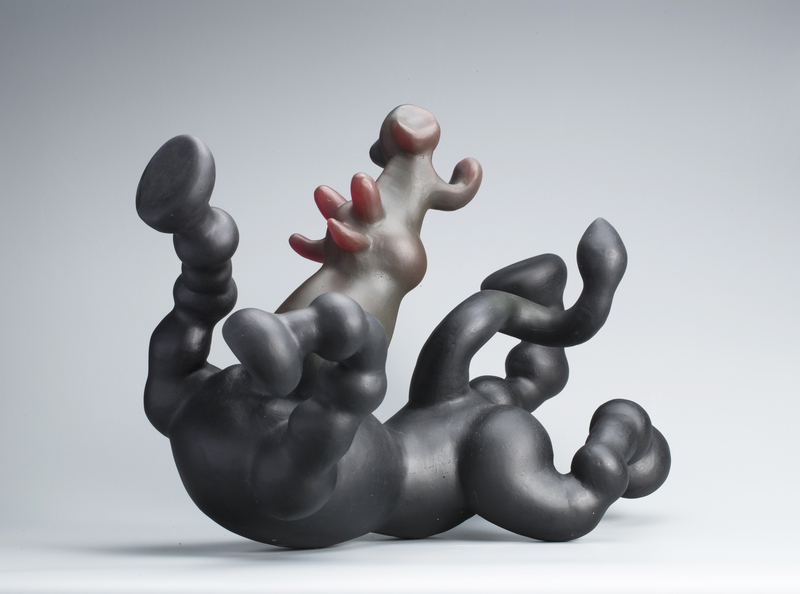 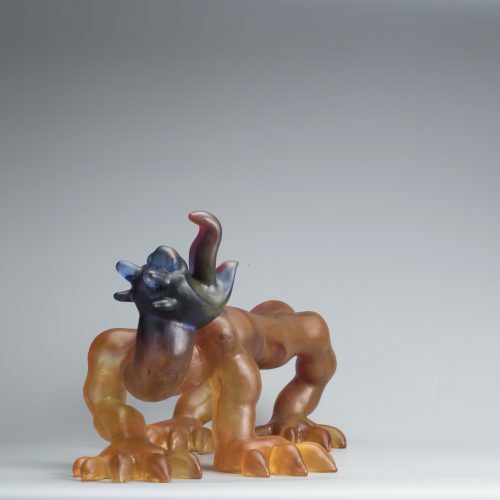 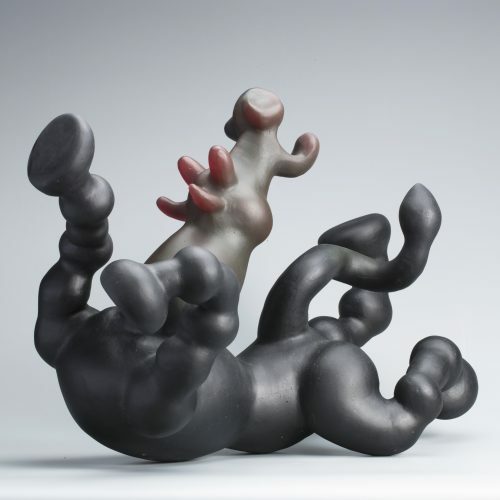 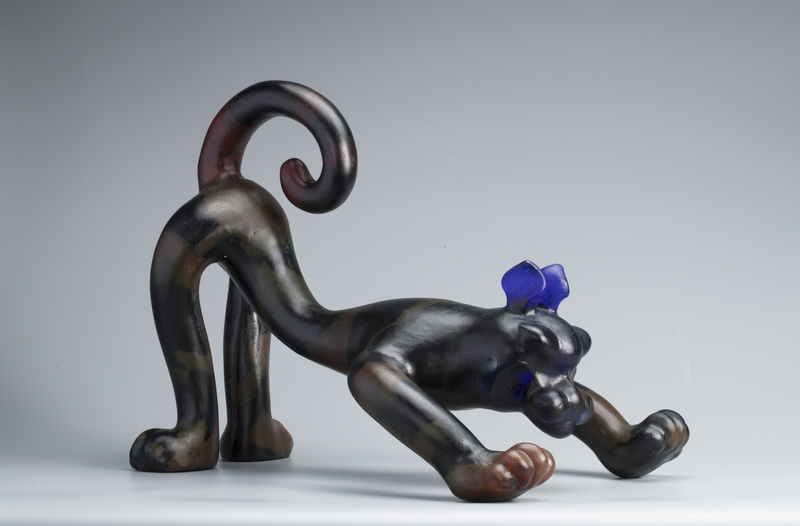 These mythical creatures with different styles either lie on the floor, or stand vertically, or even in a peaceful state that makes visitors lost in thought. 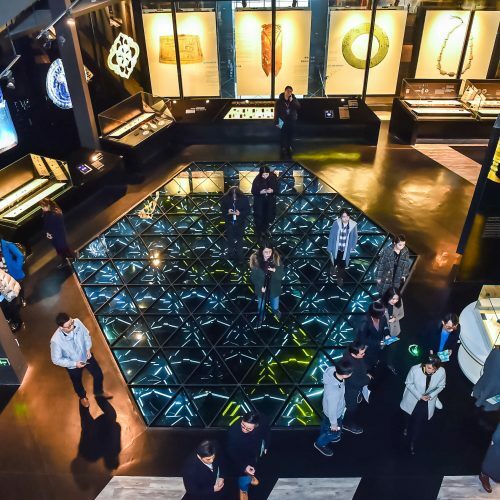 Down the ages, Chinese abundant imaginations offered our nations affluent heritage of iconology, from jade-ware pattern in Liangzhu era to Taotie (a mythical ferocious animal) emblazonry; from mural paintings from past ages tombs to “tomb-guardians” with different postures from wares which were buried with the dead, this approach which uses images to express consciousness is passing on through Chinese blood lineage. 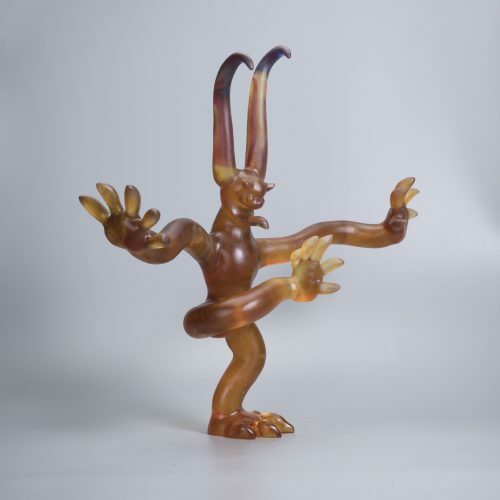 Well, what are the thoughts behind these images? 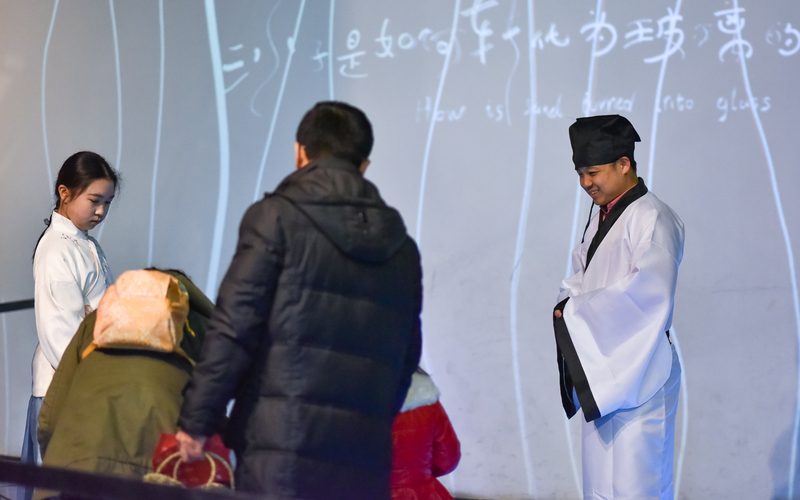 Do unpredictable immortals and people in daily lives have relationship with each other? 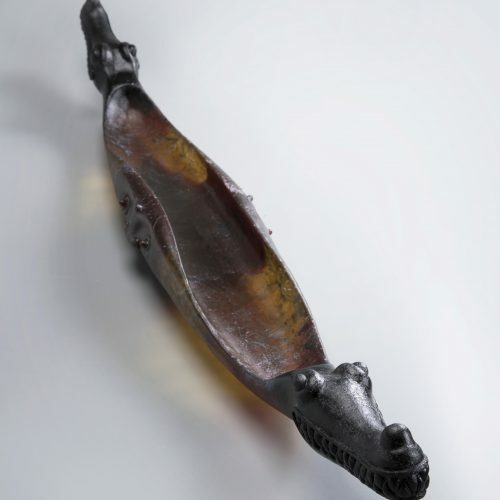 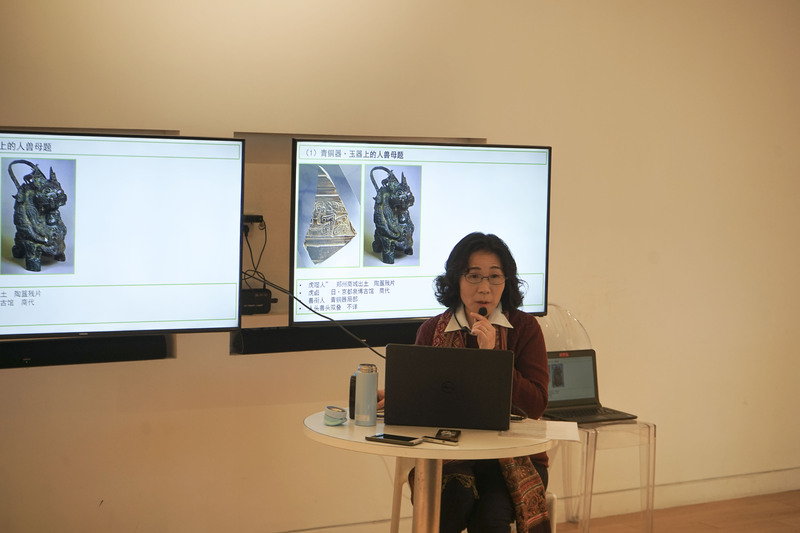 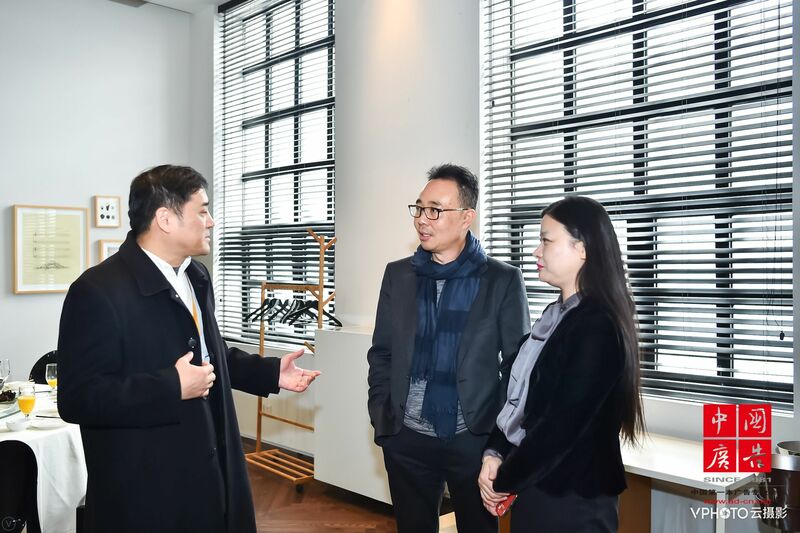 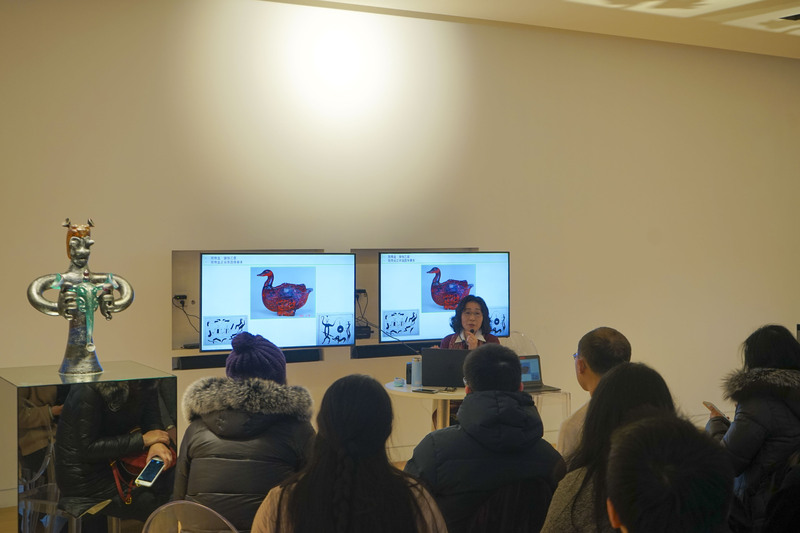 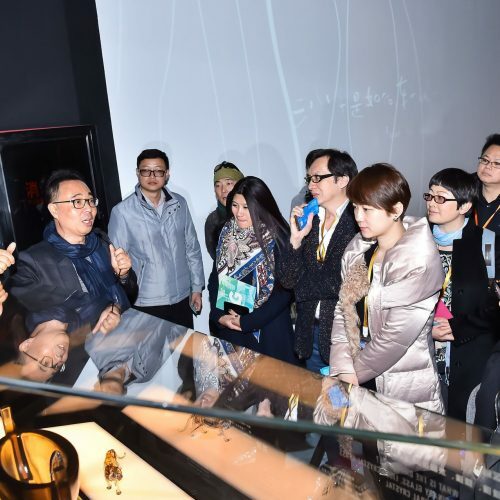 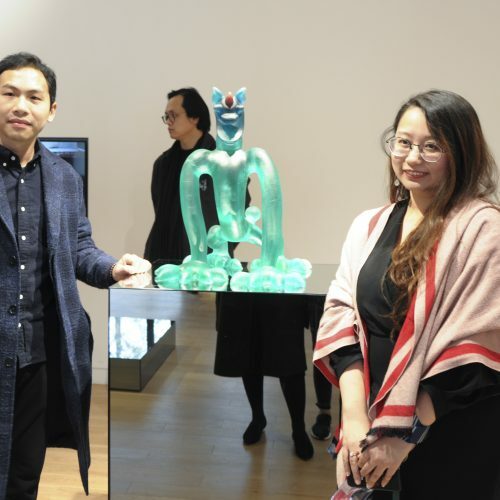 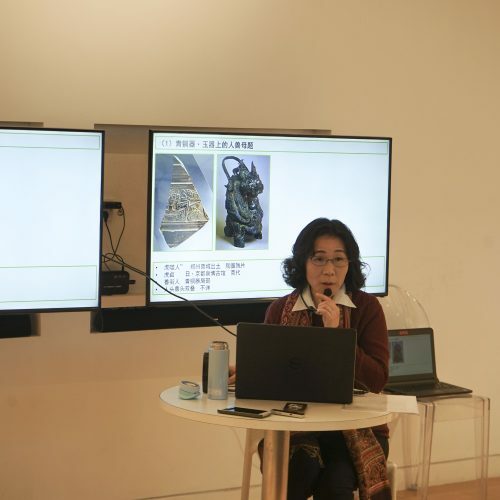 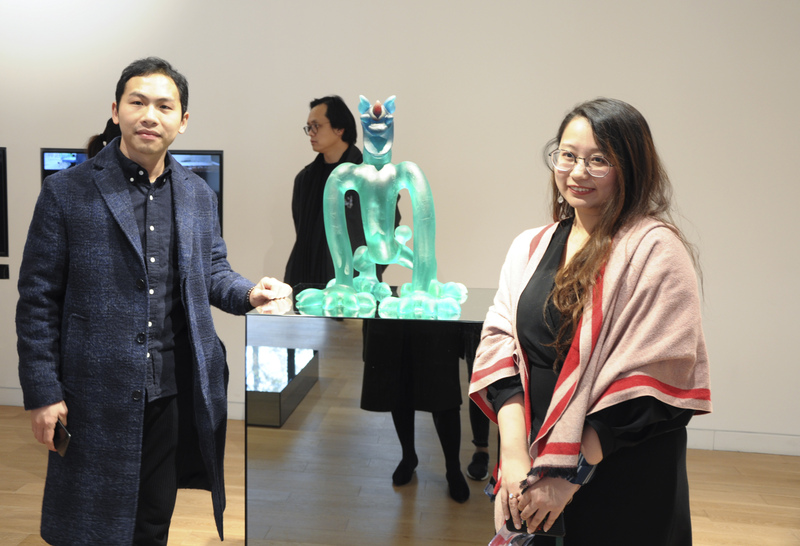 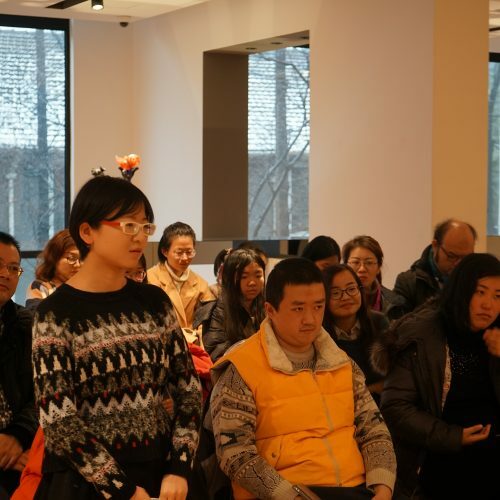 On the 27thof January, 2018, Shanghai Glass Museum invited Dr. Lv Jing, the professor and doctoral supervisor in Fudan university, department of cultural relics and museums to give the public an extraordinary show which was filled with ancient Chinese people’s mental world. 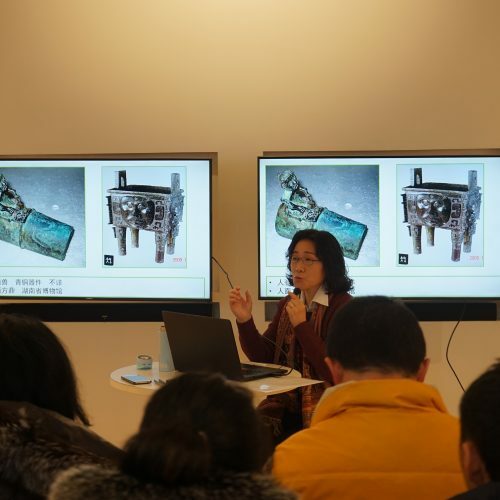 Let’s review the main contents of this lecture. 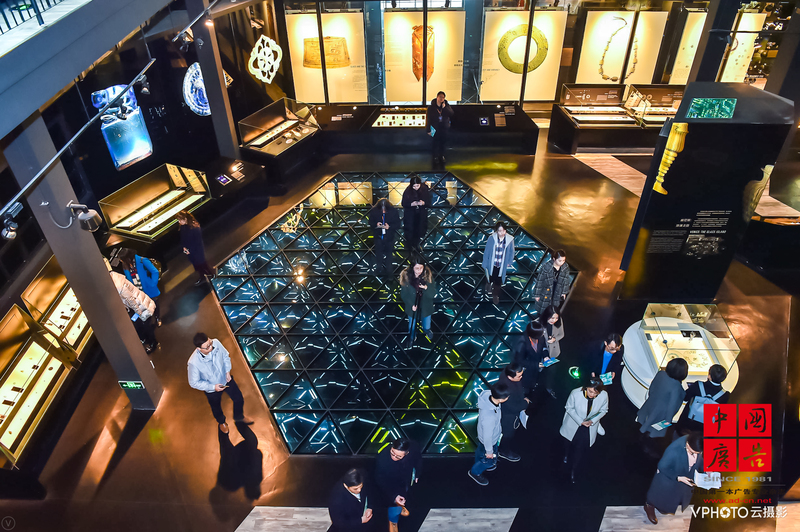 The changes of patterns and designs relates to the changes of human productive activity, living ways and the entire world outlook. 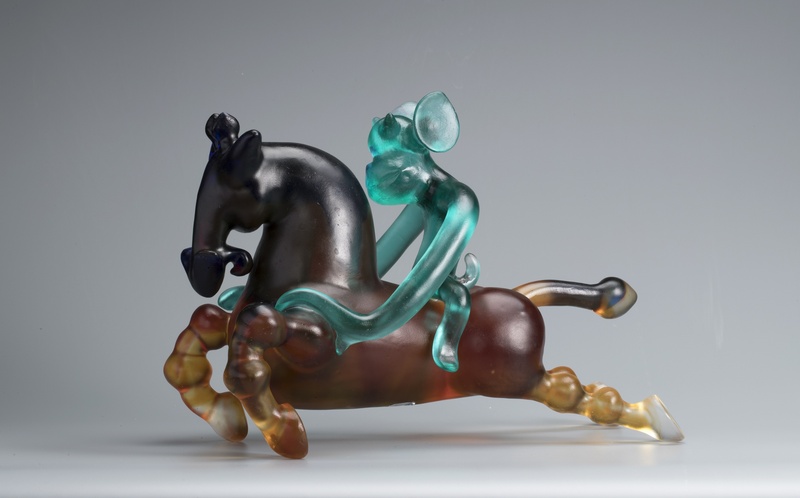 The same mythical-creature theme appeared repeatedly in different eras and different expressive forms, it also helps modern people reveal ancient men’s’ spiritual worlds that were lost in written records as well as Chinese are always changing this world and adjusting the relationship between animals. 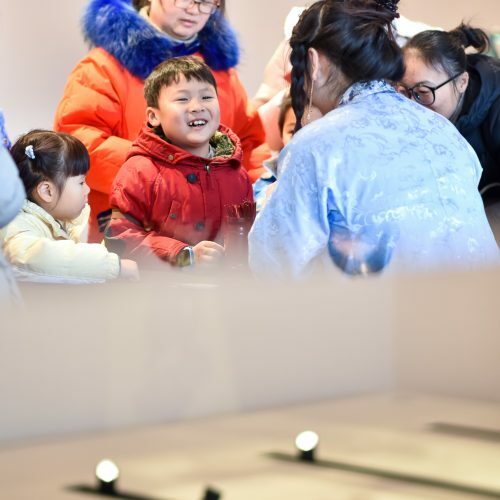 Animals, are people that rely on for a living, are peers, are friends, but are enemies in most of the time… however, over thousands of years, Chinese have never changed the deep love of the ground——it’s also the fervent emotions that are expressed in these images. 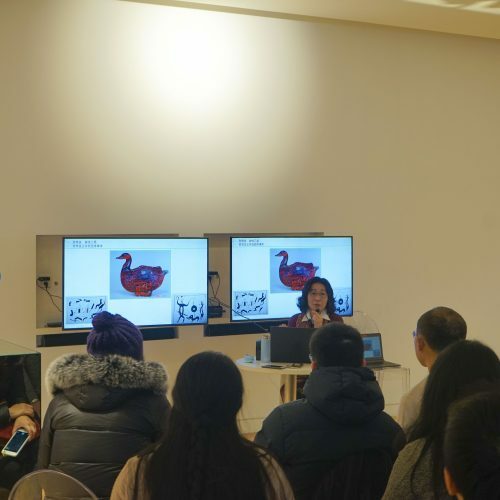 Over the two-hour lecture, from the audience’s faces, we didn’t’ see any weariness, instead, they showed curiosities from there twinkling eyes. 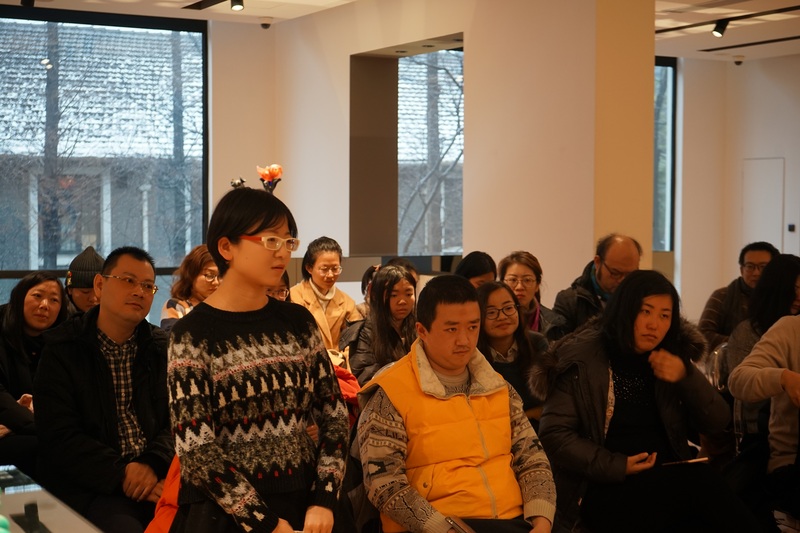 Many of them even raised questions and discussed the related patterns and changes of thinking with Dr. Lv Jing. 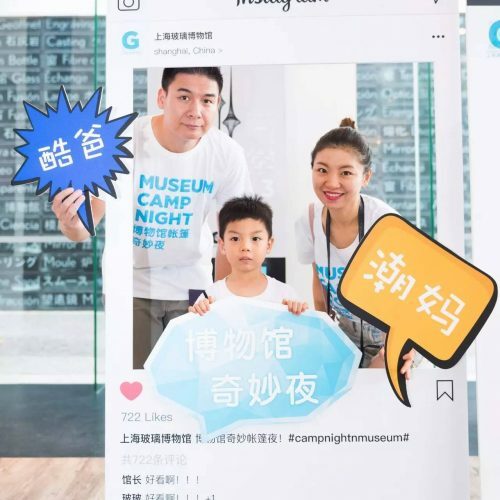 The enthusiastic environment made the museum more aware of the values and significance of bridging the public and cultures. 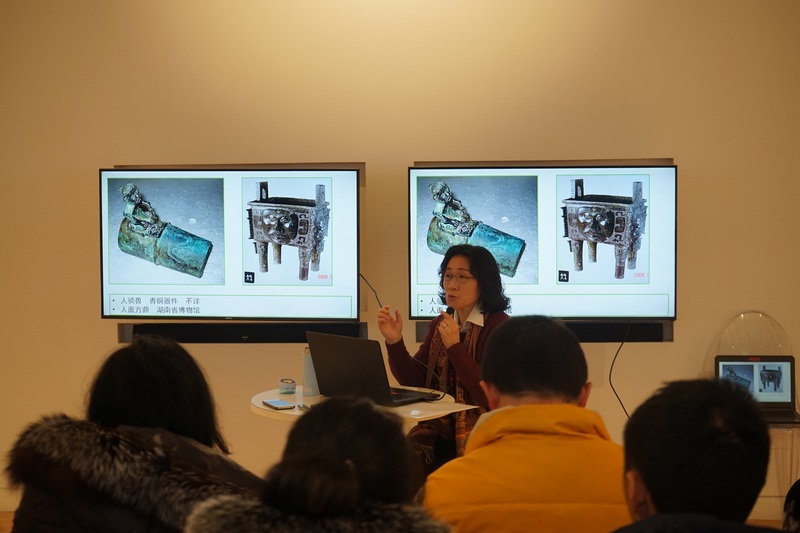 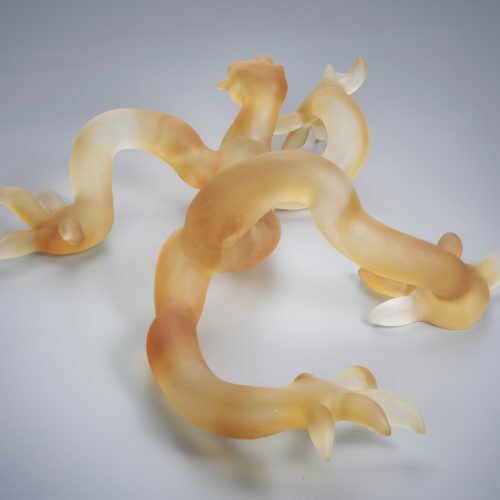 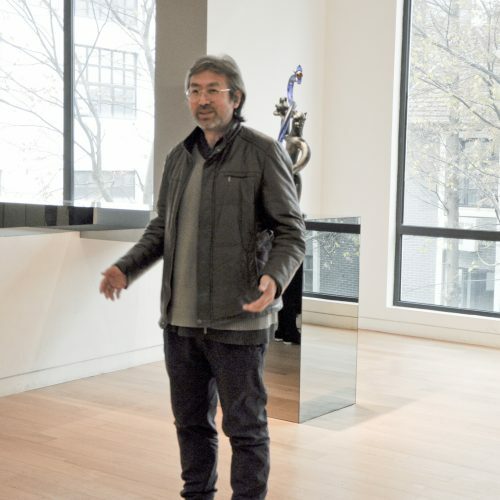 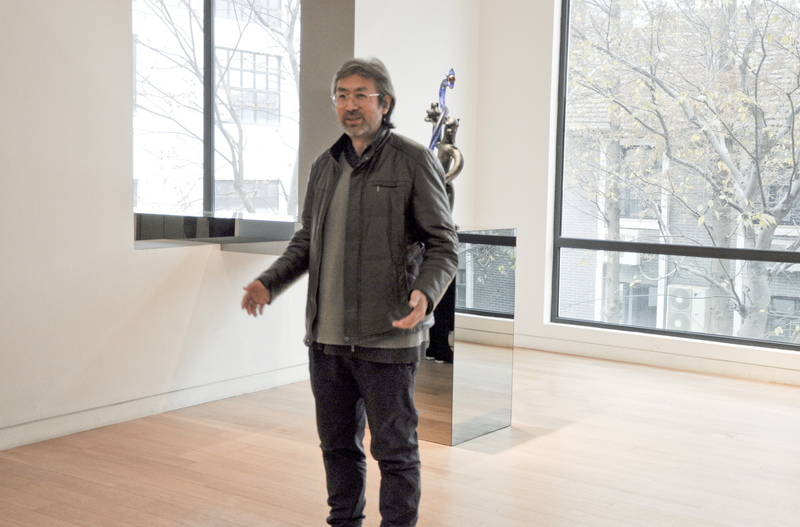 The texts above are organized by Shanghai Glass Museum according to the lecture content. 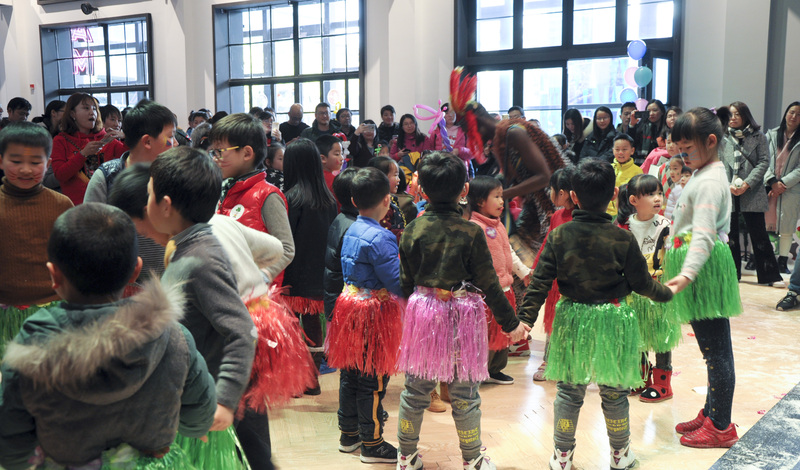 Spring festival is one of the most important festivals in Chinese traditional culture. 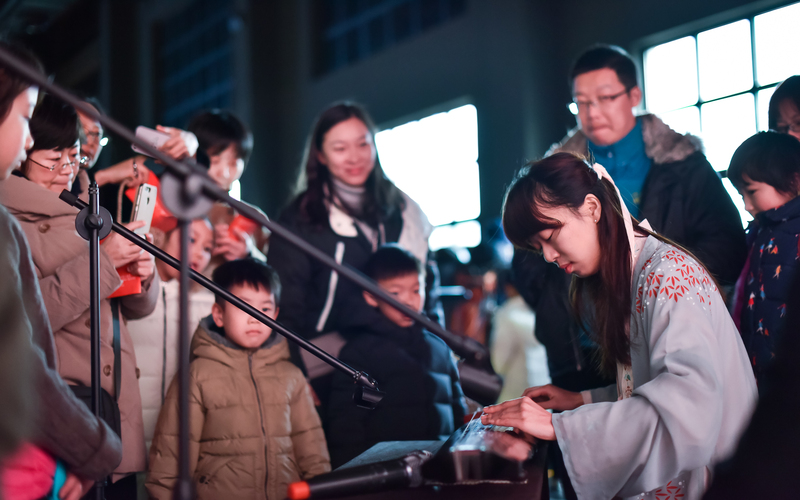 Ringing out the Old Year and ring in the New Year, getting reunion as a family. 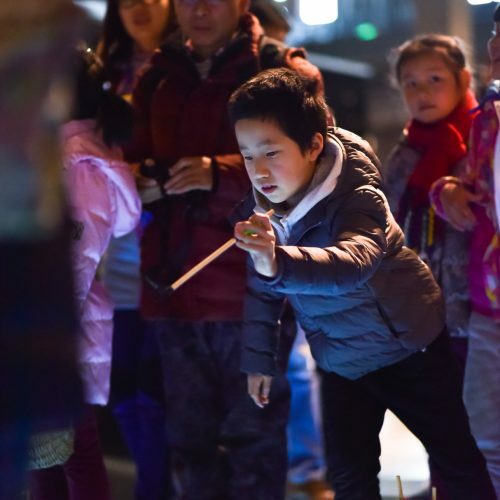 From the memory in the childhood, having the Spring Festival is the long-awaited hearty reunion dinner, is setting off firecrackers at midnight, is pasting spring poems and changing new clothes with the family, these are all sweet memories full of tender feelings, we can not only get eudemonic feelings from it, but also feeling the inheritance of Chinese traditional culture. 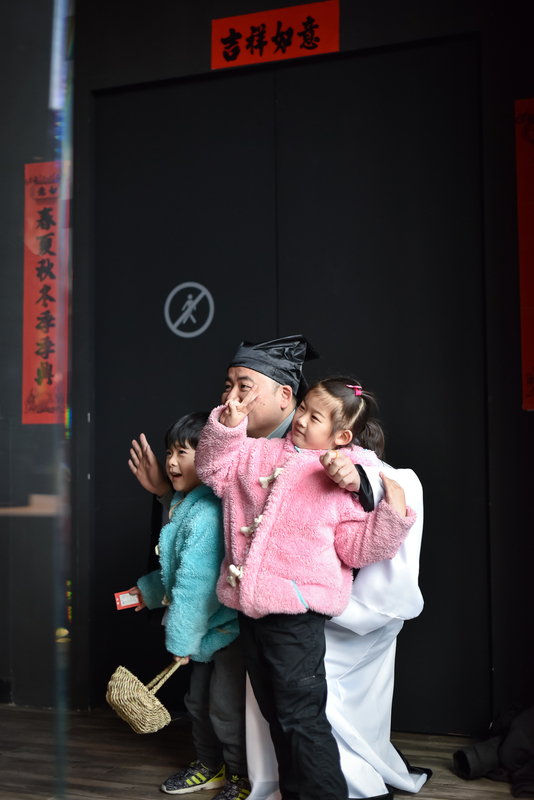 What are customs of Spring festival? 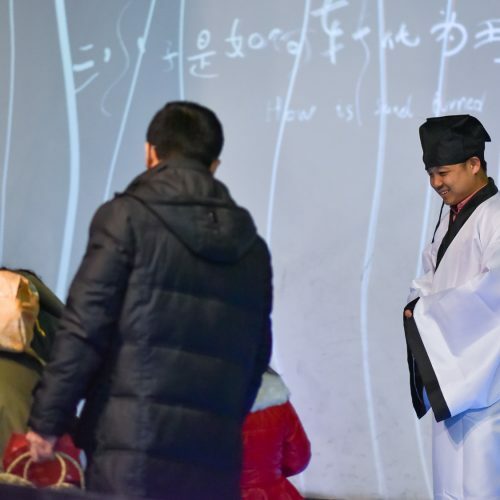 What are the special events? 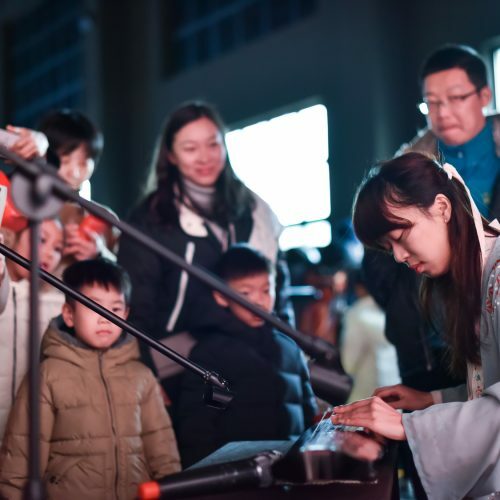 What do we play during Spring Festival? 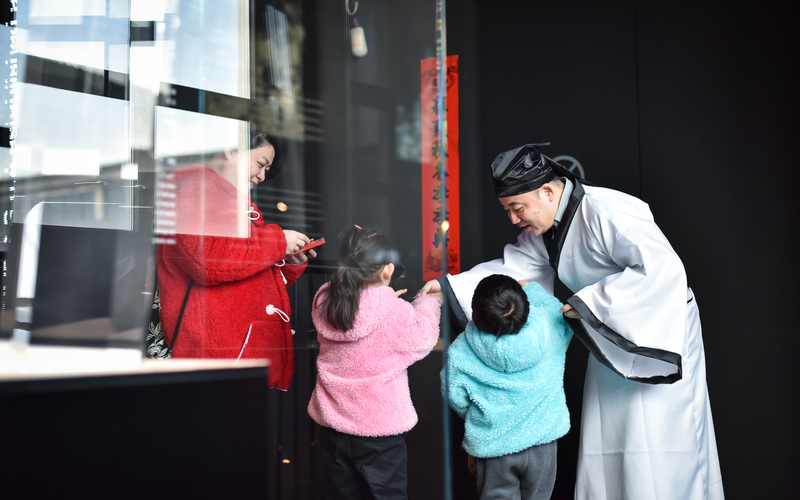 How can we feel the meaning of having traditional festival? 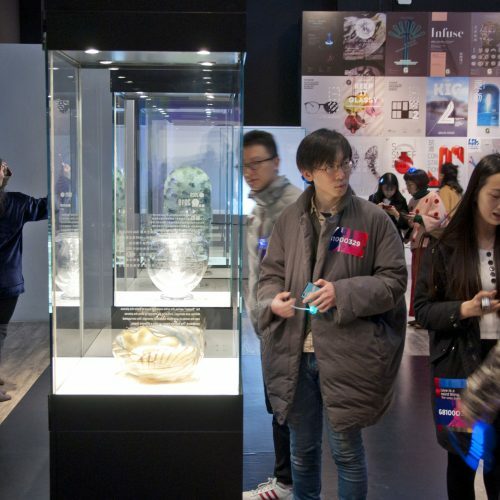 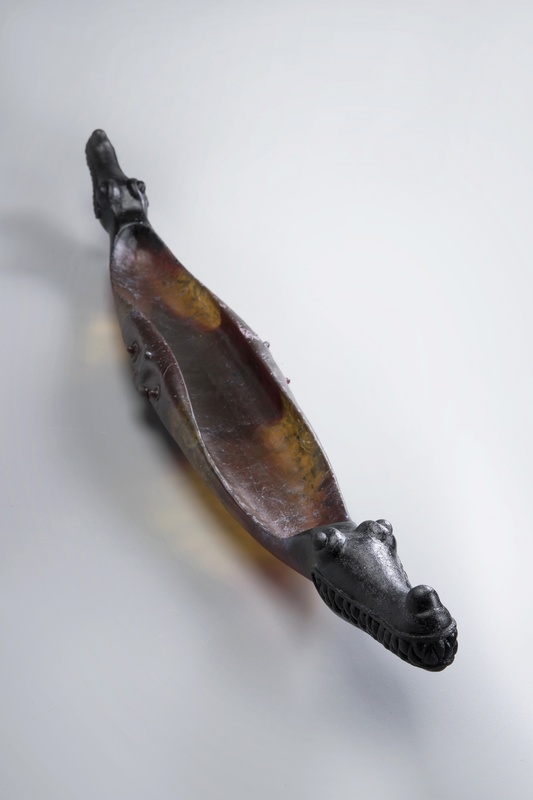 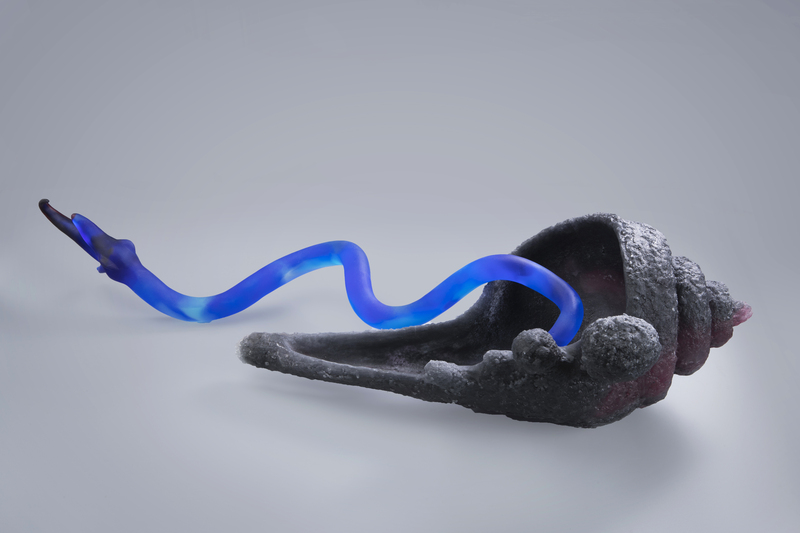 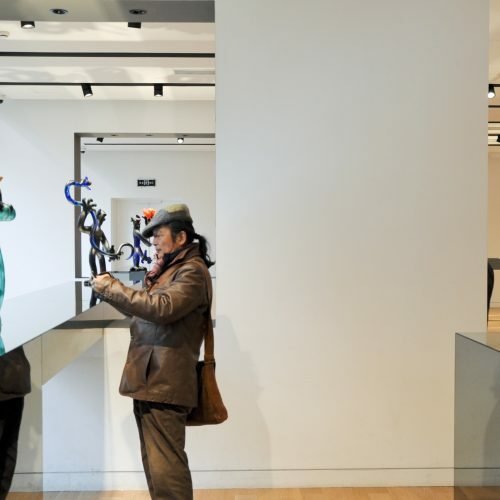 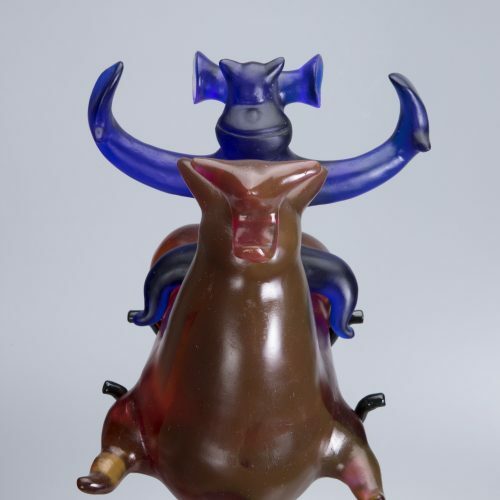 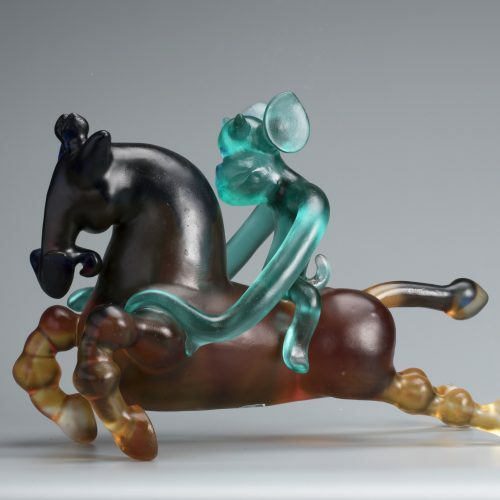 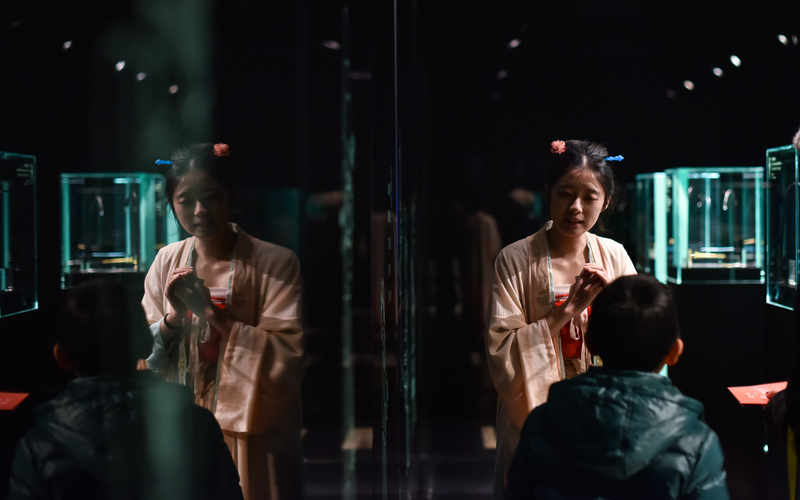 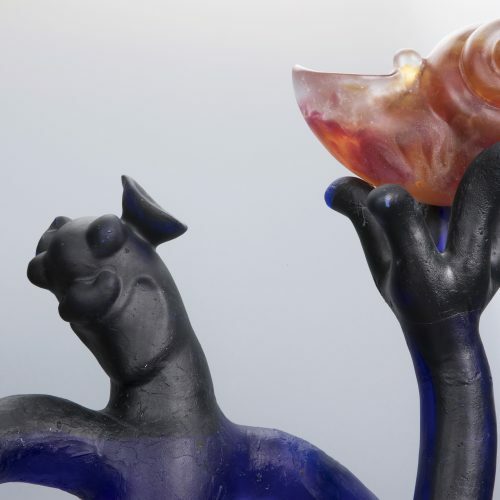 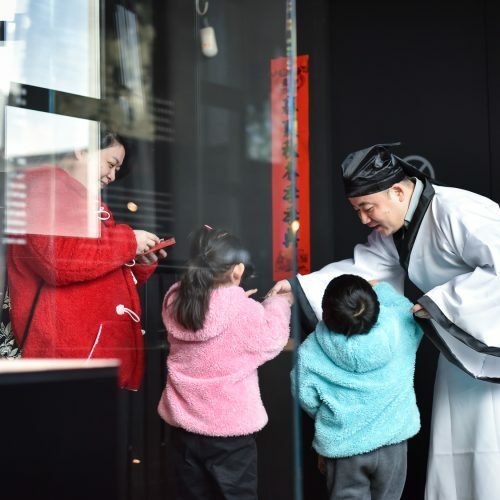 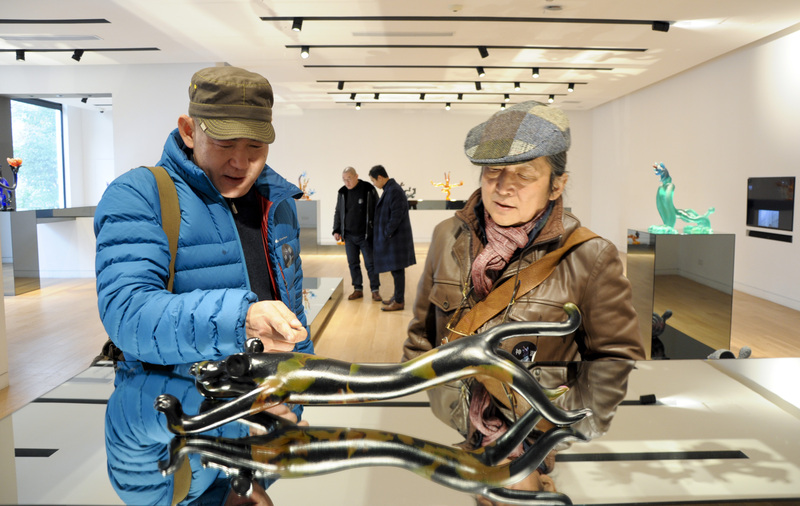 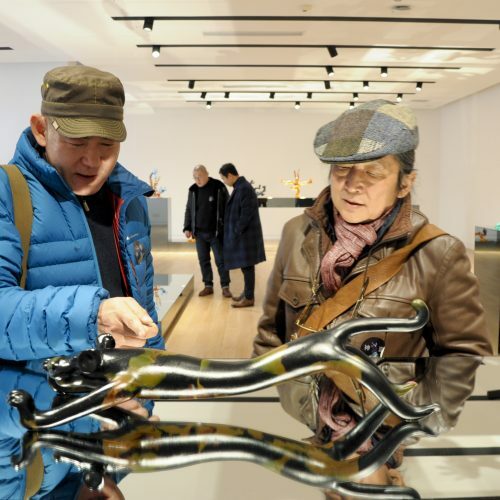 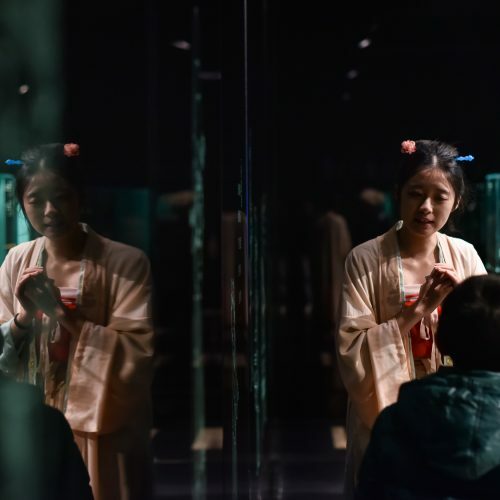 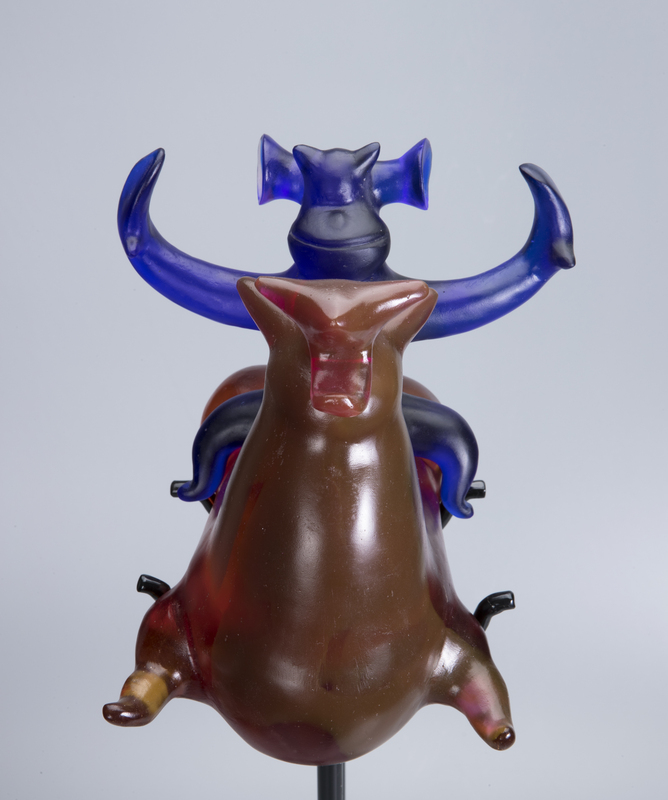 Let’s follow Shanghai Glass Museum travelling back to Song dynasty and find the answer, and see how people in Song dynasty celebrate Spring Festival as well as experience the warm Spring Festival atmosphere in Song dynasty. 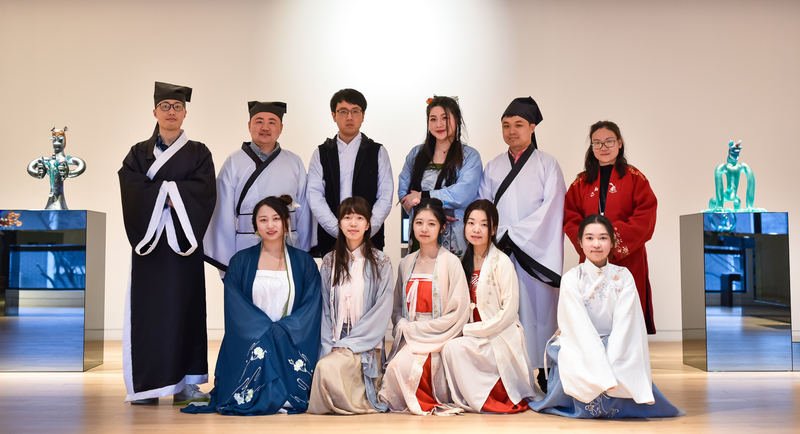 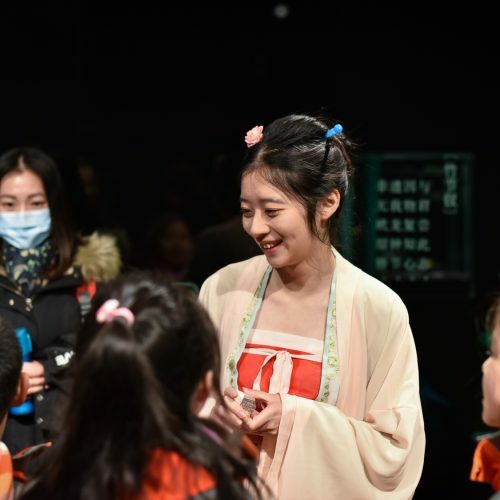 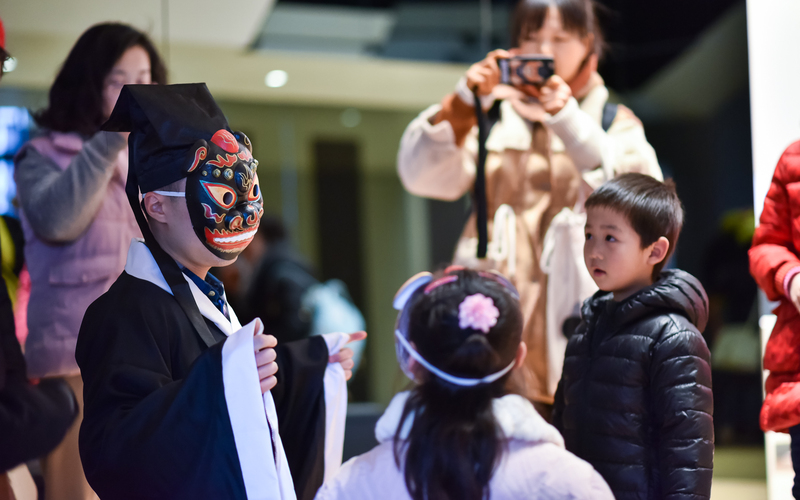 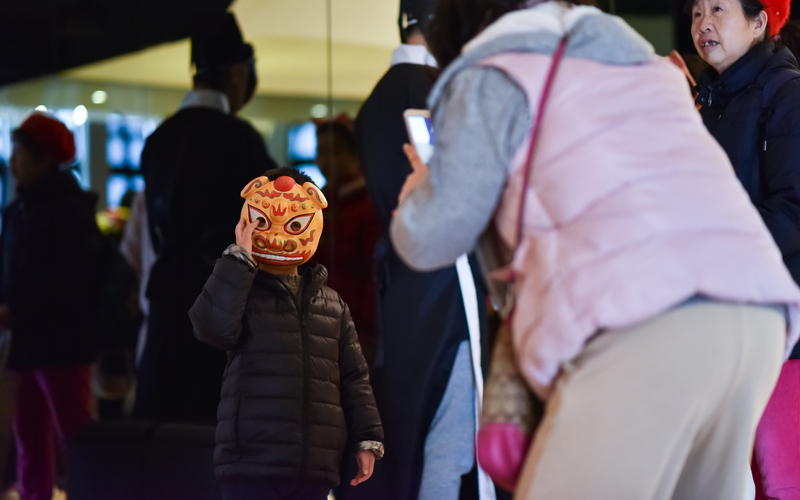 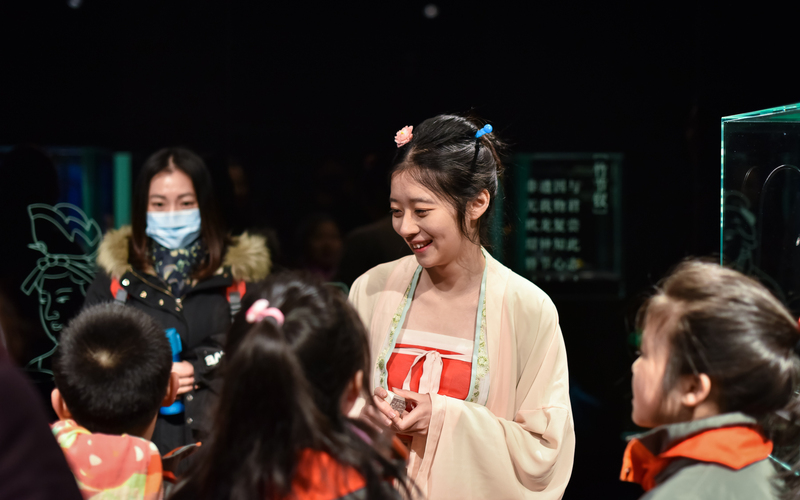 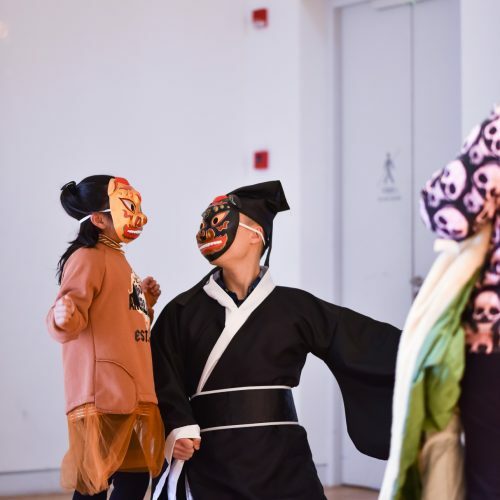 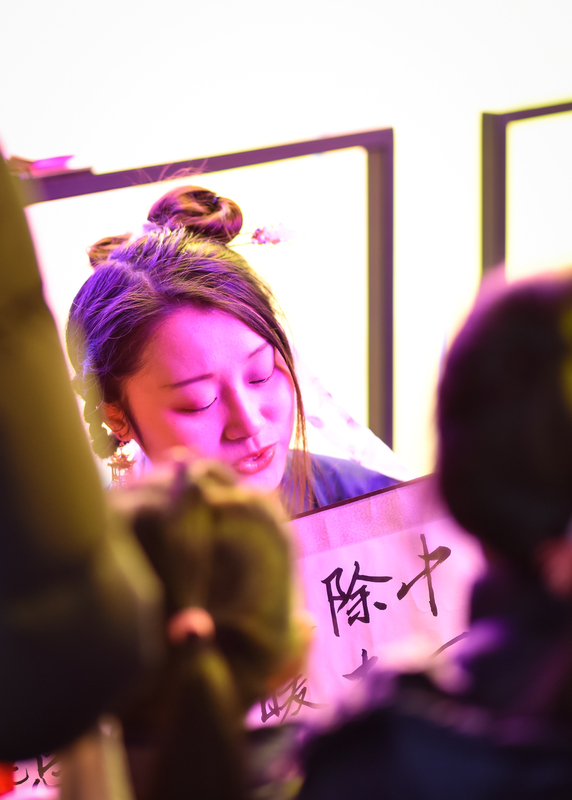 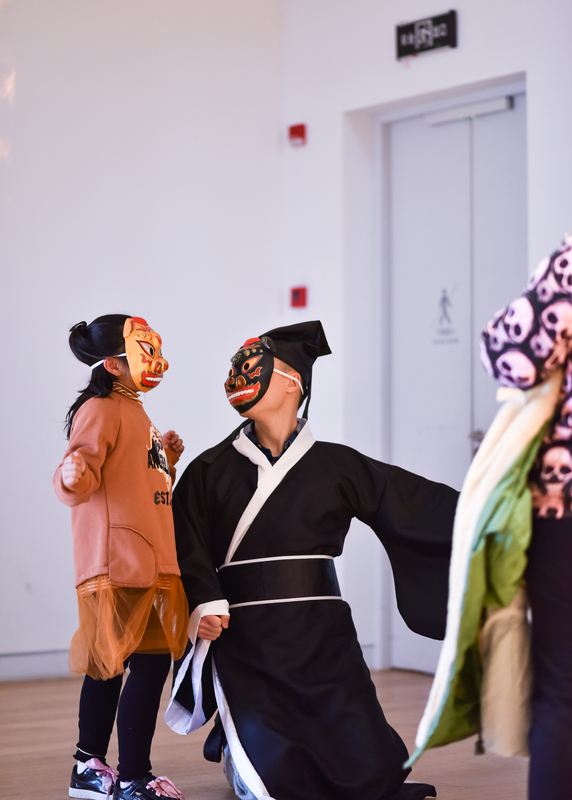 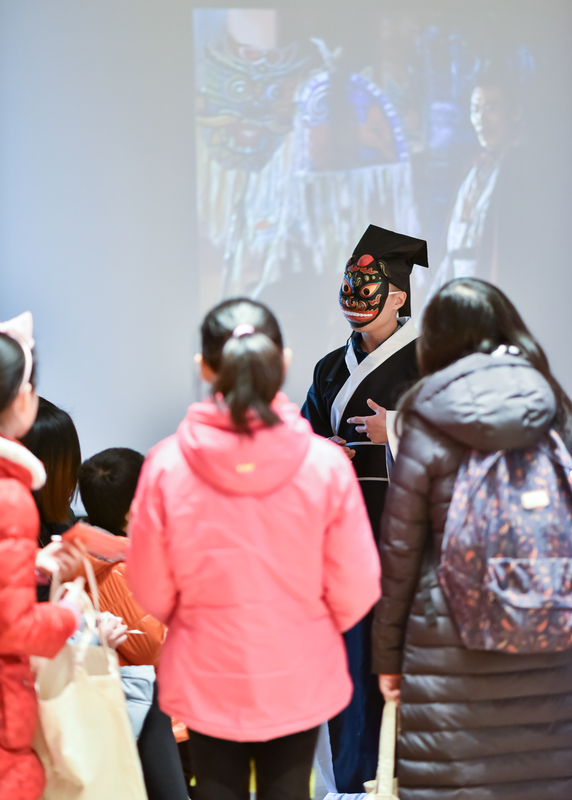 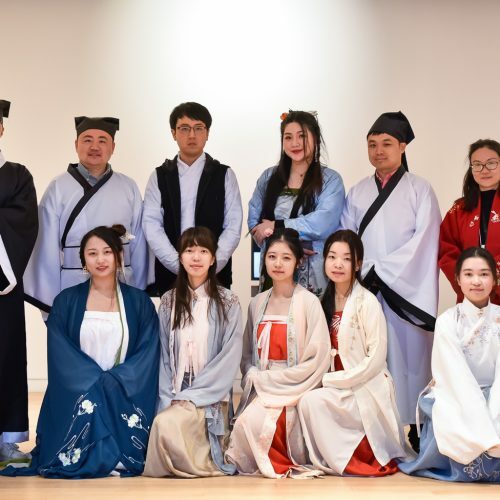 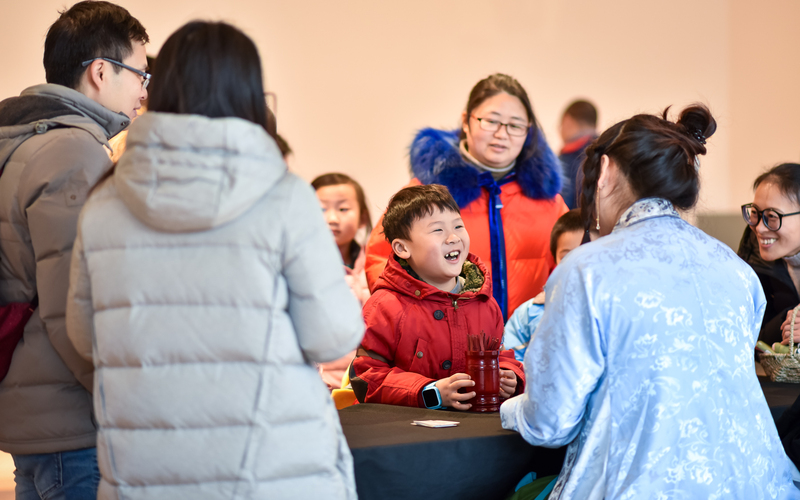 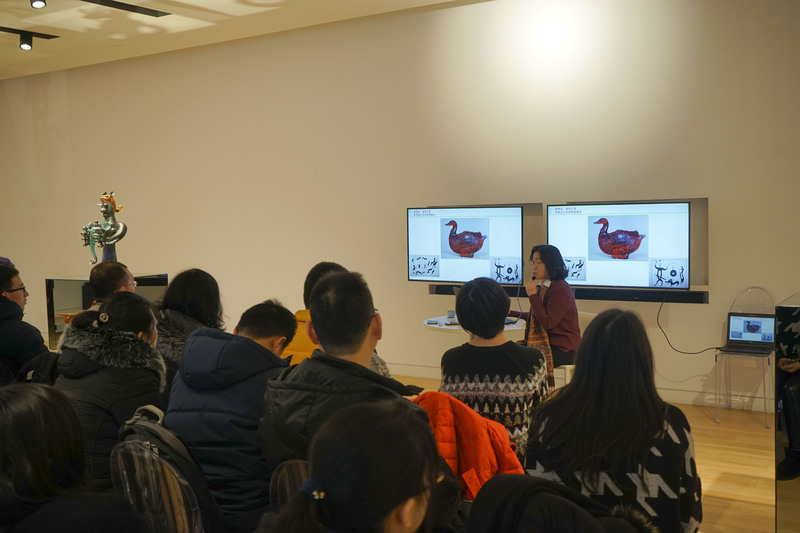 On the 3rdof February, 2018, we held a having a happy new year in Song dynasty event and made visitors experience a traditional lunar new year in the museum. 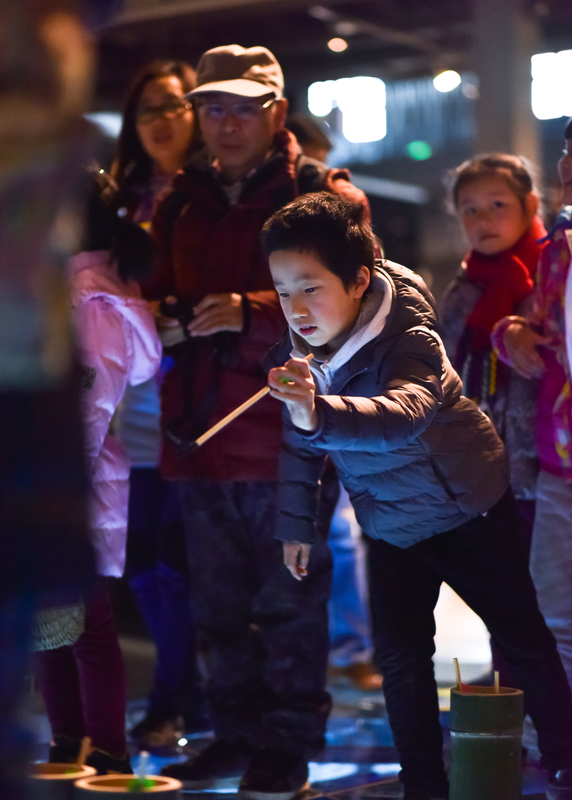 This activity is divided into 10 sites, at the march-in ceremony, each child could get a mysterious red packet, inside it, there is a list of special purchases for the Spring Festival and some currencies (Jiaozi from Song dynasty). 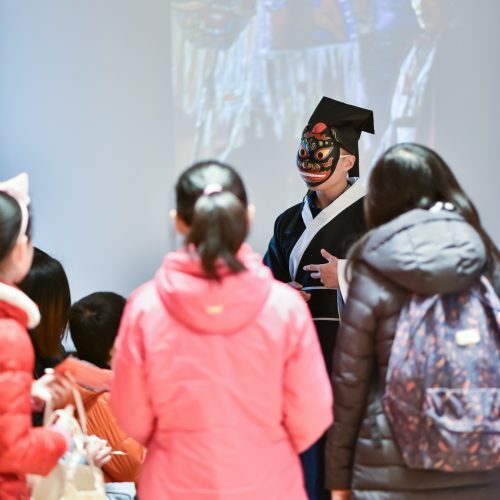 Experiencing the joy brought out by Spring Festival and warm atmosphere through watching the show, interactive experience and answering questions these three ways, also collecting more currencies (Jiaozi from Song dynasty), buying correct goods for Spring Festival, experiencing Spring Festival in Song dynasty, learning how people in Song dynastycelebrate Spring Festival and people’s lifestyle in Song dynasty. 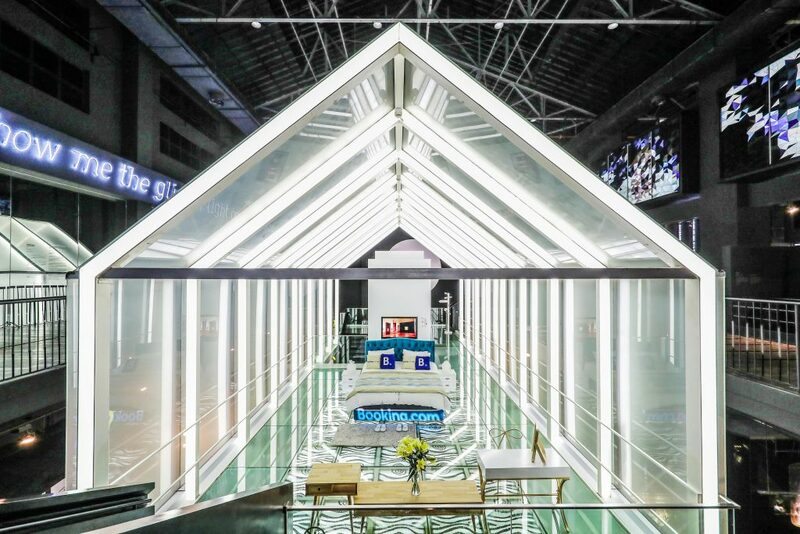 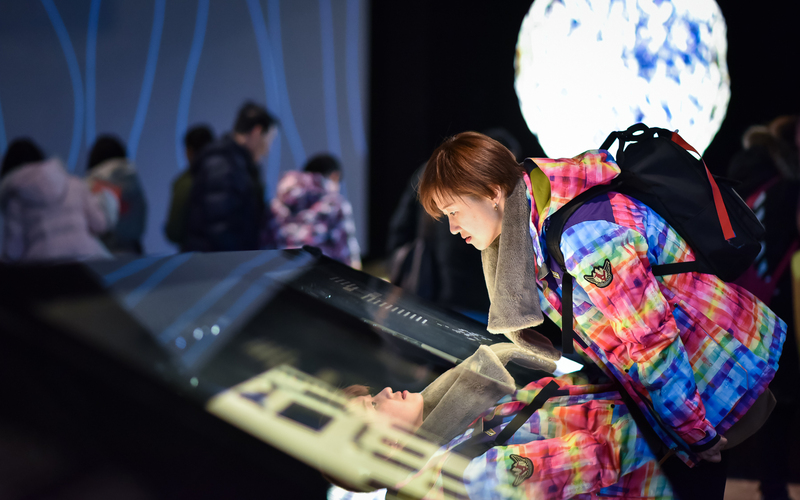 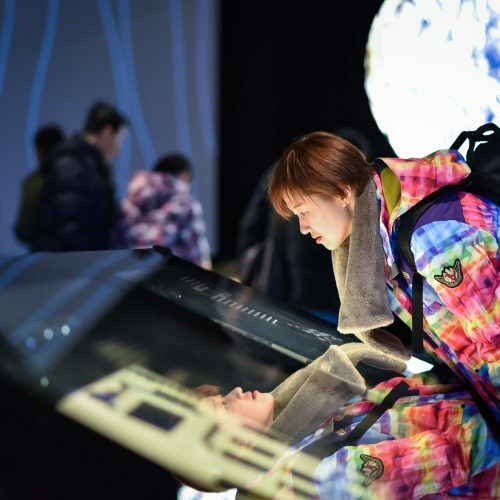 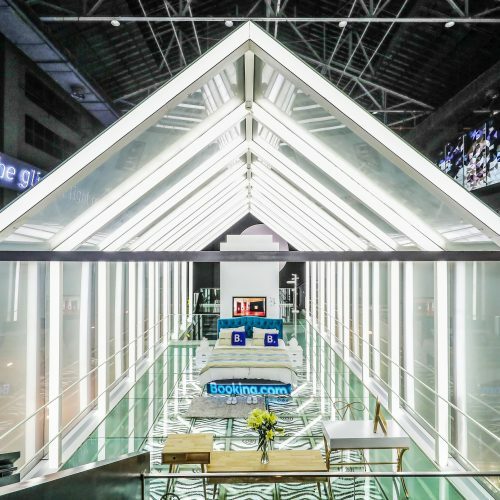 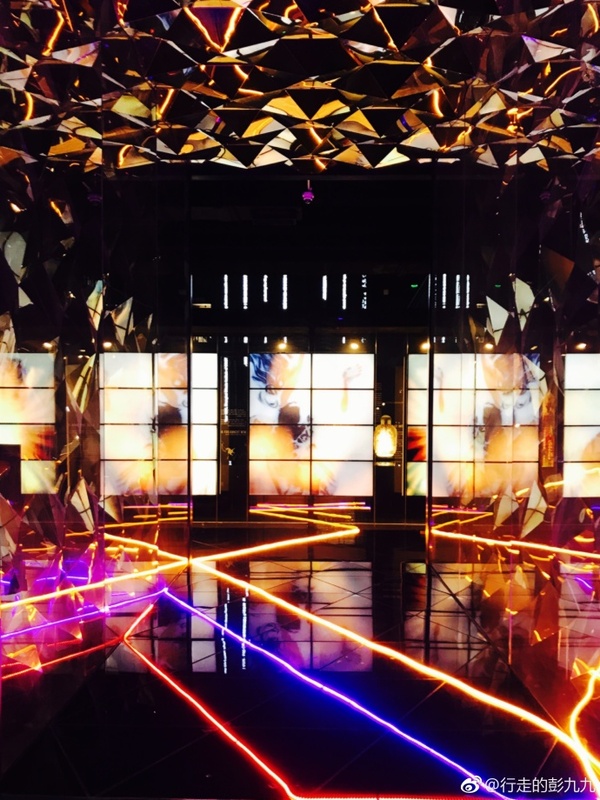 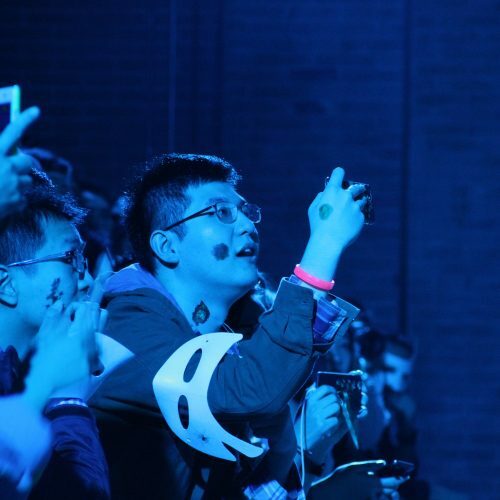 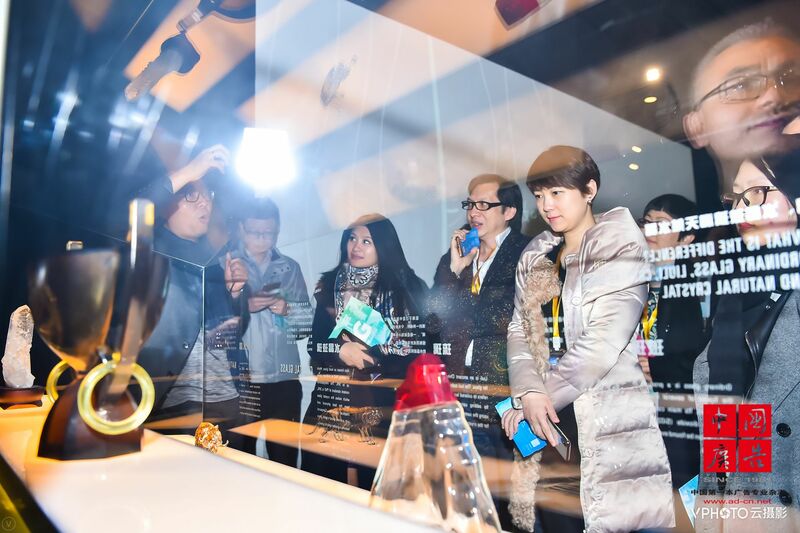 On the 18thof January, 2018, the fifth China advertising annual digital awards was held grandly in Shanghai Glass Museum. 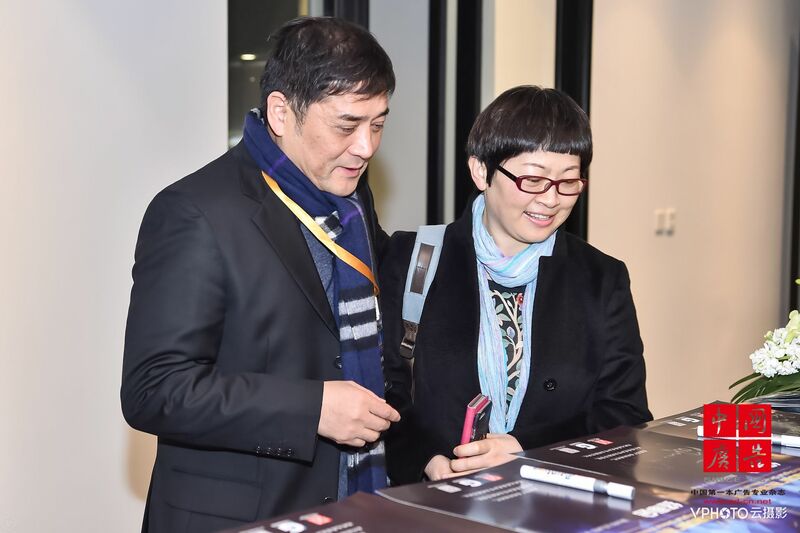 Cross-border integration, competition in creativity, academicism specialists, professors and media veterans from international 4A, top advertisers, digital marketing masters came together, from different industrial angles, collided sharply, justly and rigorously elected outstanding cases in Chinse digital marketing industry in the past year. 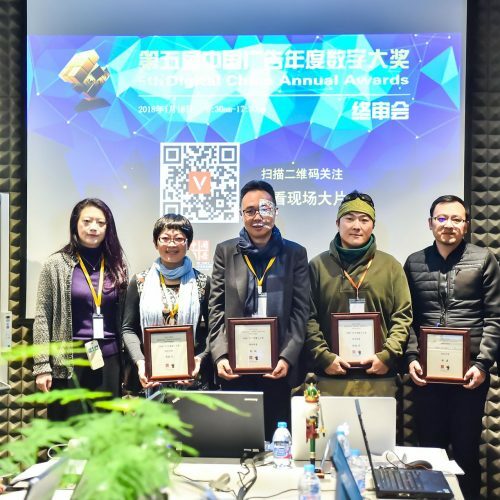 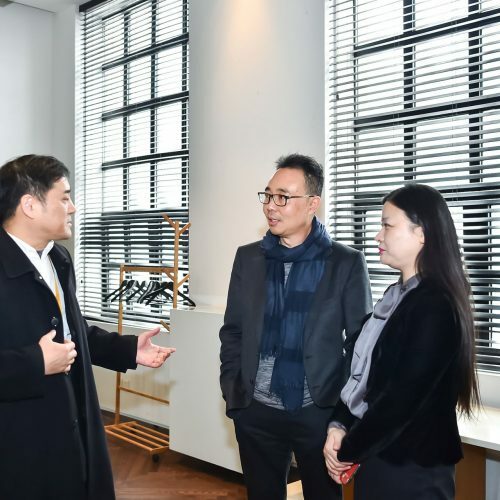 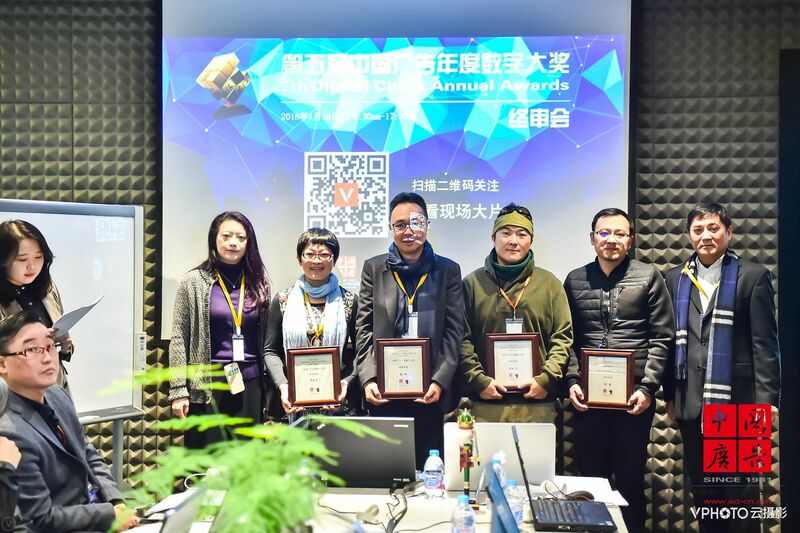 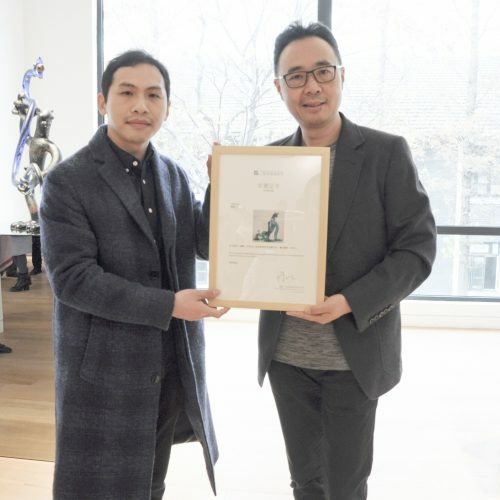 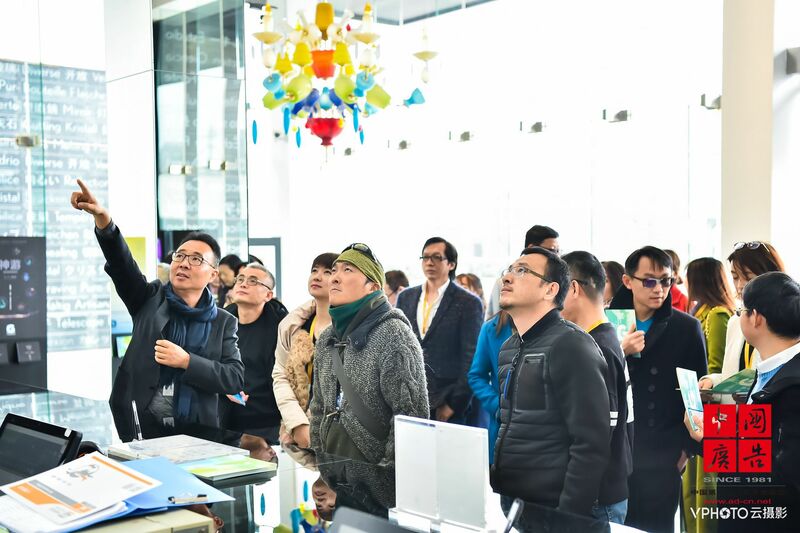 China advertising annual digital awardsfinal judging was held in Shanghai Glass Museum, in the rich cultural atmosphere, we appreciated the outstanding cases in digital marketing in the past year and creative glass artworks. 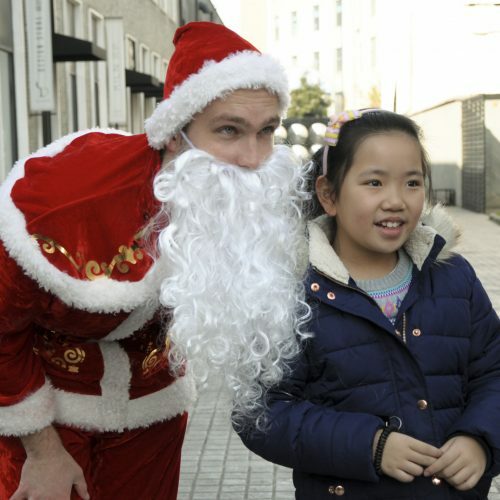 It can be said that there were many surprises and harvests. 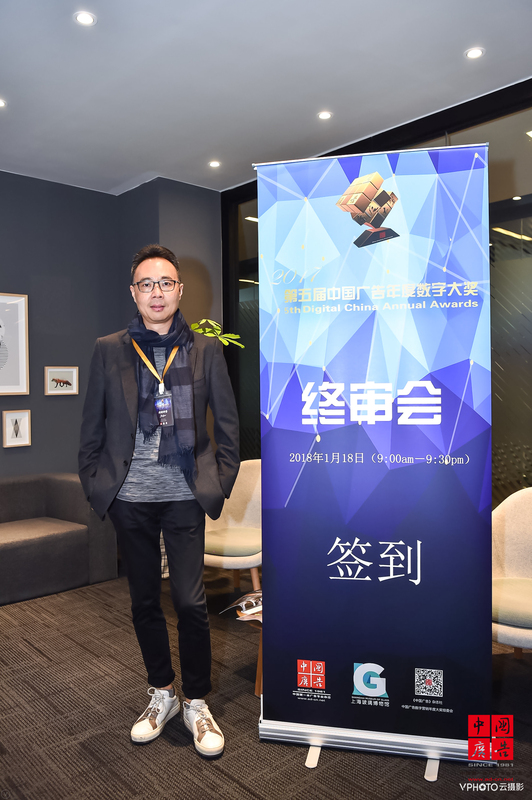 China advertising annual digital awards was established in 2013, so far, it has been held for 5 years. 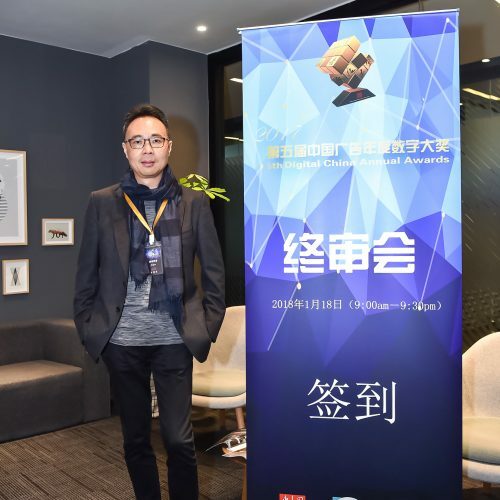 China advertising annual digital wards focuses on the developing trend in advertising industry. 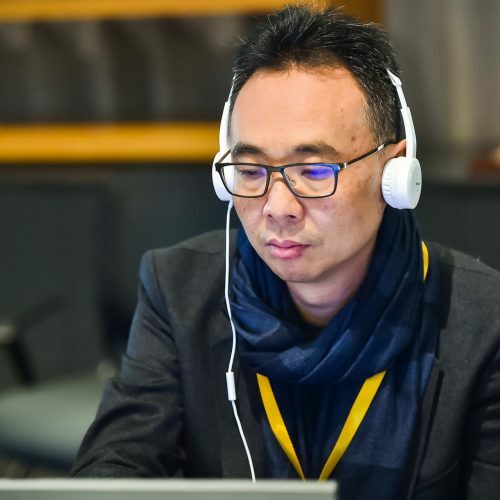 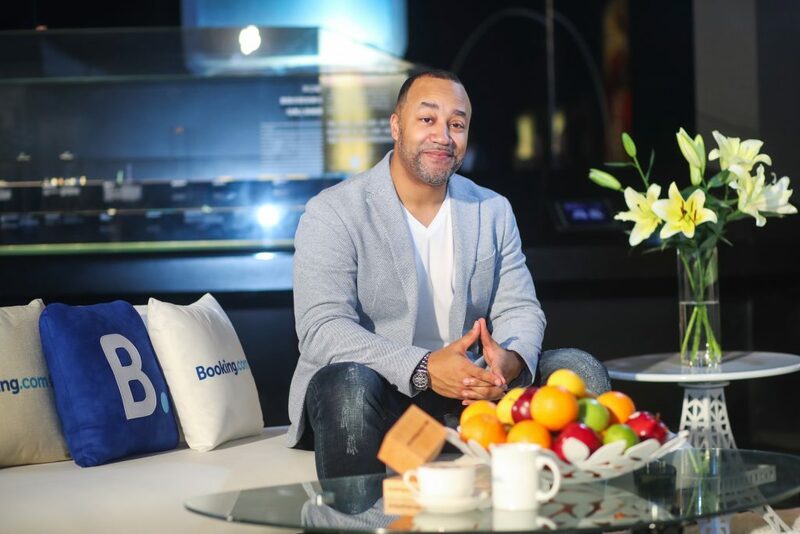 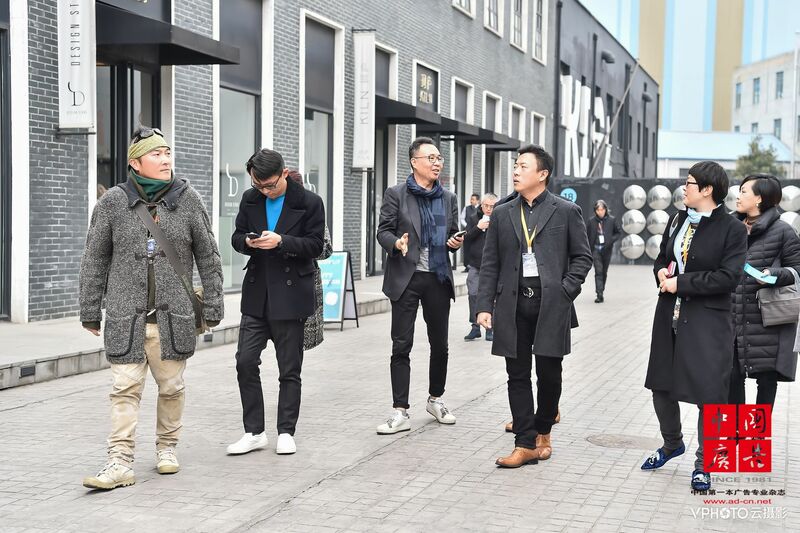 Following the strict review procedure and review standard, in each year, it would convene ten masters in creativity and brands to elect the prominent cases in digital marketing field in the past year in order to commend representative companies, cases, brands and figures. 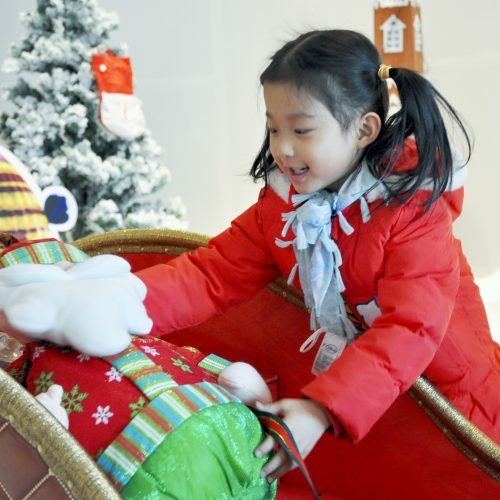 This Christmas fair would especially focus on the fun of exploring knowledge in the museum. 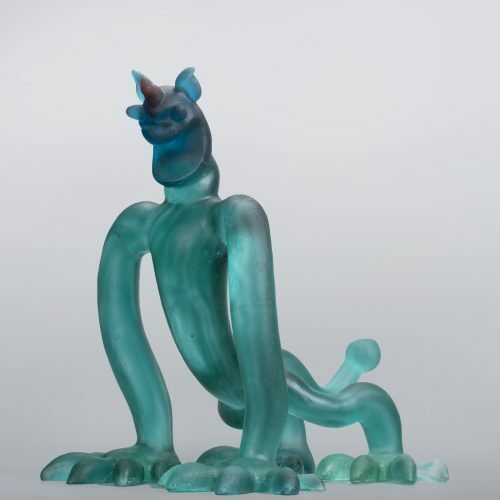 In the museum, we hided many interesting little glass monsters for kids and their parents to discover. 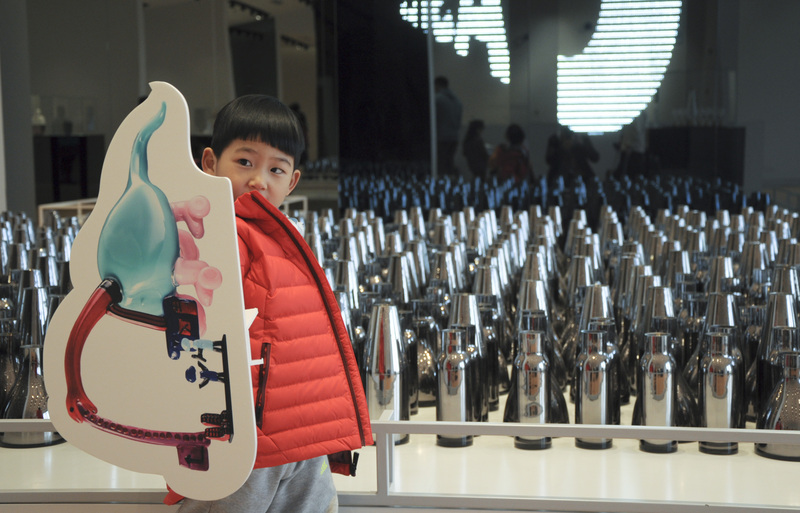 Once monsters are unlocked, kids could get a Christmas tree ornament in the glass maze. 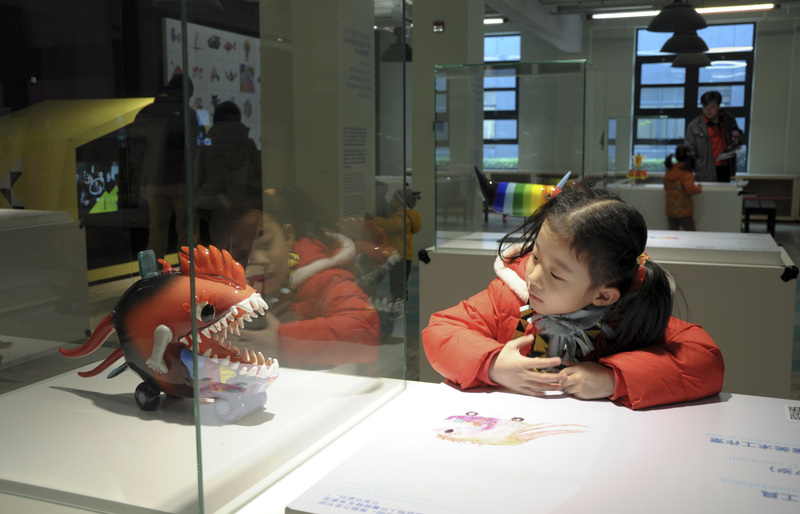 These abundant strange-styled monsters were not designed by one artist, they are all from kids’ imaginations. 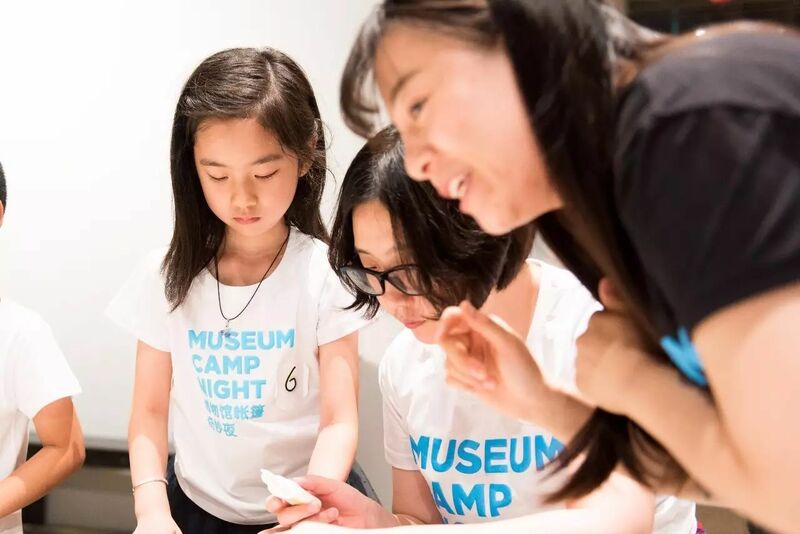 Using the museum as the knowledge platform, activating kids’ imaginations is one of the aims of this event. 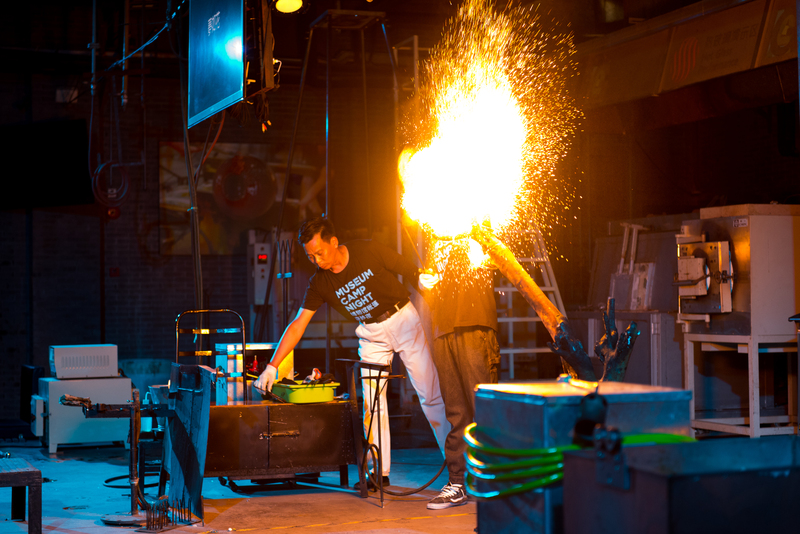 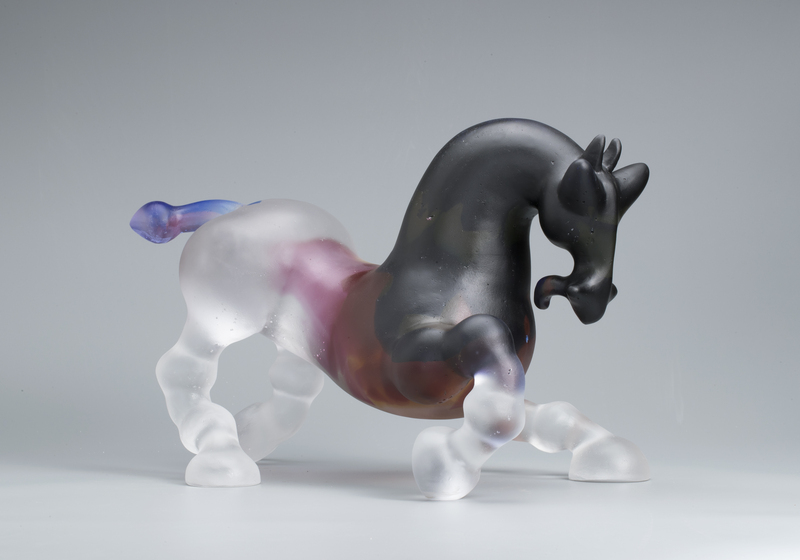 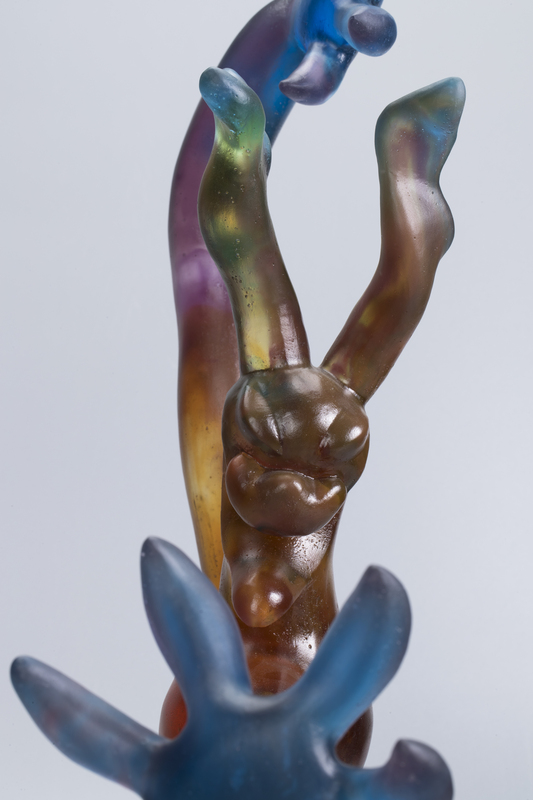 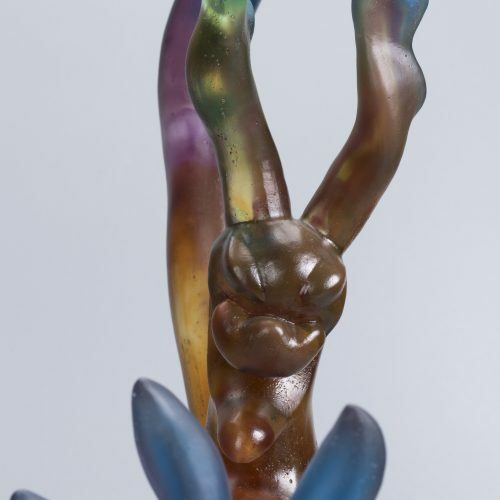 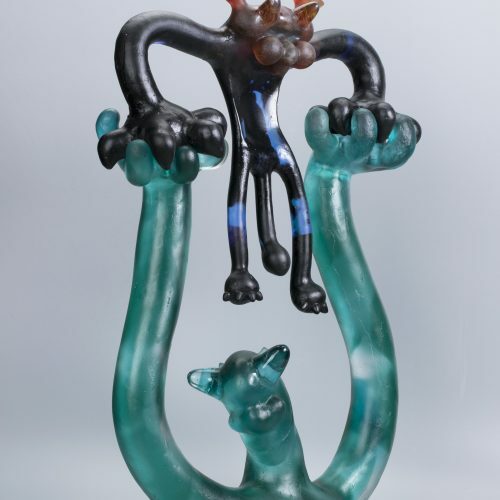 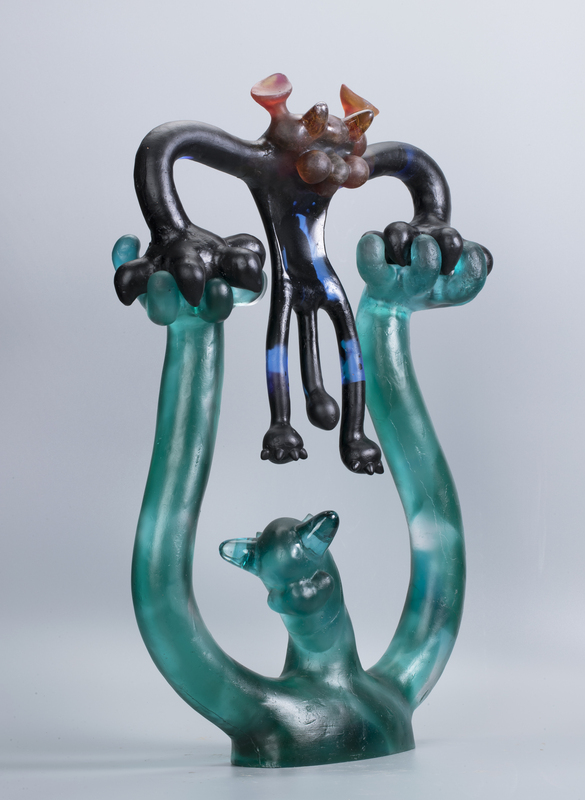 Besides this, the most well-known hot glass show is another pop show. 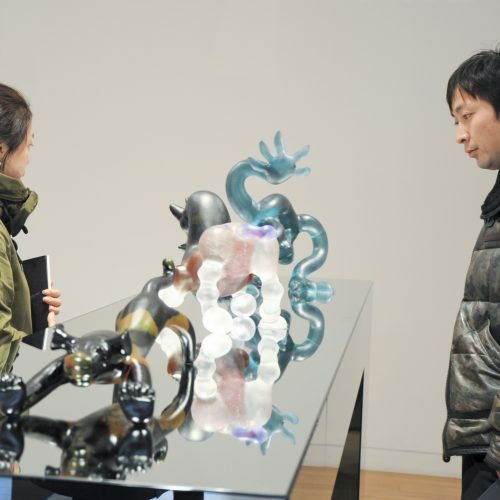 Visitors could see how liquid glass could be turned to artworks at 1,300 degrees centigrade, it would make parents surprised and even screaming. 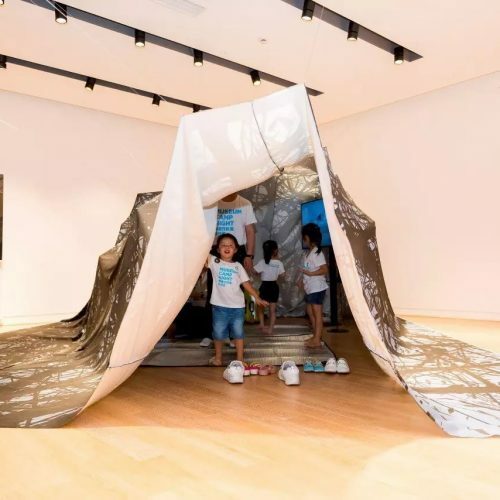 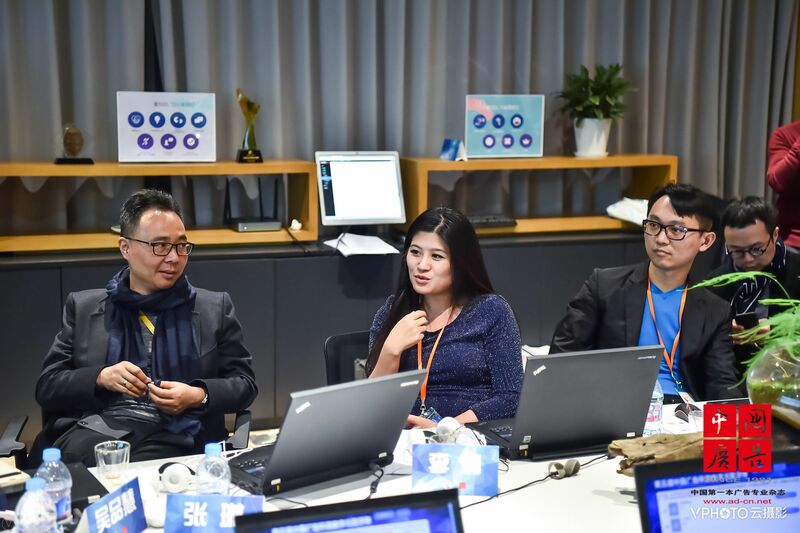 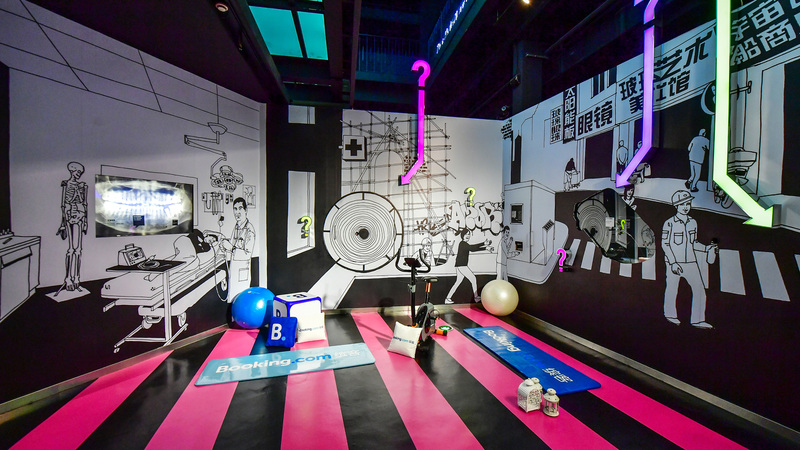 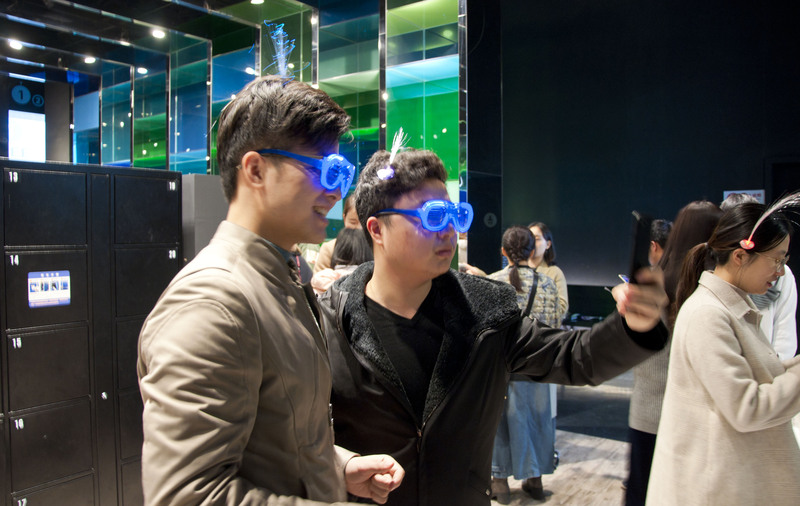 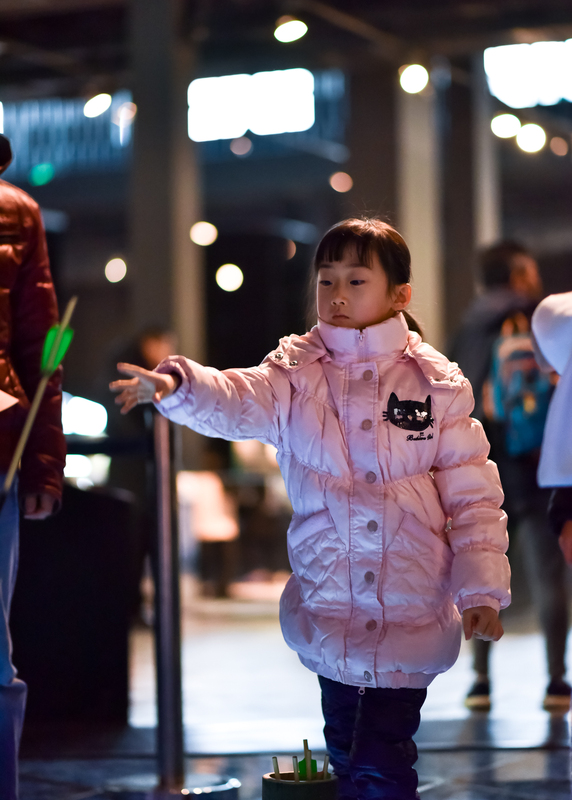 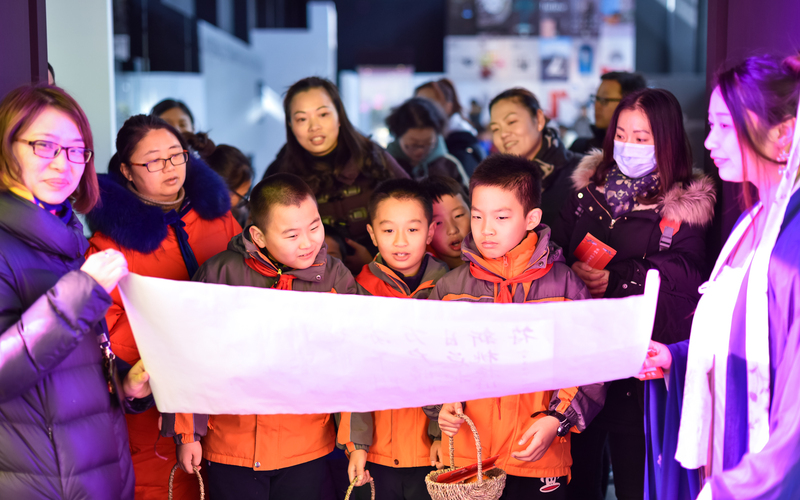 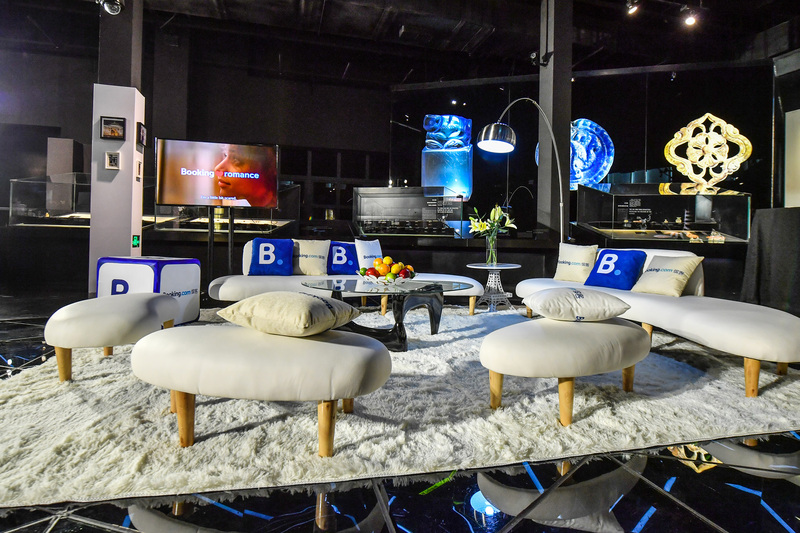 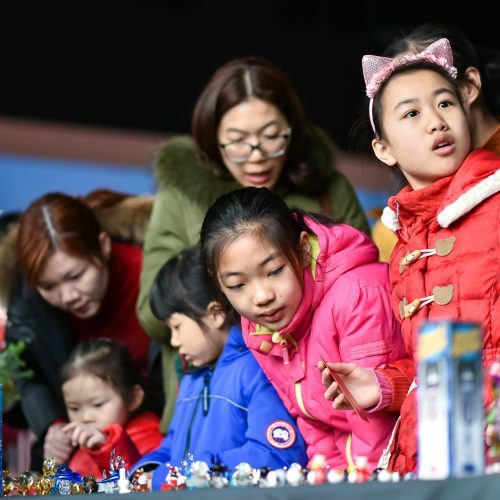 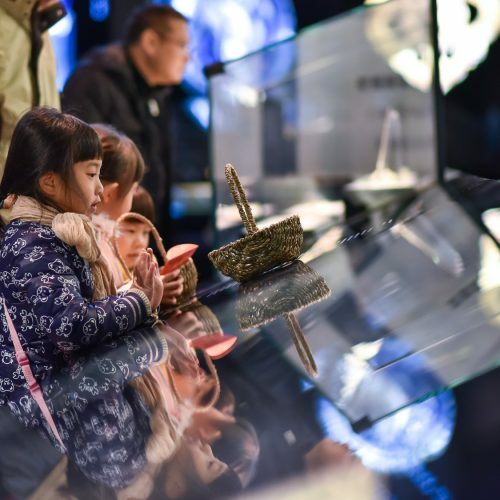 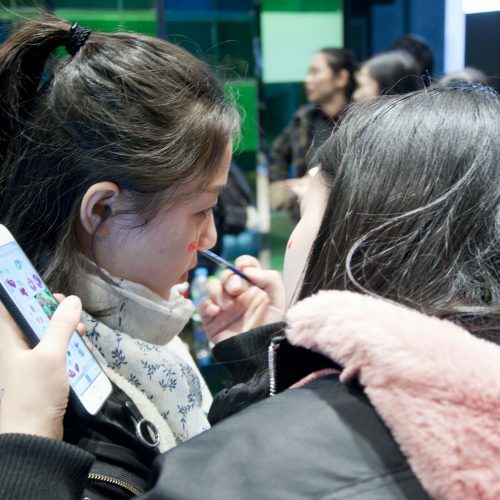 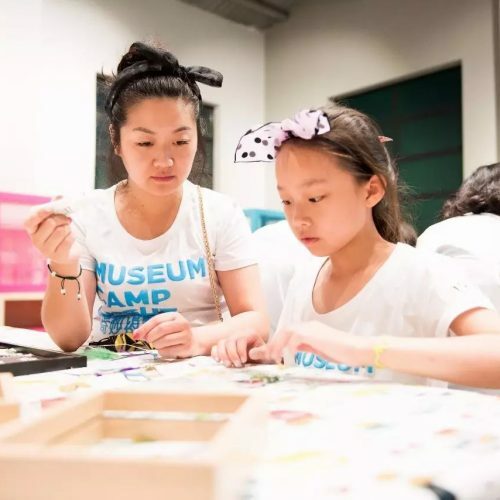 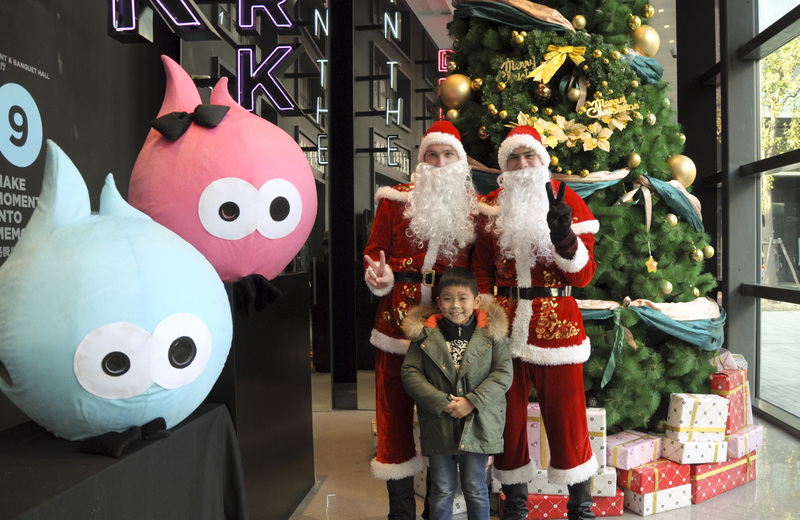 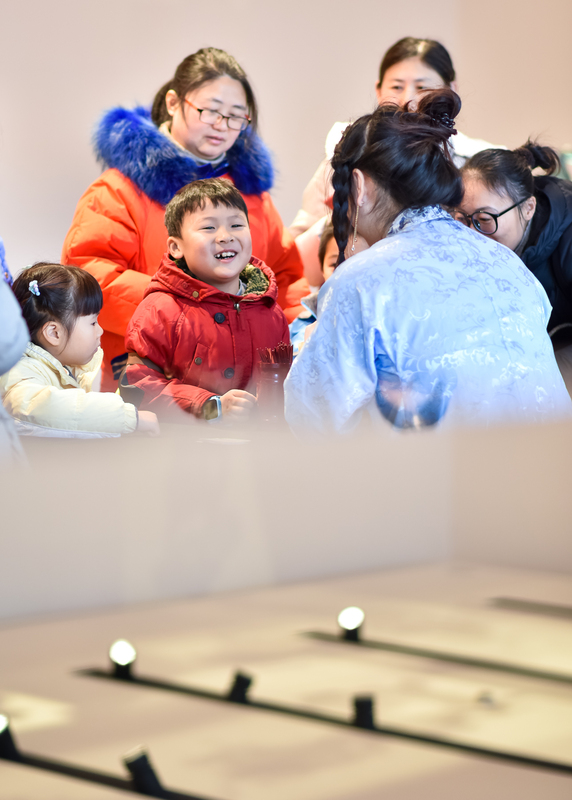 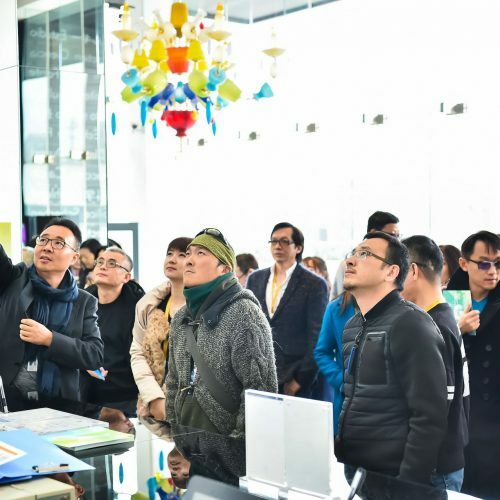 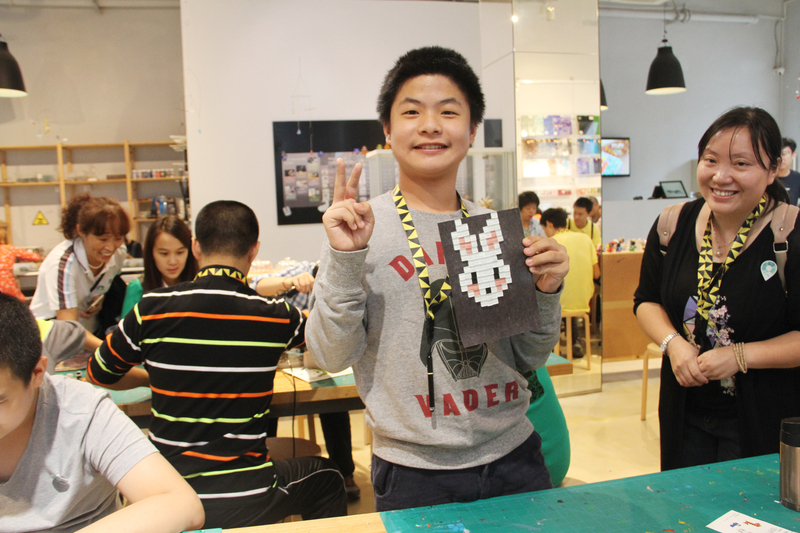 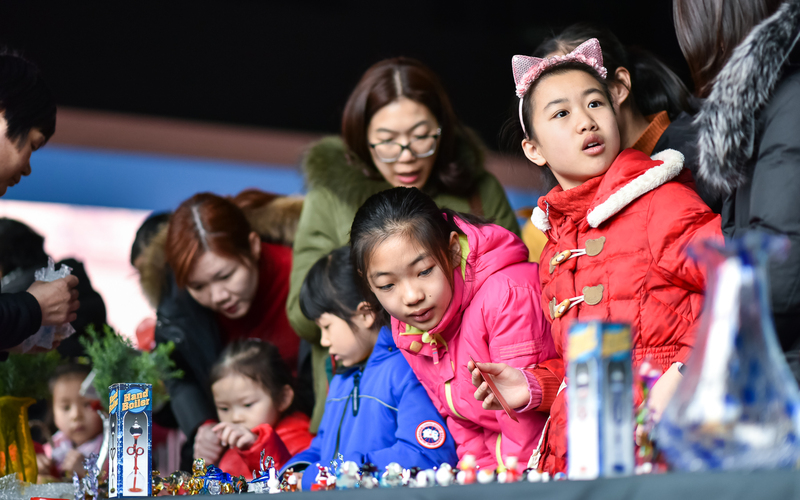 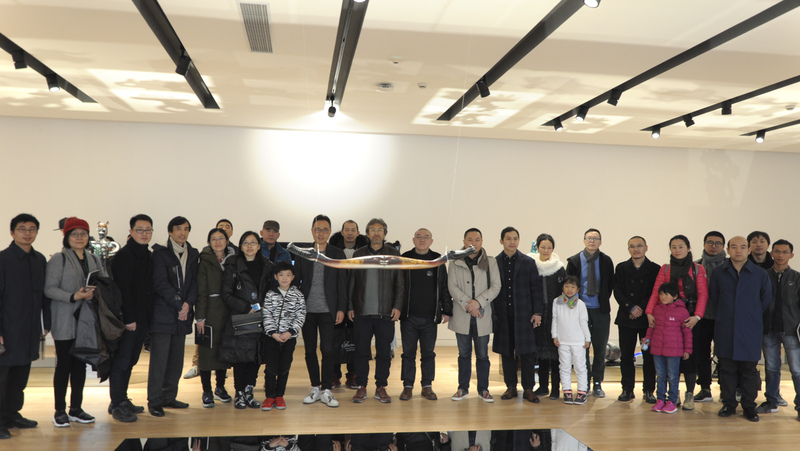 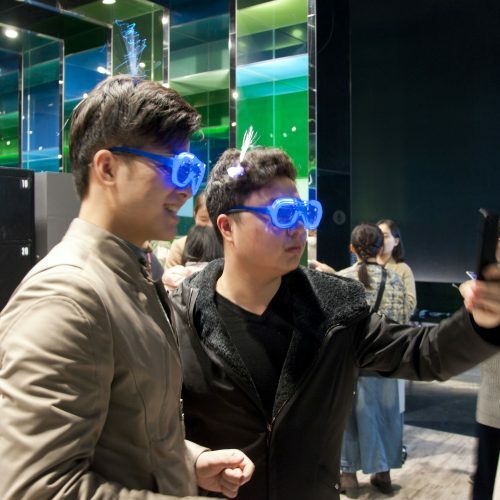 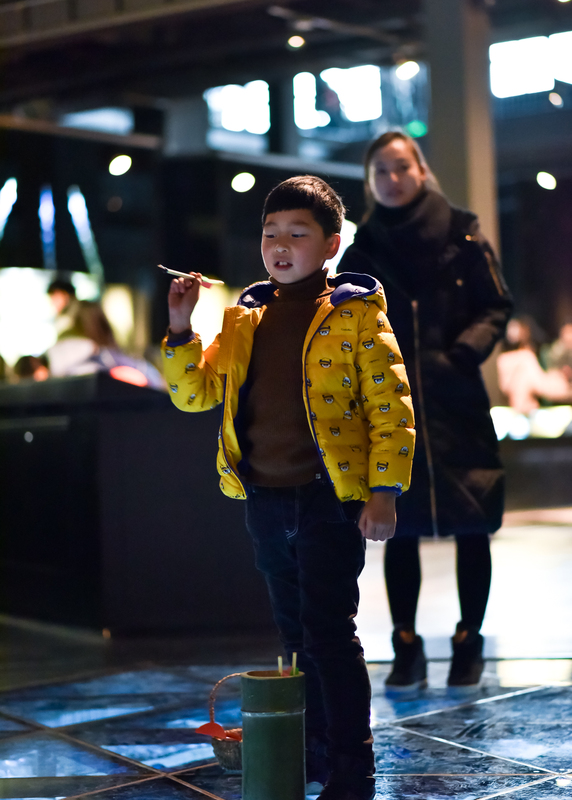 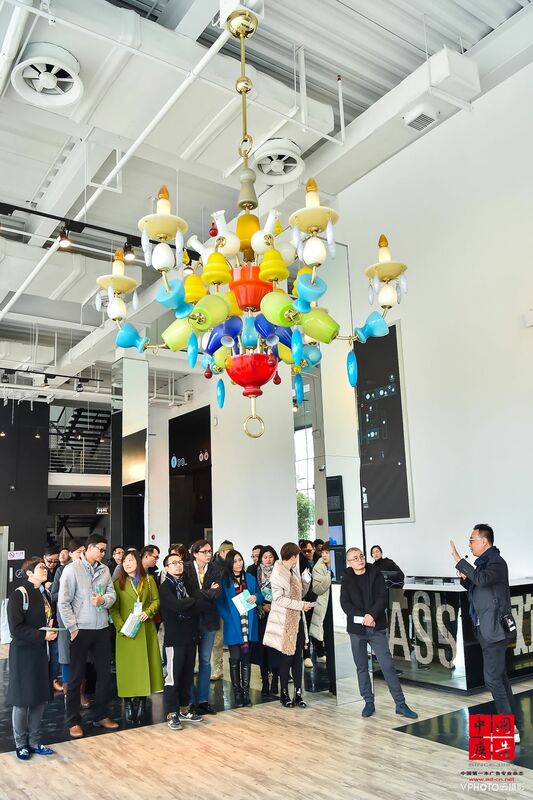 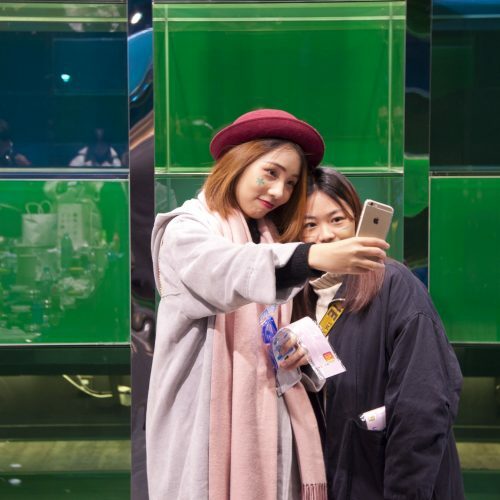 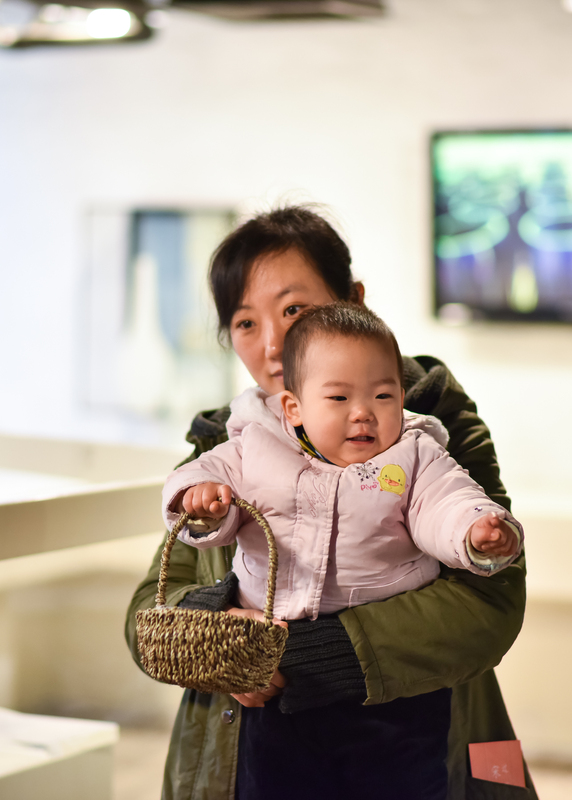 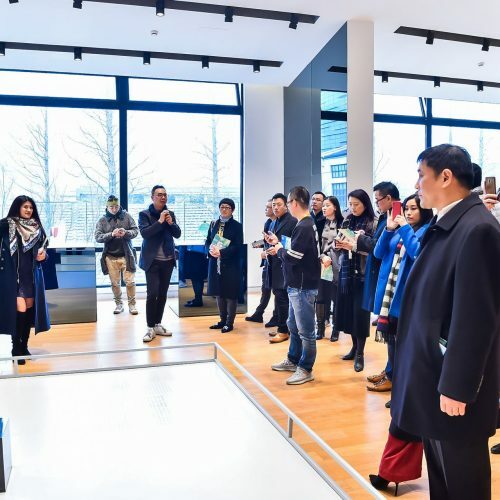 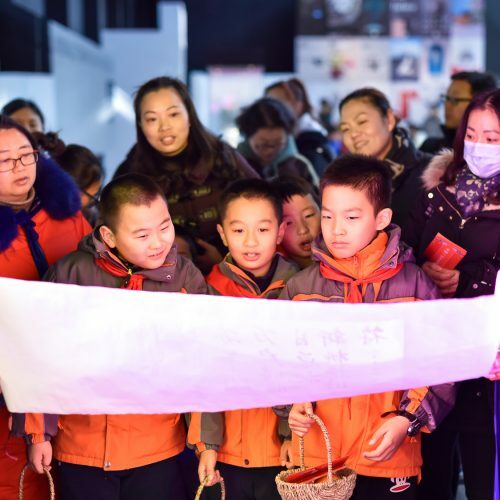 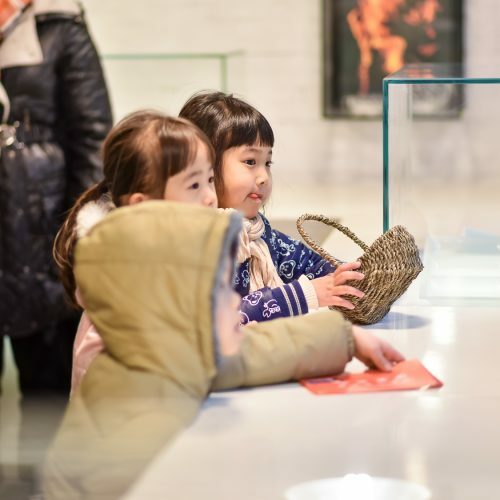 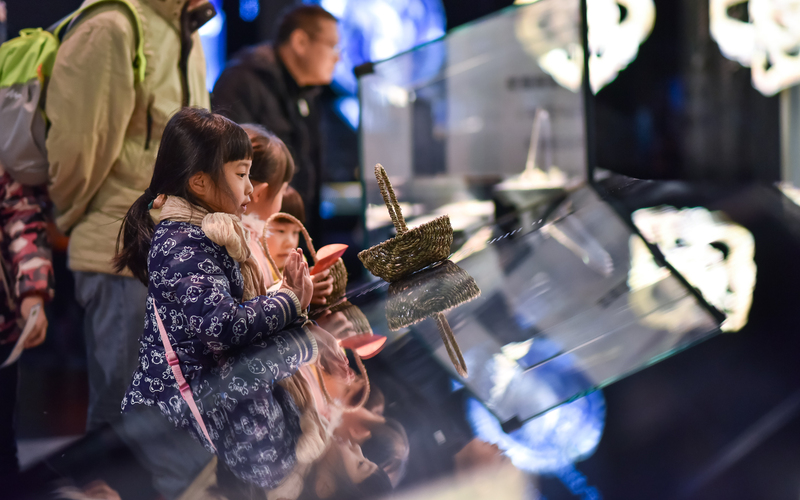 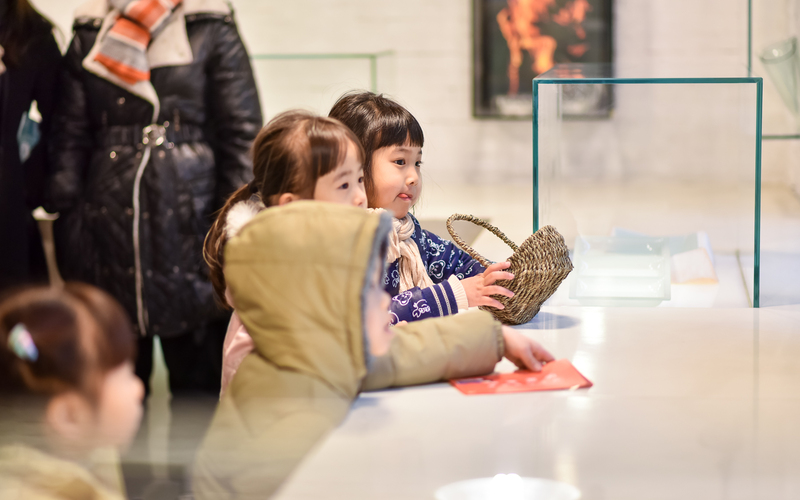 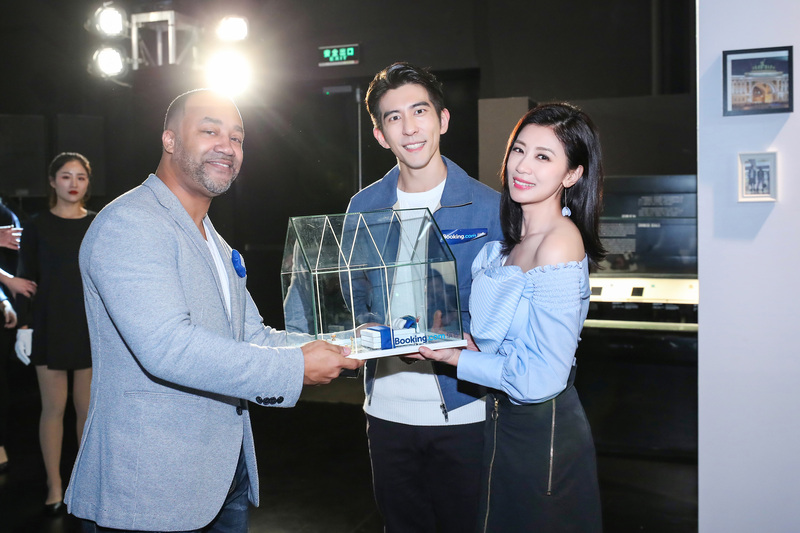 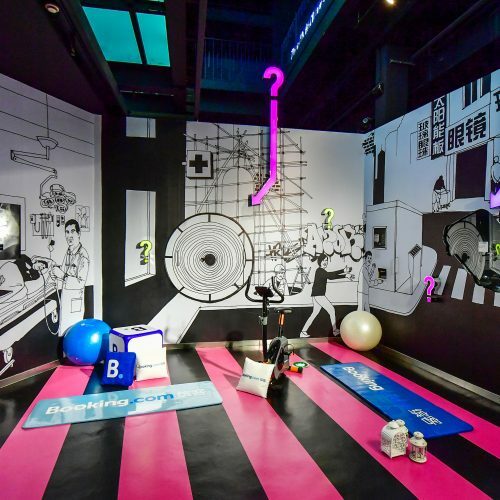 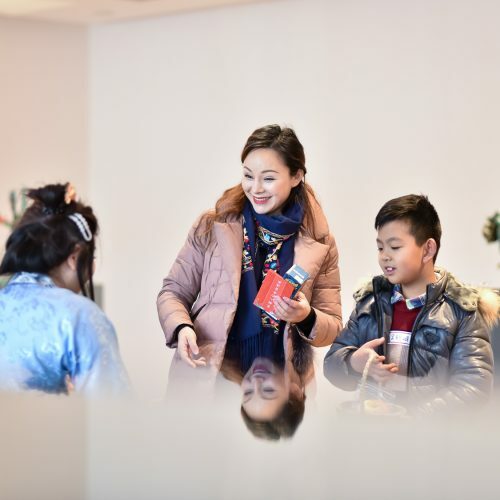 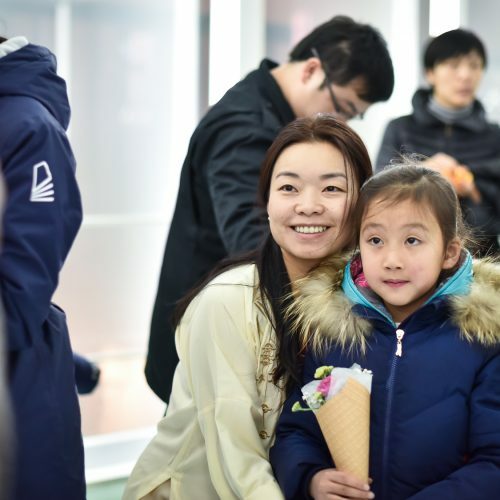 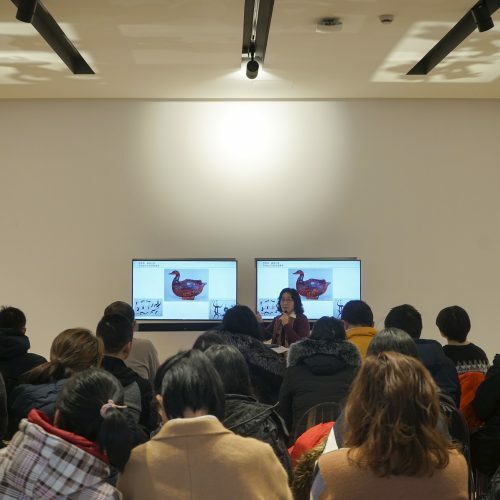 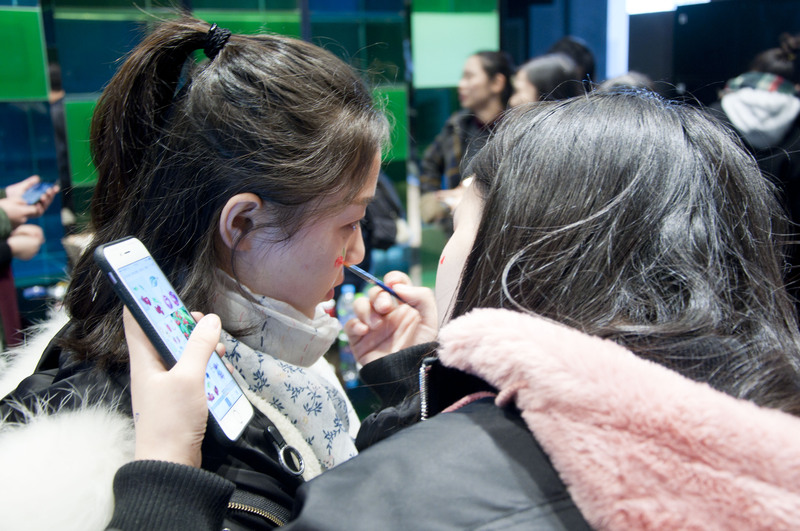 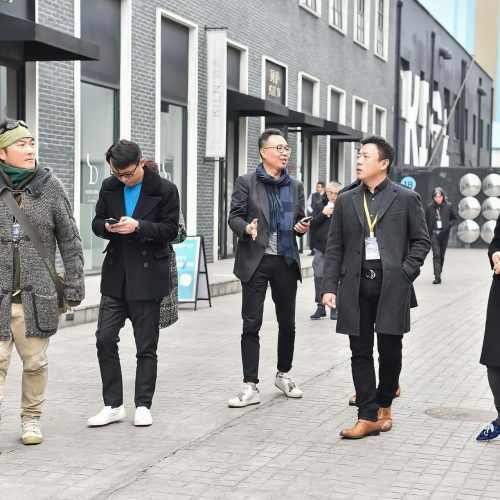 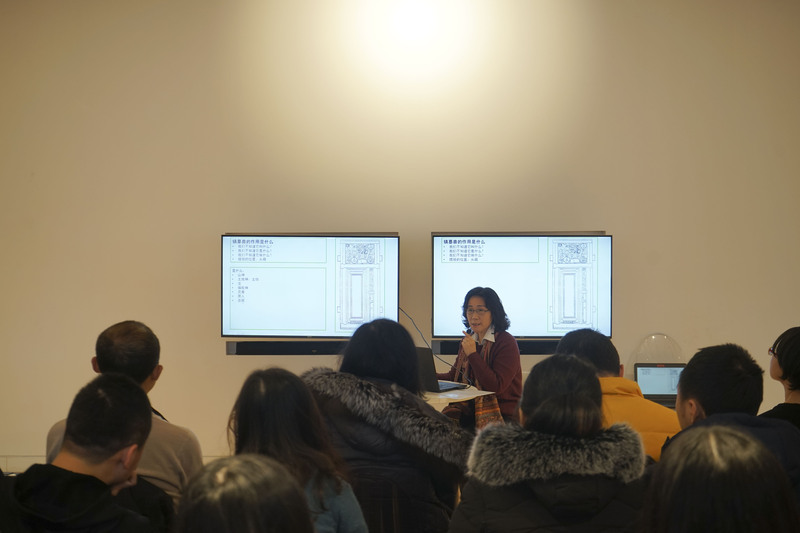 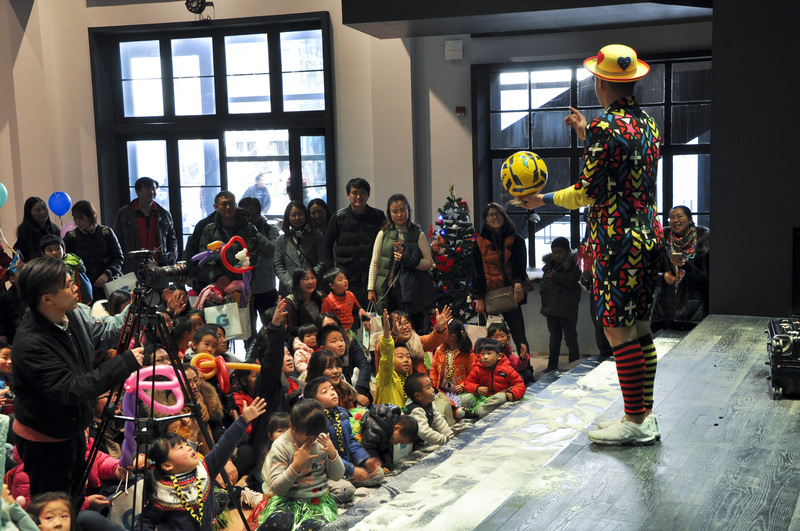 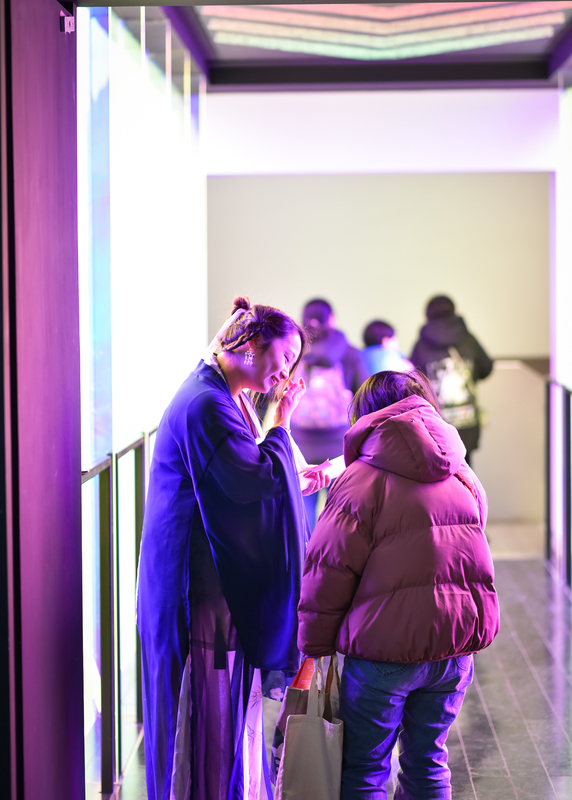 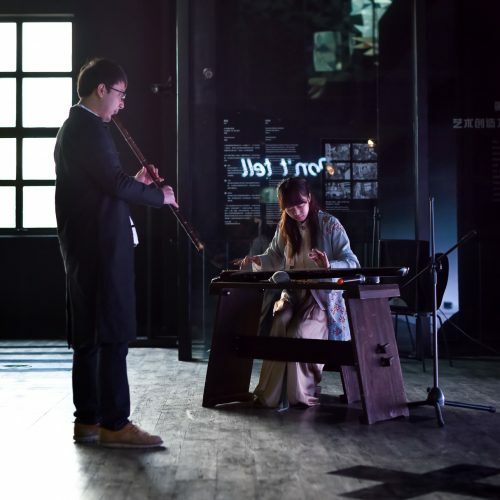 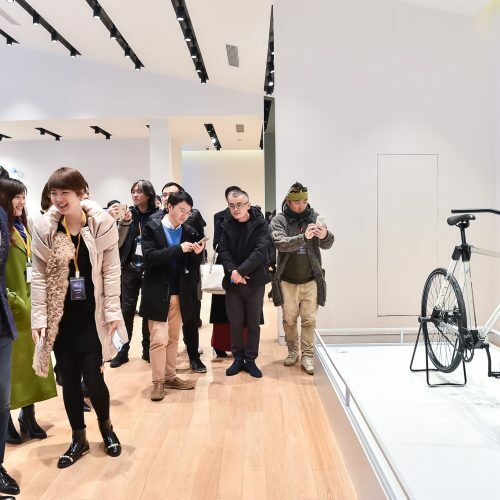 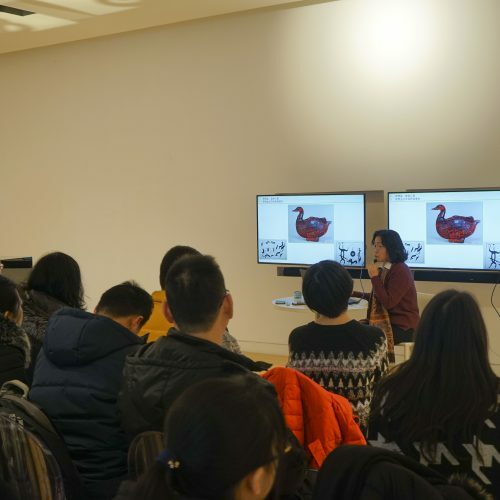 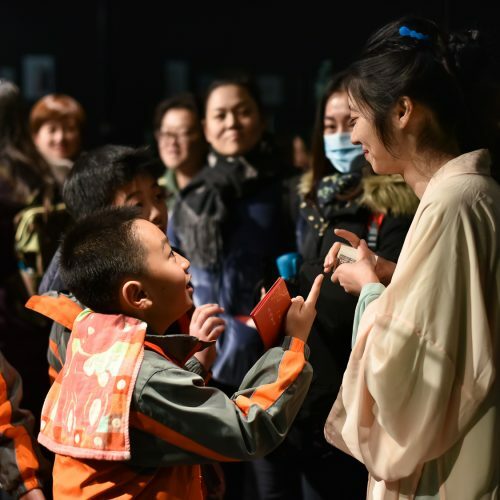 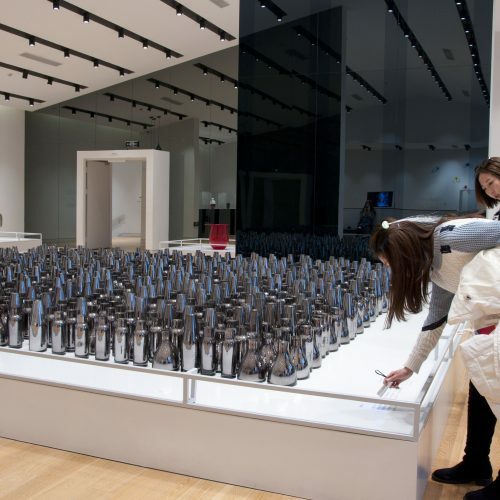 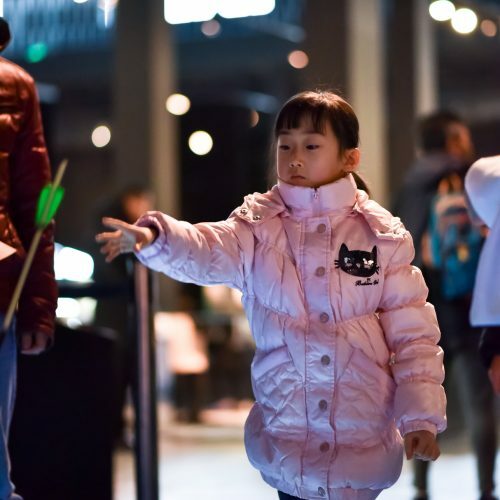 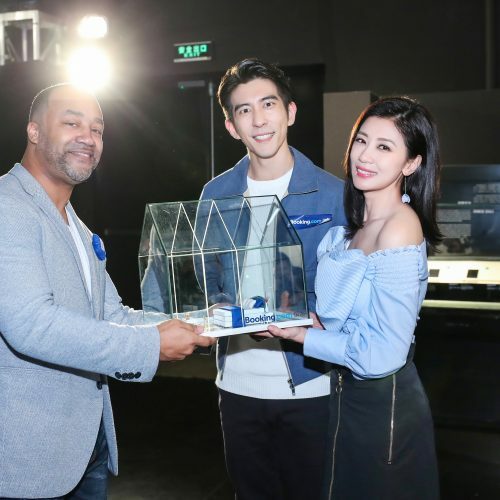 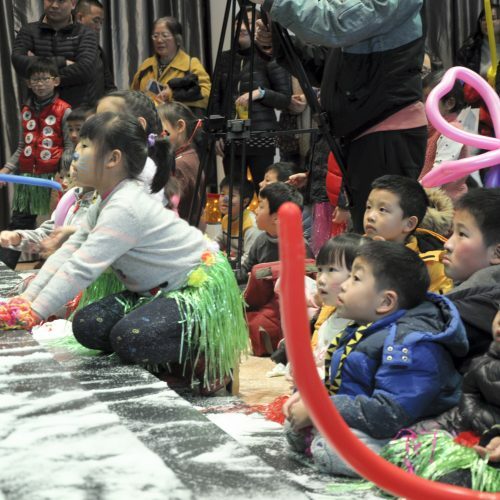 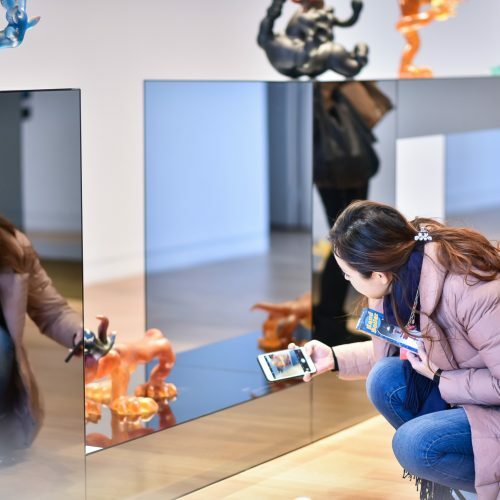 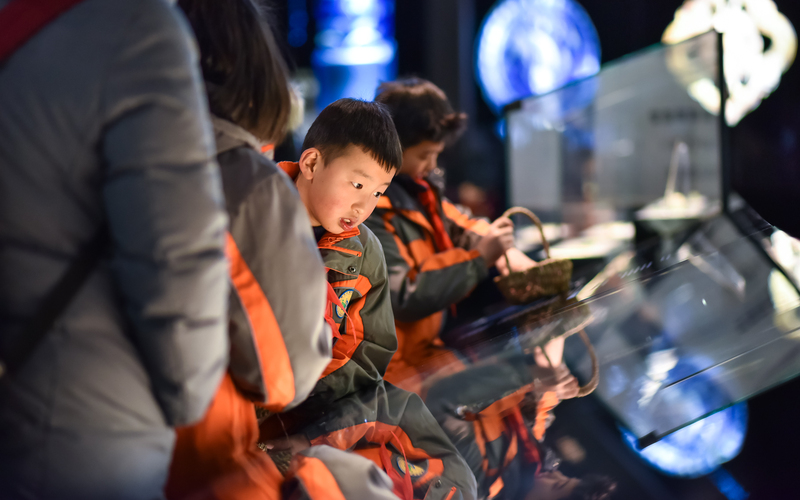 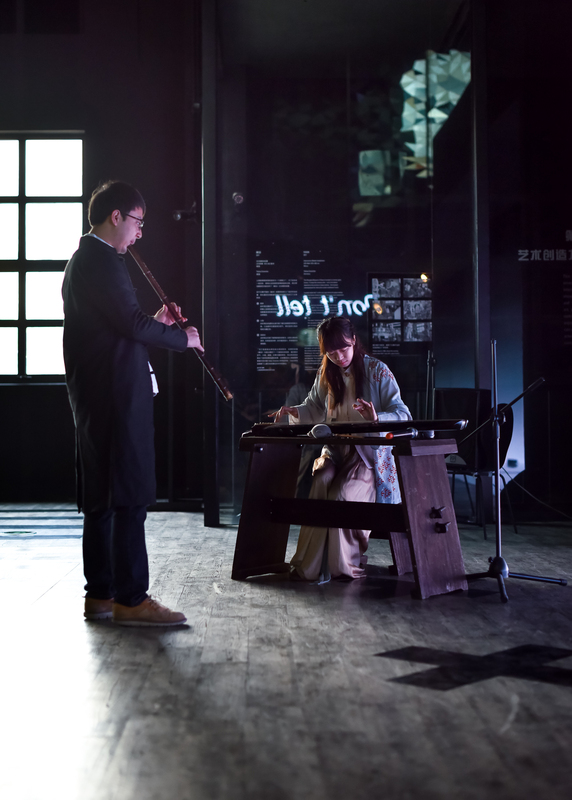 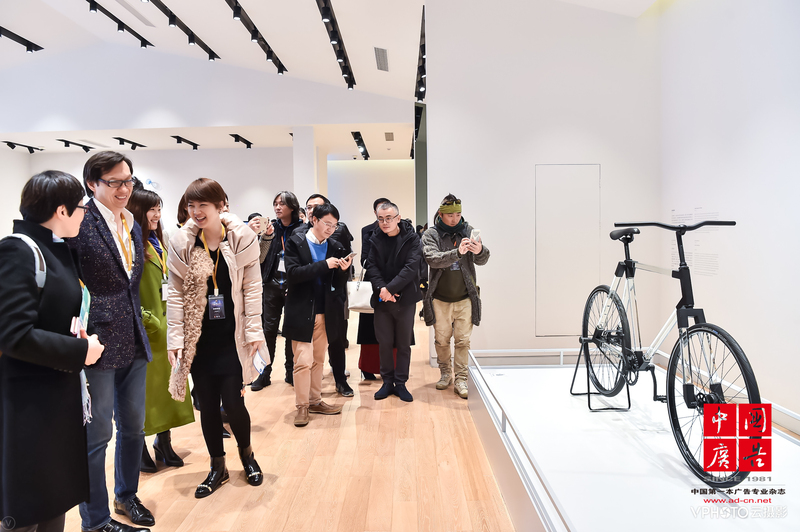 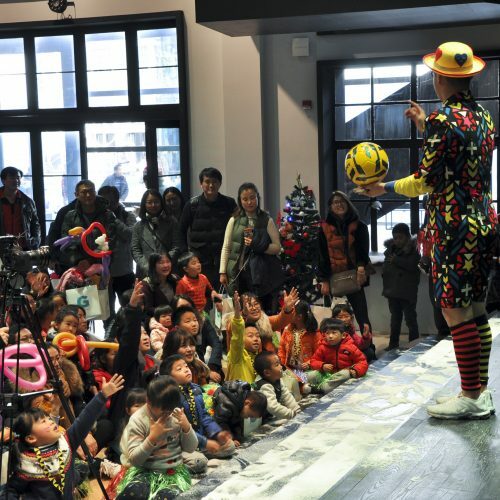 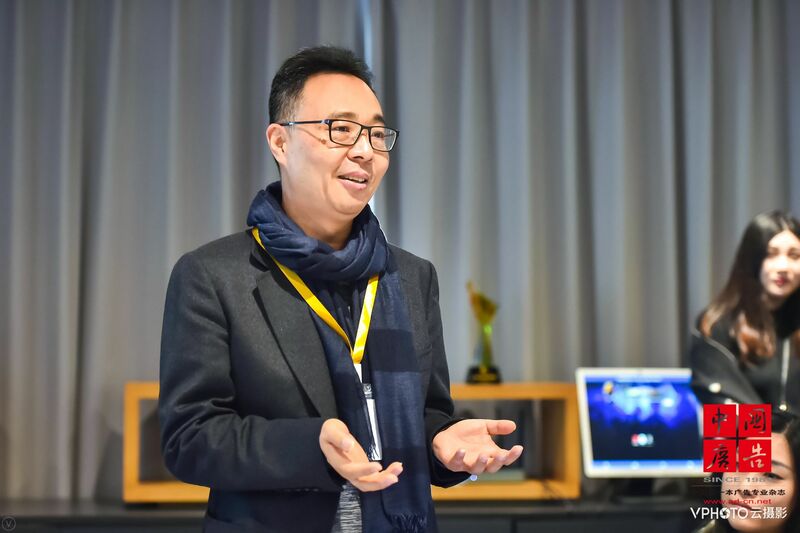 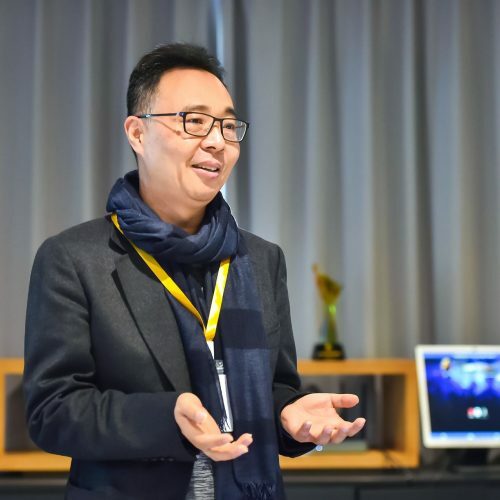 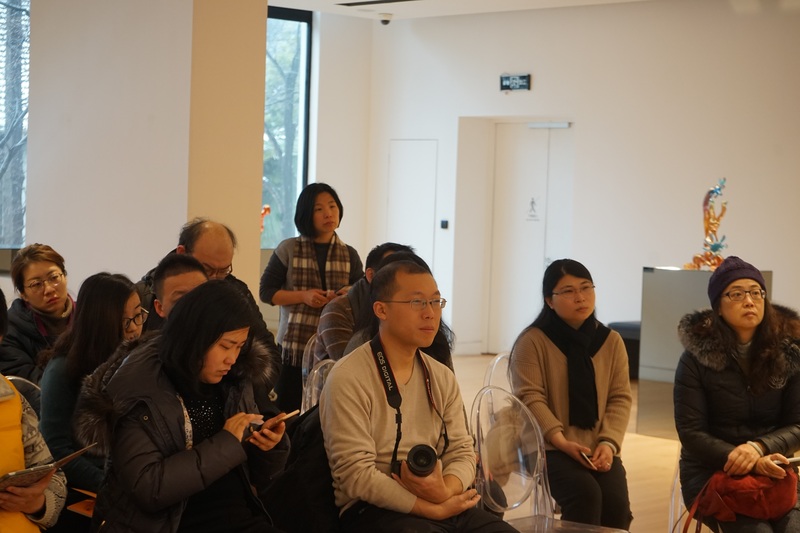 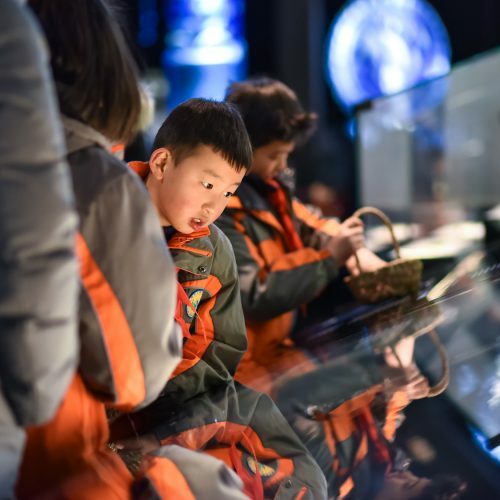 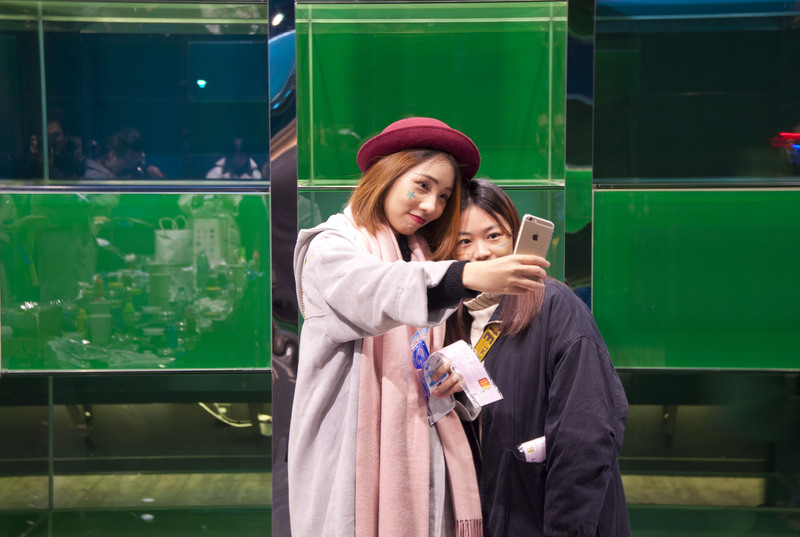 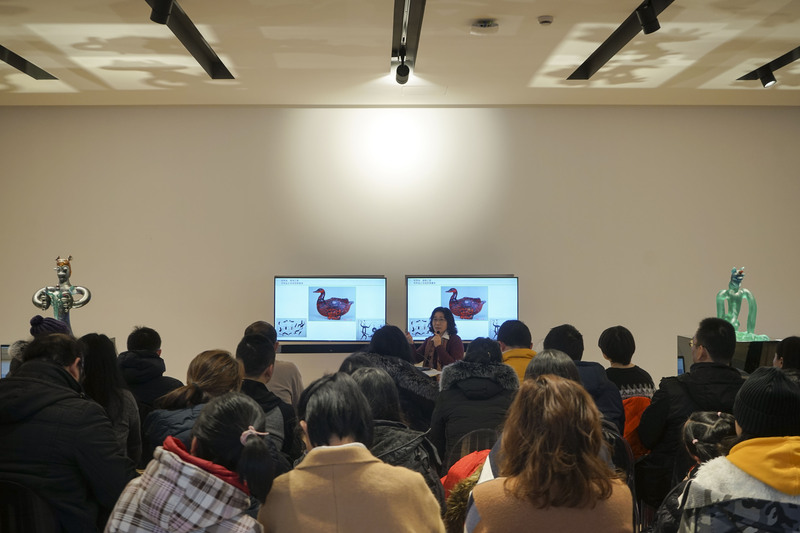 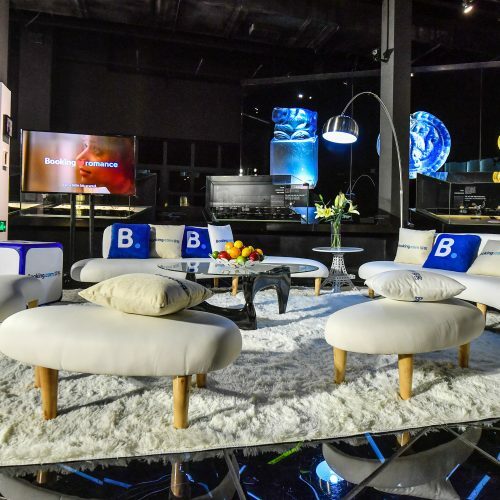 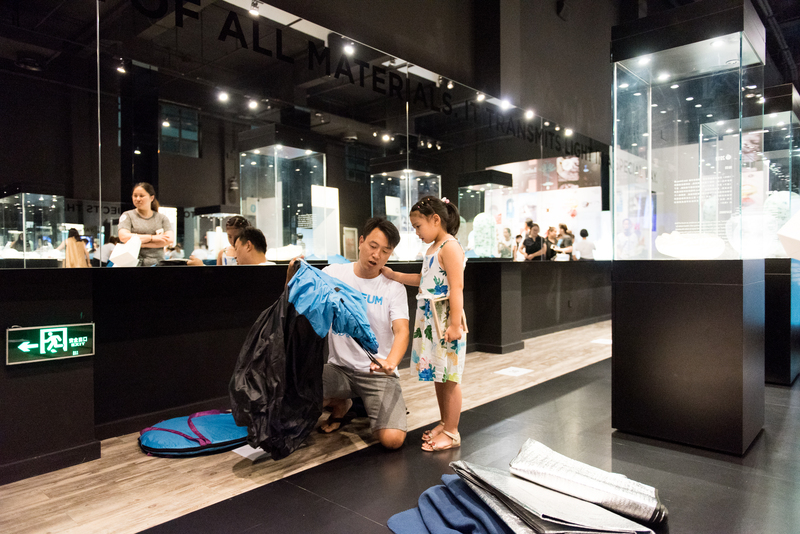 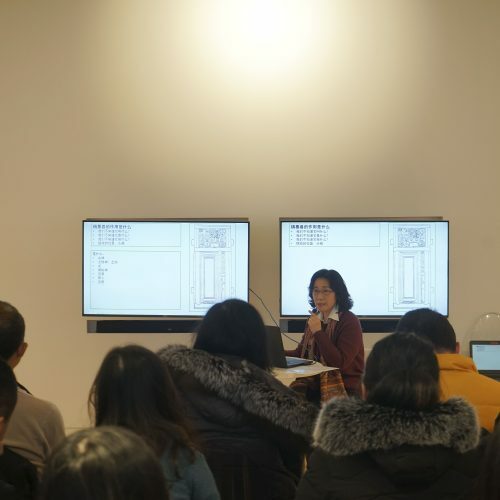 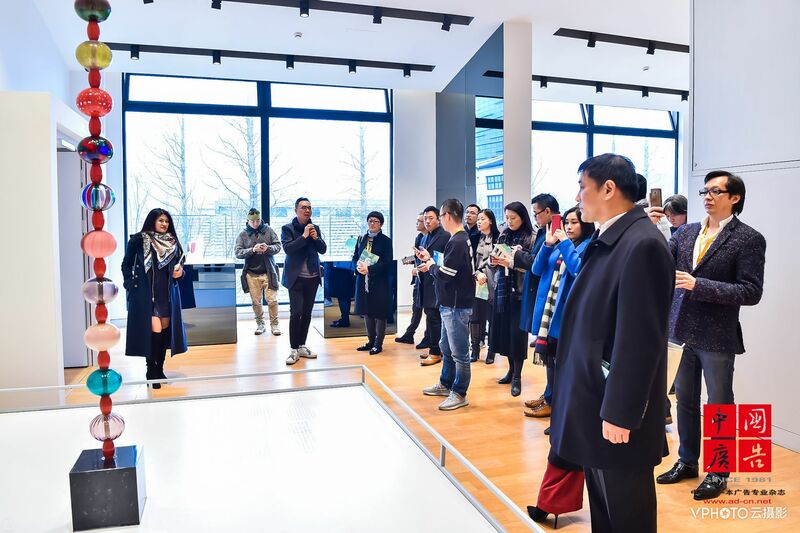 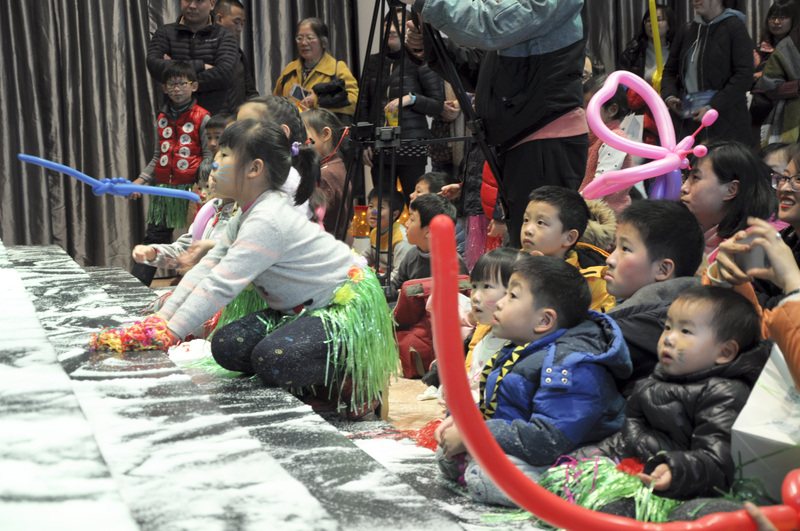 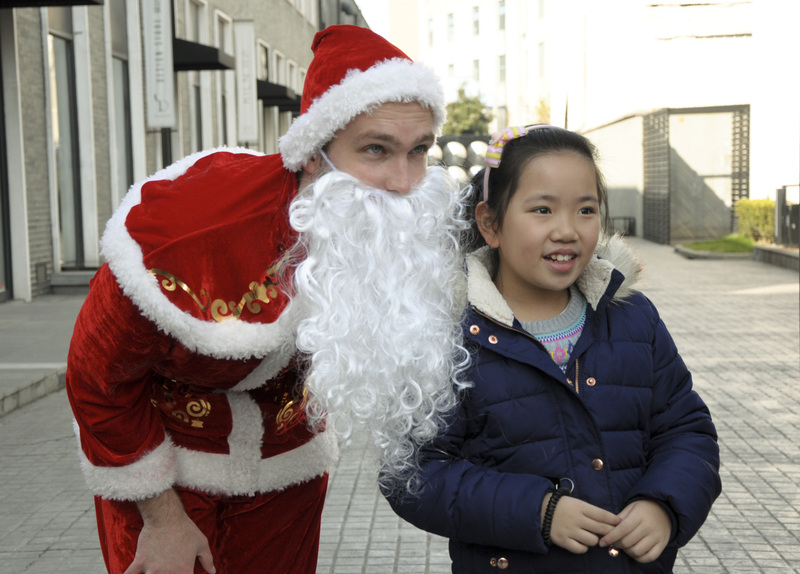 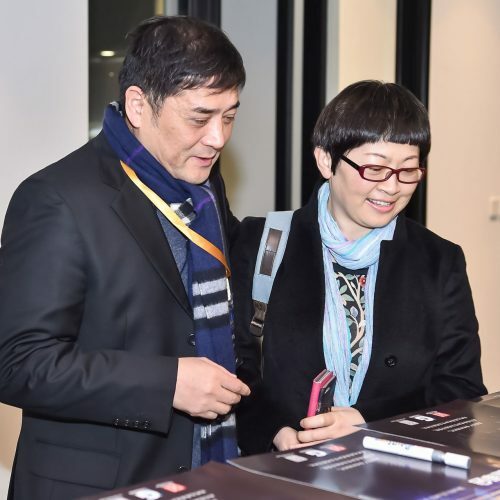 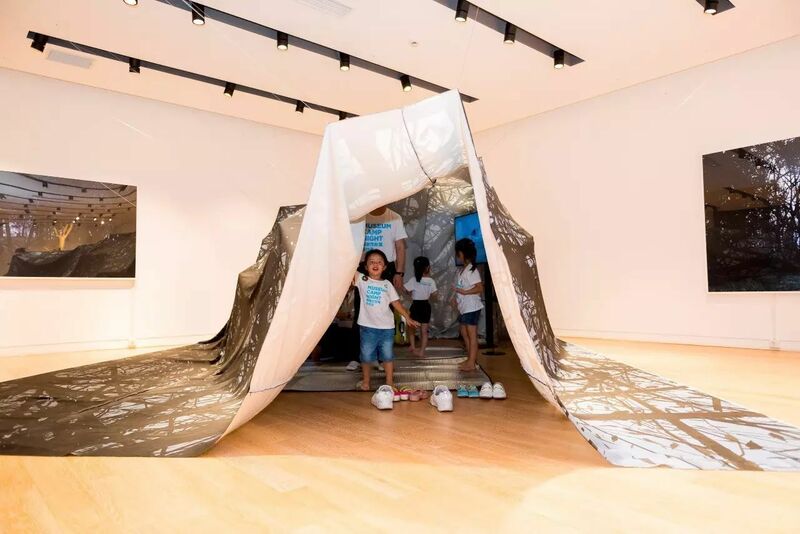 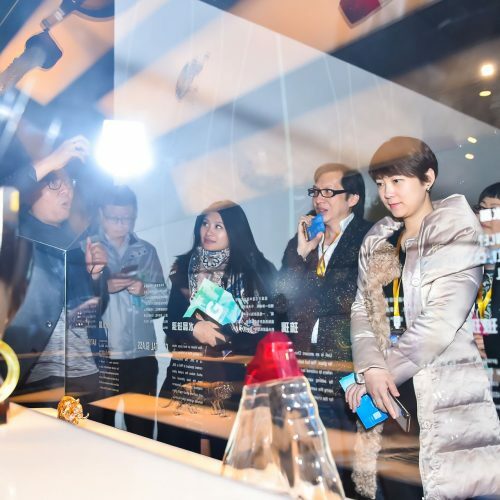 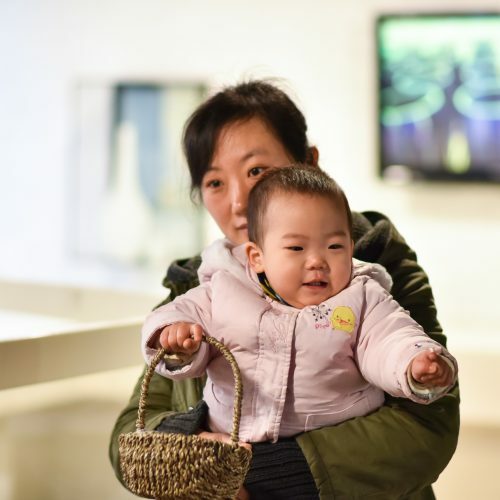 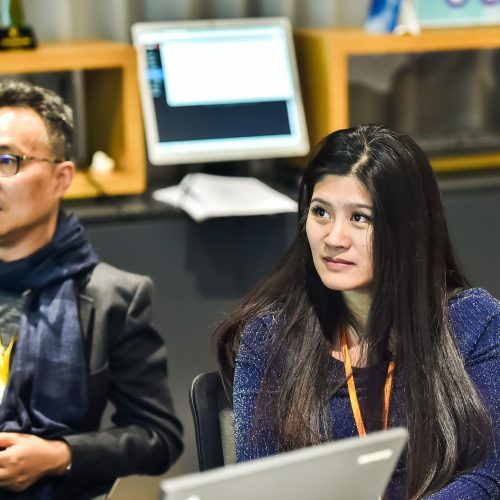 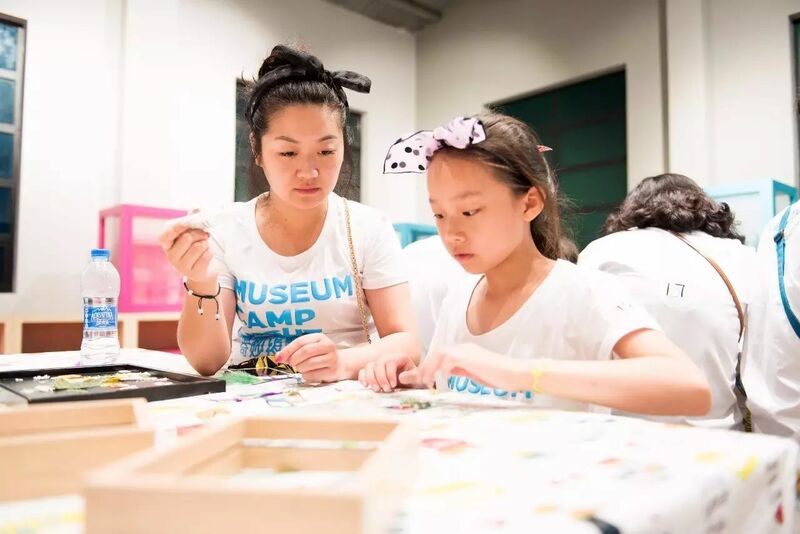 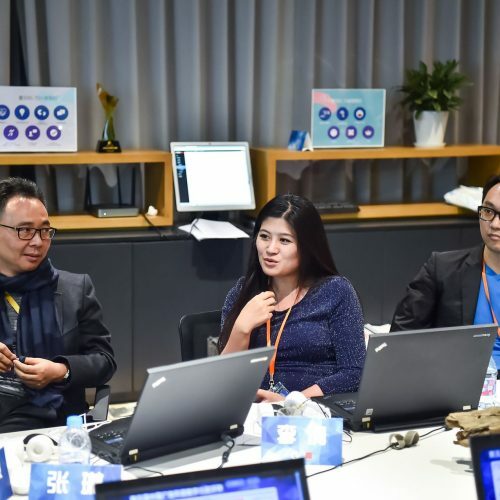 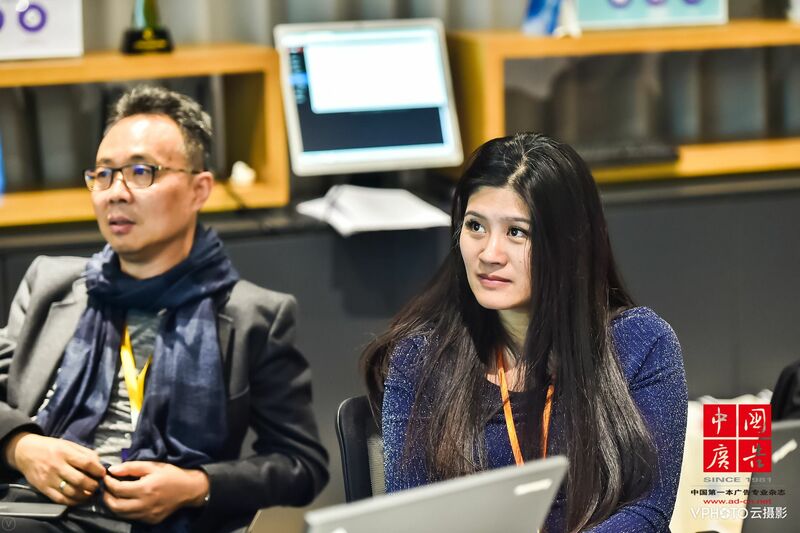 Shanghai Museum of Glass held the birthday festival special event jointly with BesTV, in addition to the 20 groups of guests invited by BesTv, Shanghai Glass Museum selected 10 groups of families that had babies born in December who signed up for the birthday celebration. 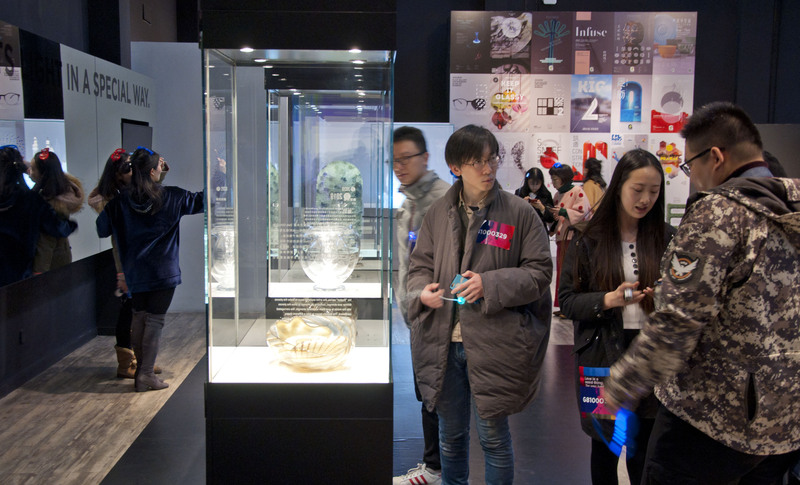 Huge birthday cakes, choral birthday songs and other benefits would only appear in Shanghai Glass Museum this winter. 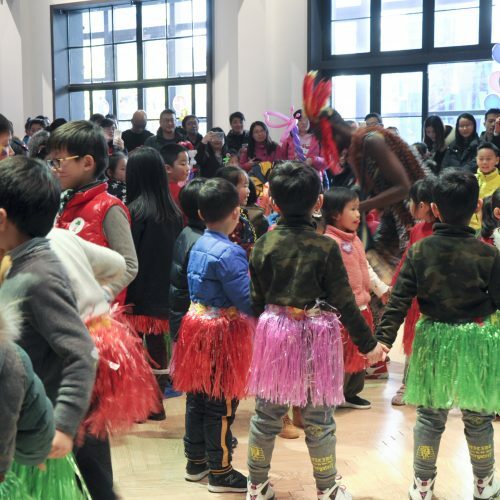 Except for the glass, of course, there would be other good friends, as well as Santa Claus, glass monster, funny clown, magician, African drum performance, choir and other guests that kids favour, they will all bring a wave of fun for the jungle party. 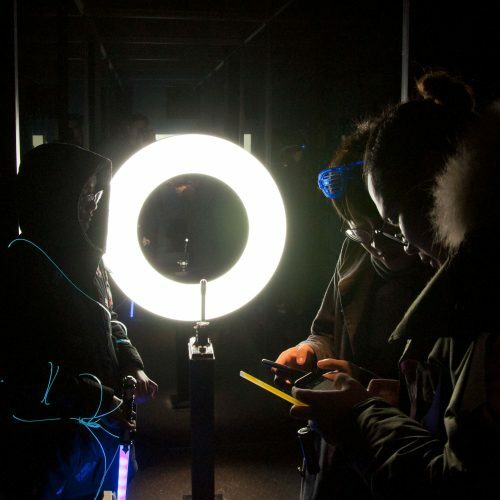 Cyber constantly rings the door to the future, the figure walking through the darkness is brighter than neon. 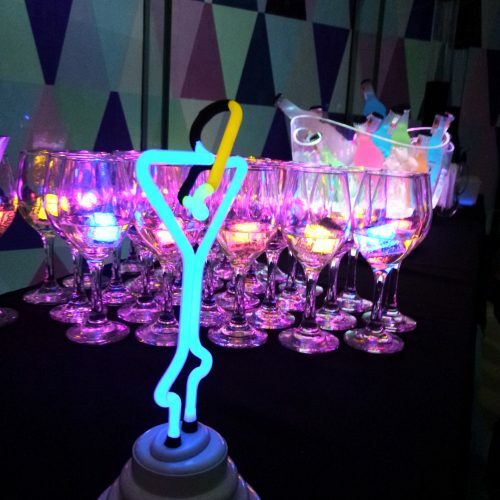 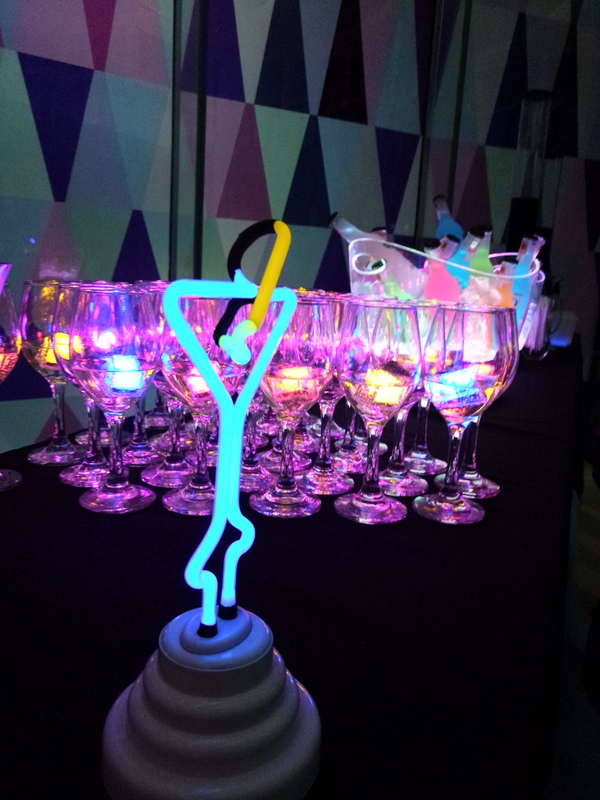 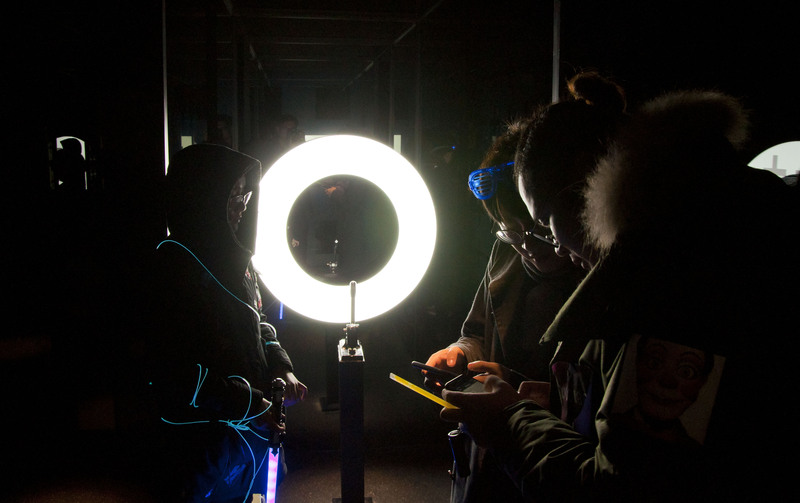 On the 30thof December 2017, the most dynamic museum neon party on the earth, although there was rainy outside, the dashing momentum was still released quietly. 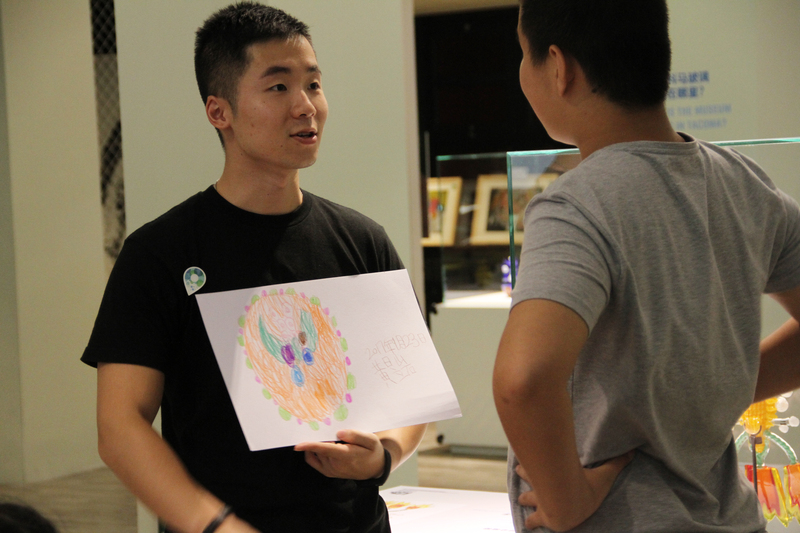 Kids could find clues of the incident through each game step by step and make friends through games. 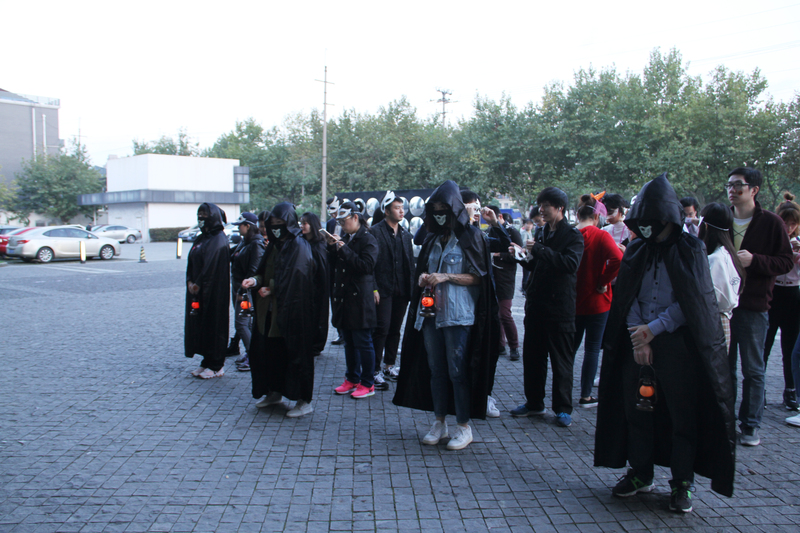 The screaming sound was reverberated in the theater. 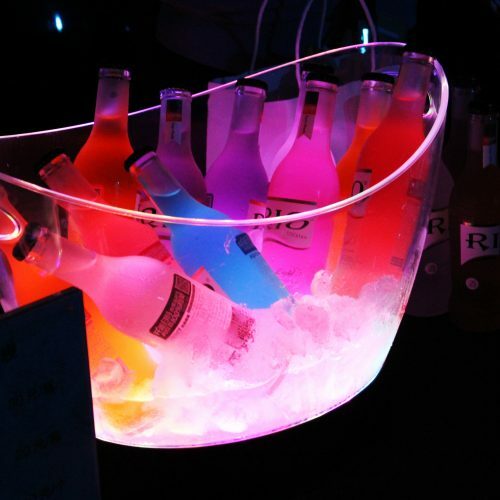 When the neon vanished, the game would be over. 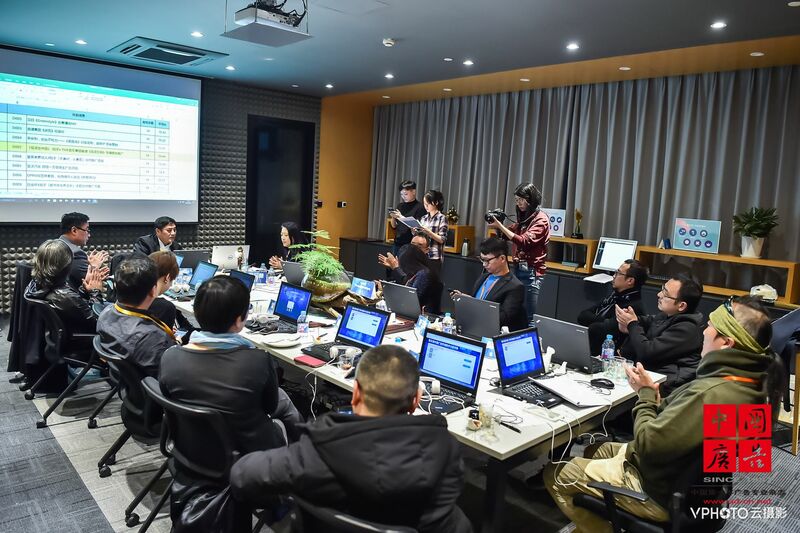 At the end of the game, human beings who could get success unconsciously lost the crown, reproductive human beings countered back and won the game. 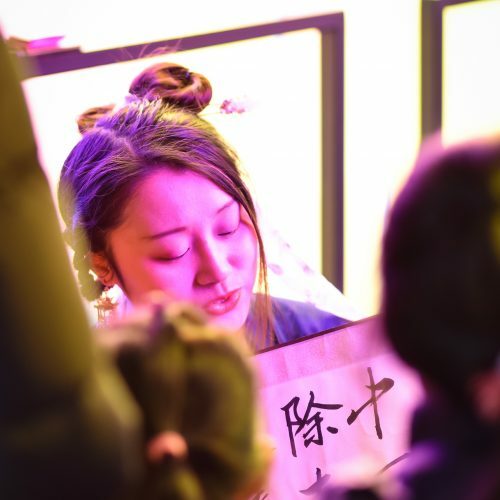 It’s just like what the glass theatre show——Dream brought to us, forever-lasting neon dreamland, just like a dream, one’s life is changeable like the glass material, even though there would be bitty moments, it’ll still be glaring and shiny. 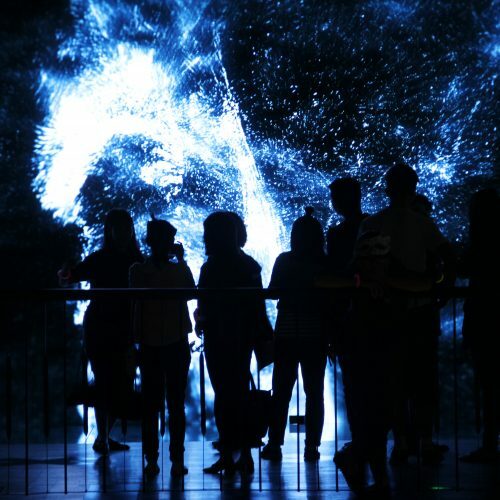 “Blurring in the darkness, but still having dreams in heart”, that’s what the museum wants to show. 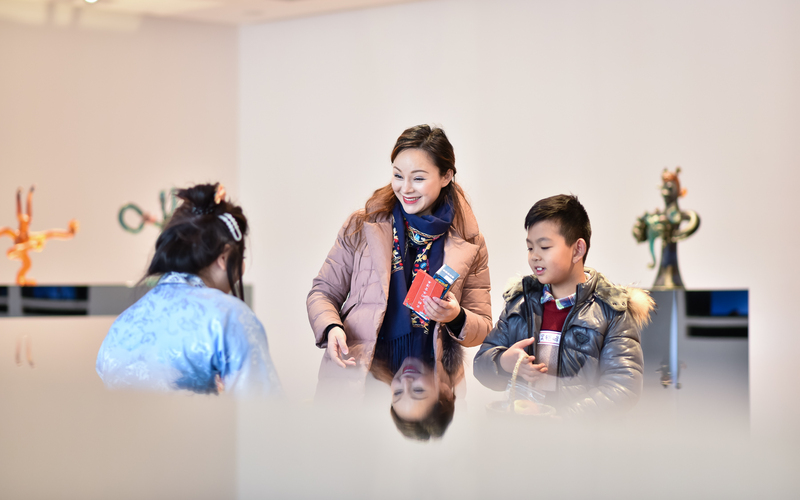 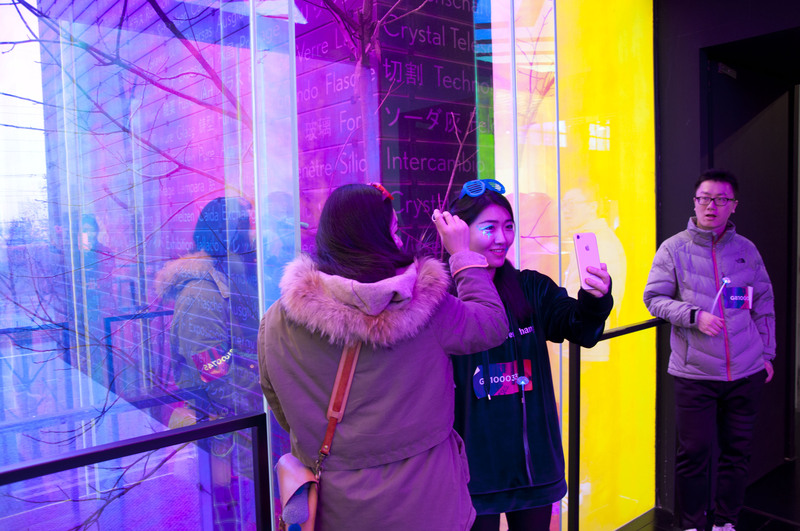 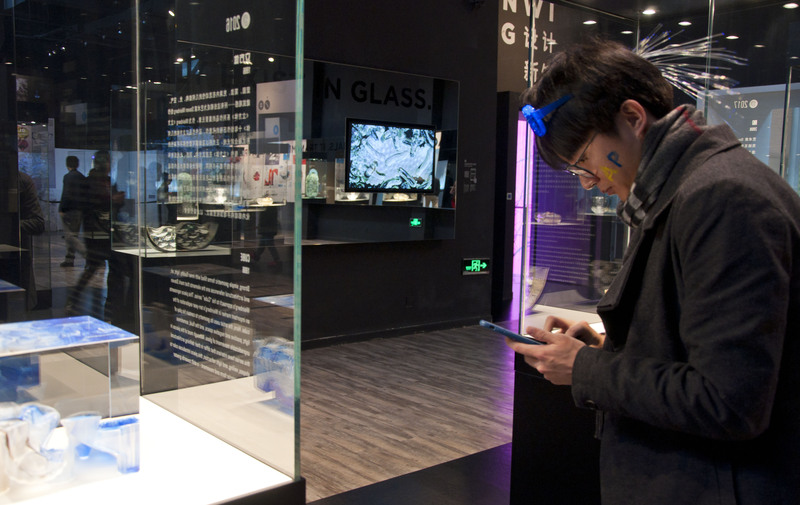 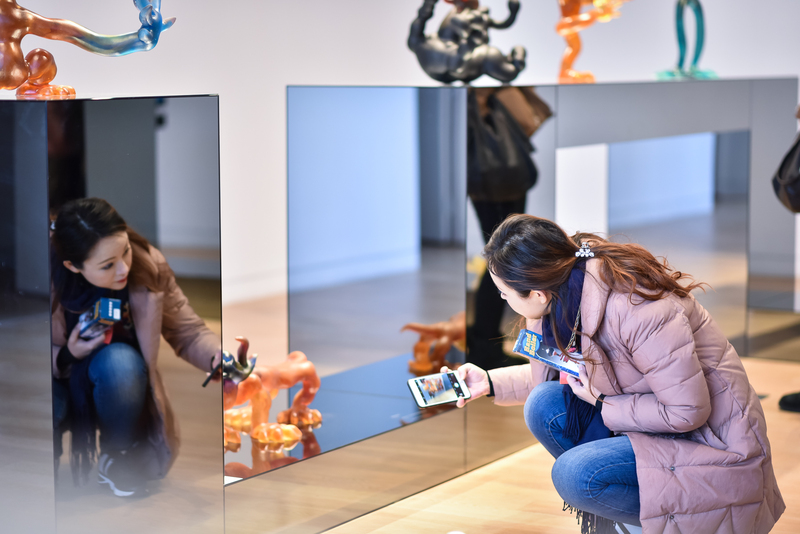 Every day in 2018, Shanghai Museum of Glass will always be company with you and spend the glitterier moments together, also sharing the infinite possibilities of the glass! 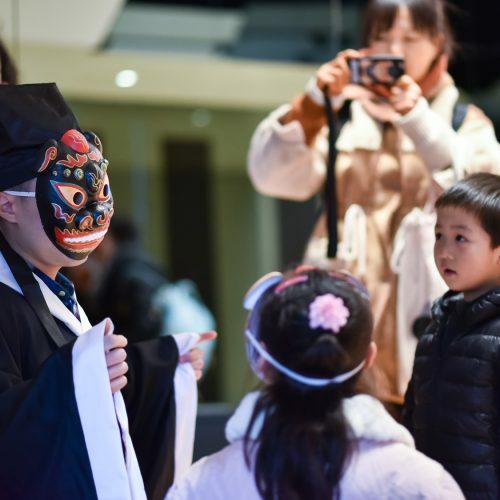 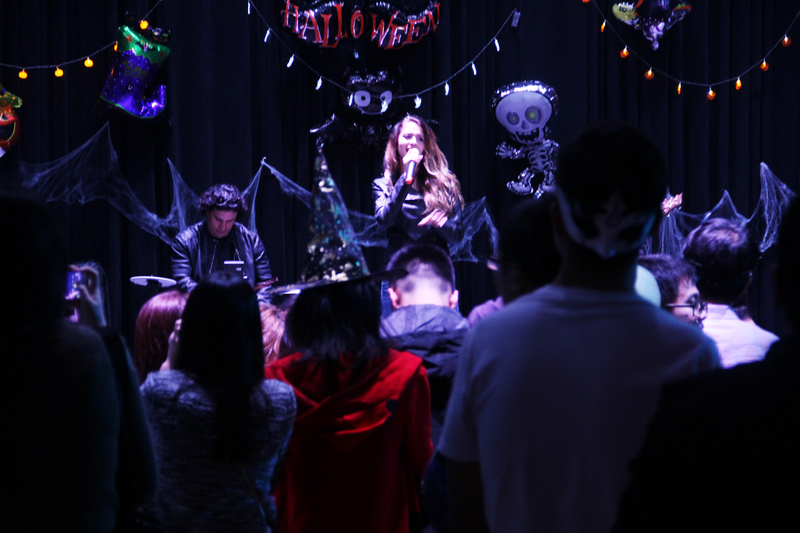 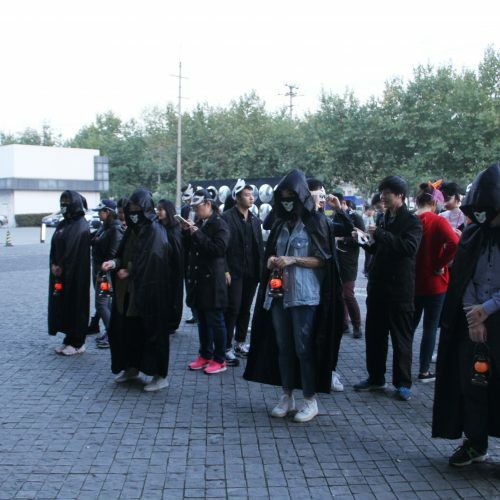 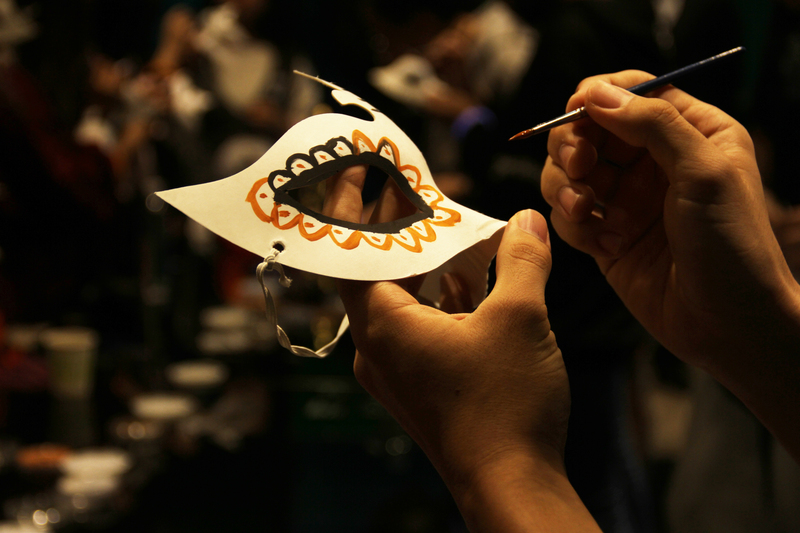 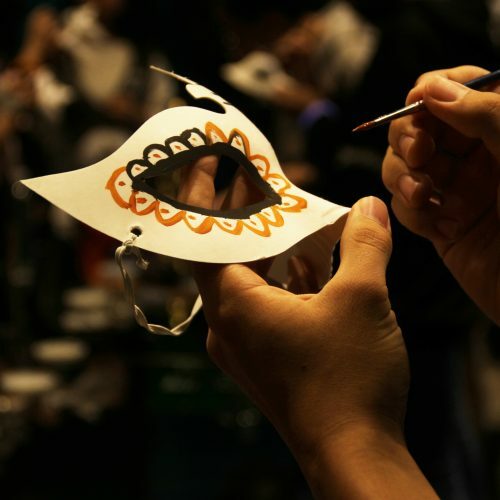 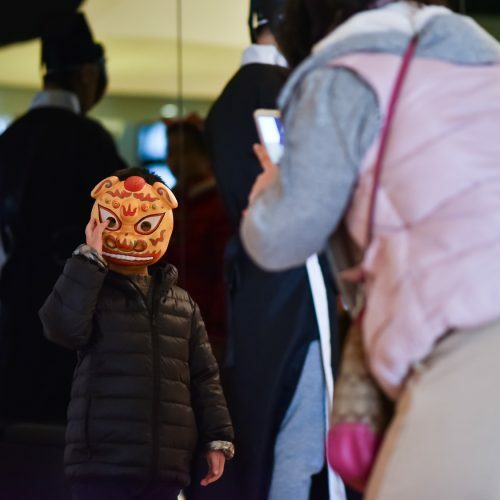 On October 21, 2017, Shanghai Museum of Glass held the “Museum Halloween Party”, a first of its kind for young people. 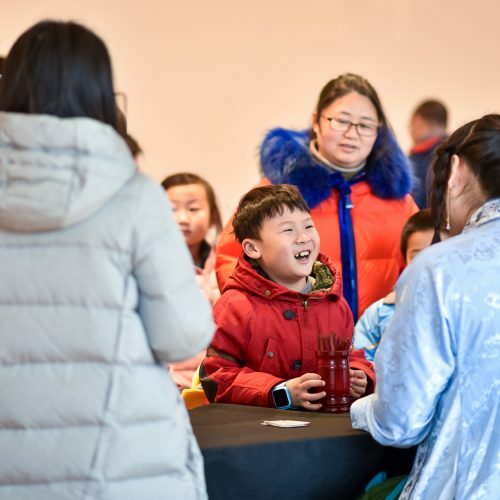 After the event was open for registration, about 200 people signed up for it, which exceeded what was expected. 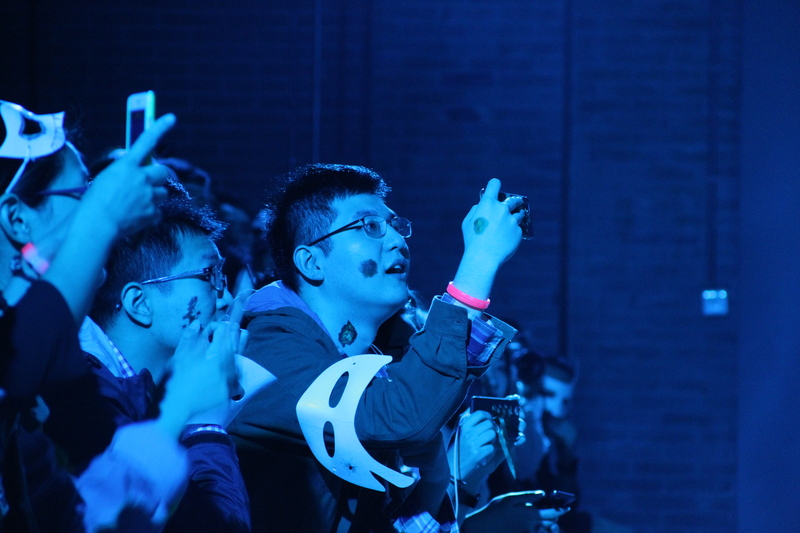 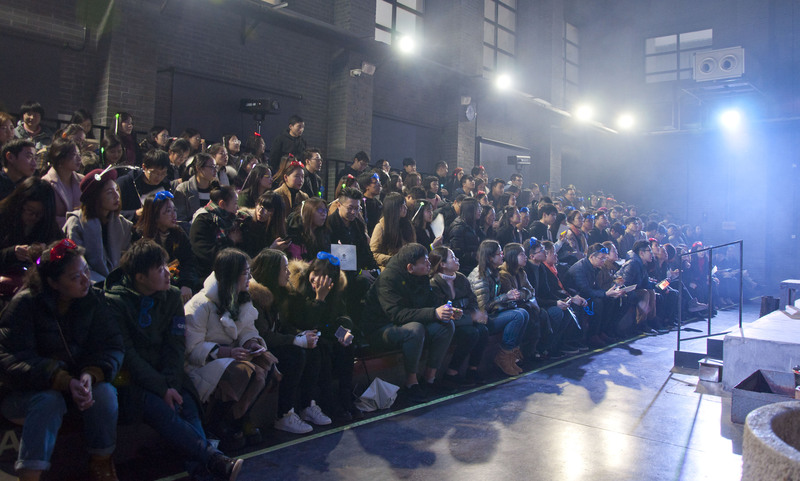 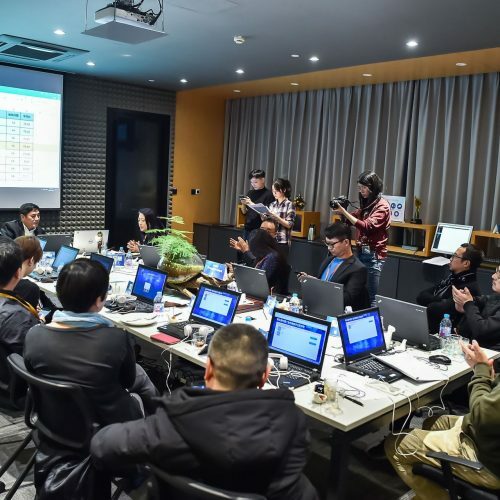 From the opinions and words sent to SMOG after the event, the creative team received the most affectionate and enthusiastic evaluation. 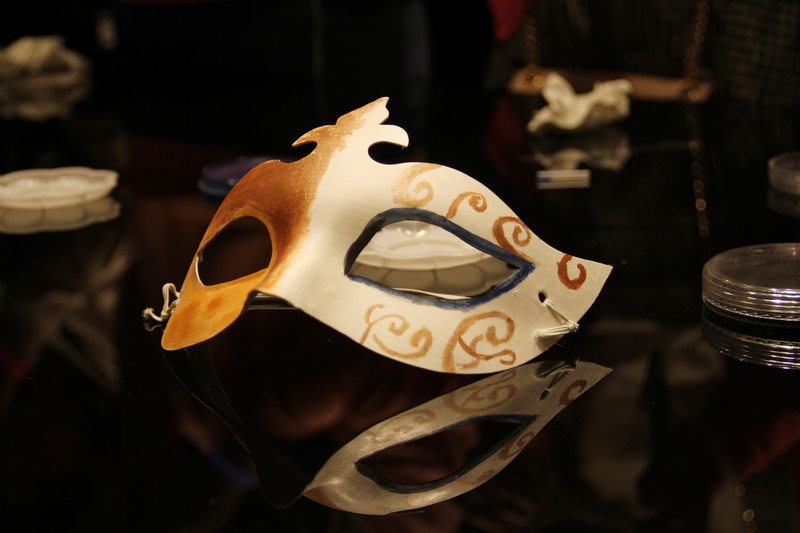 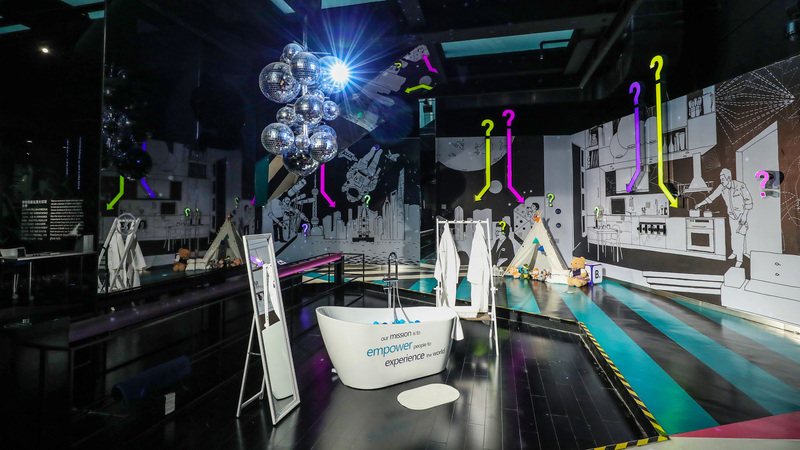 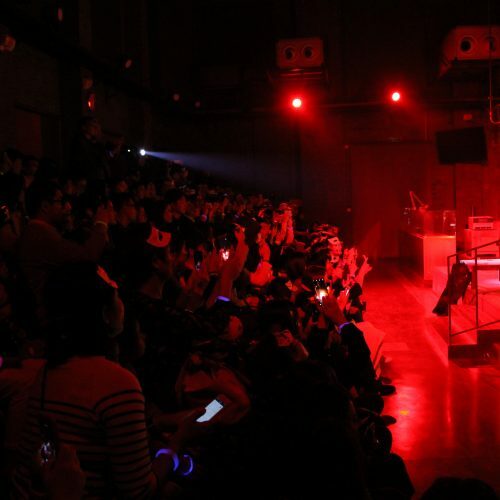 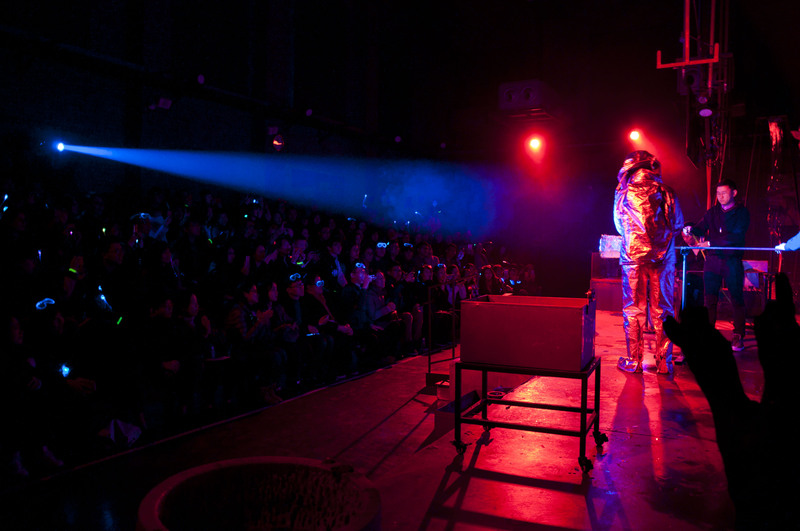 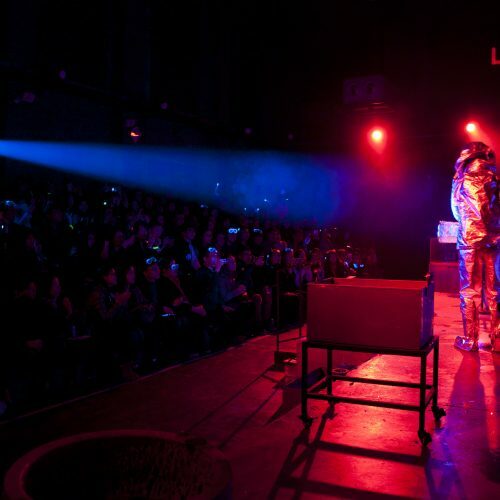 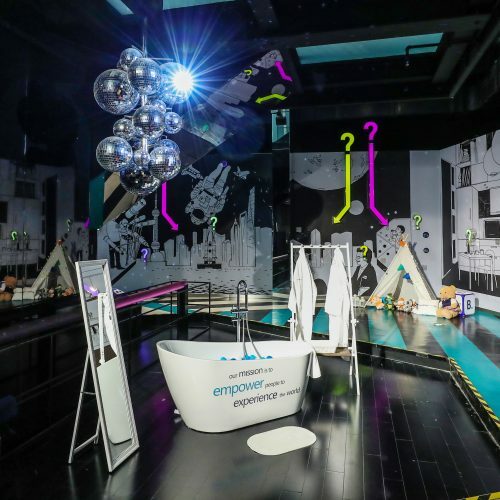 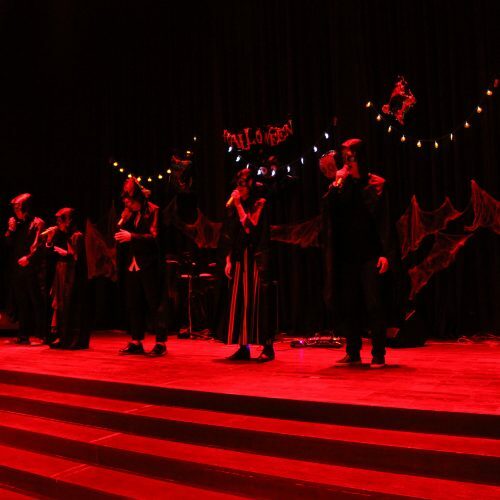 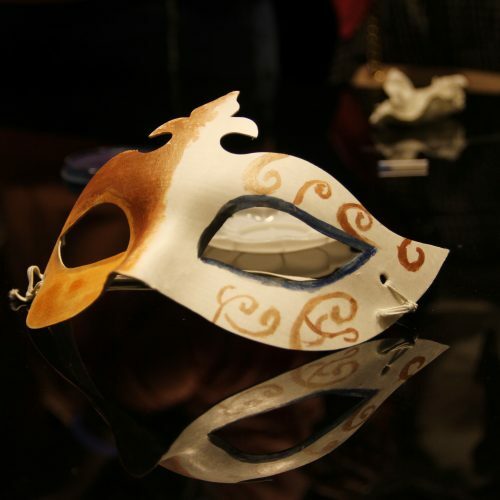 The event was carried out in three activities: A Secret Exploration, The Hot Theater, and the Music Show. 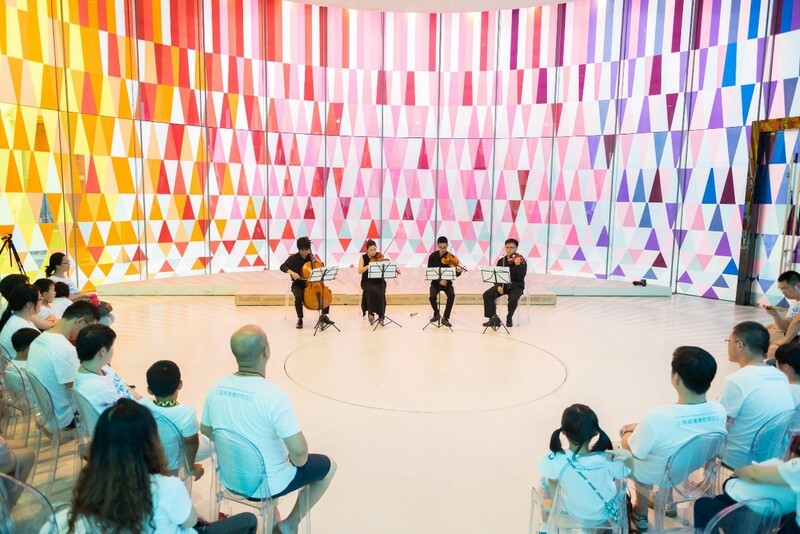 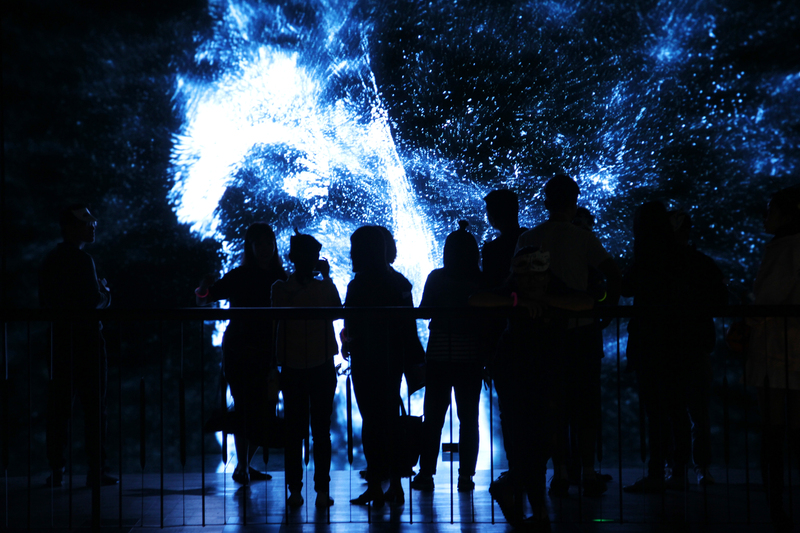 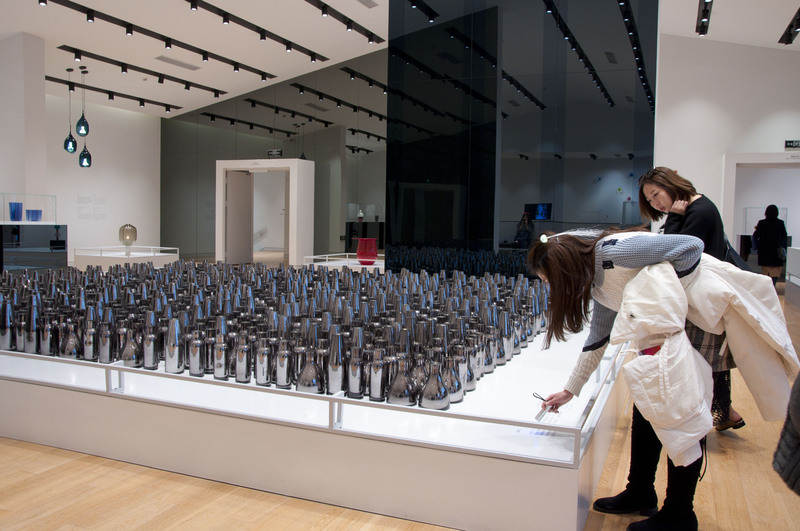 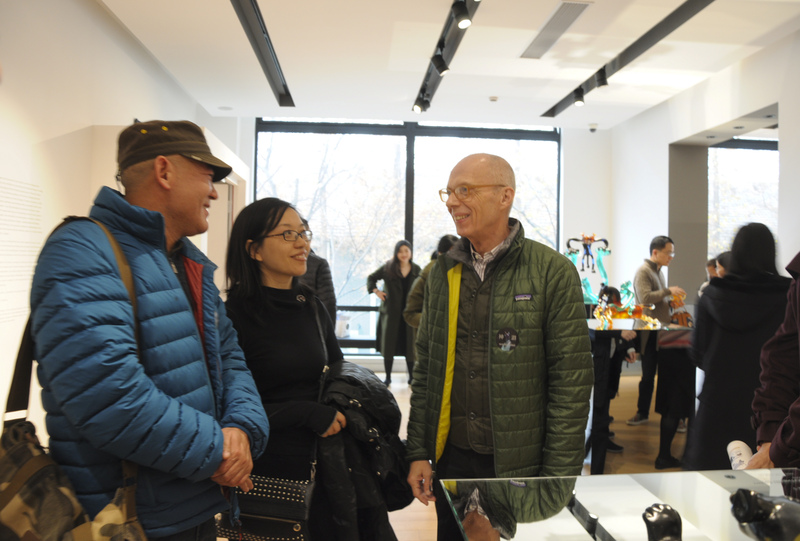 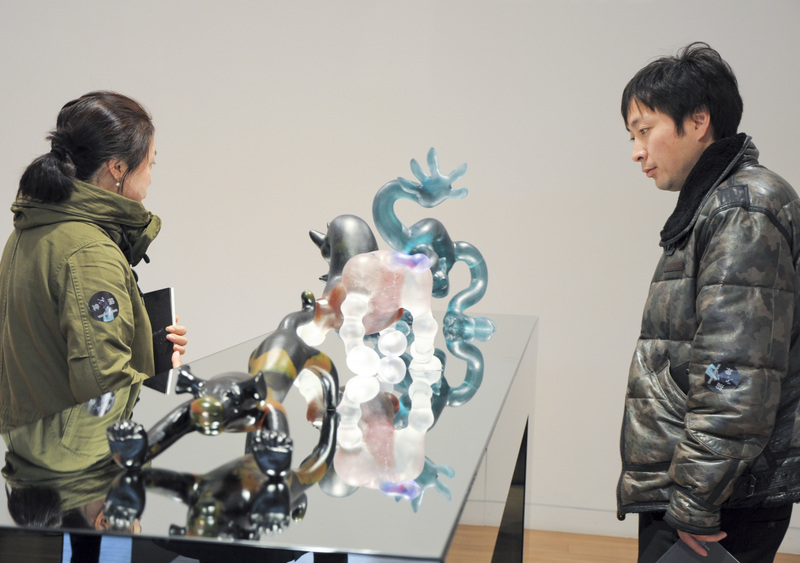 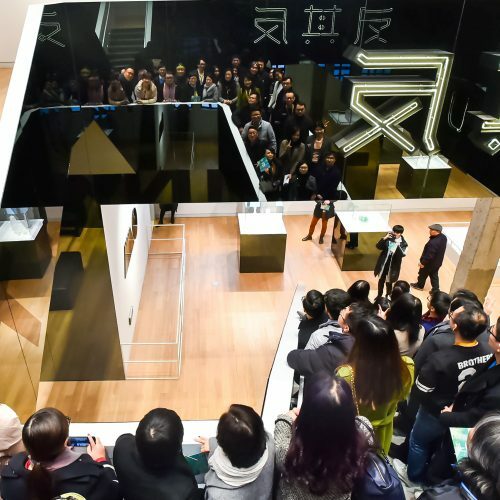 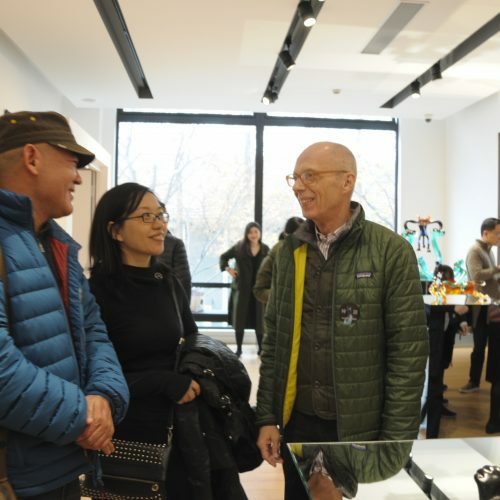 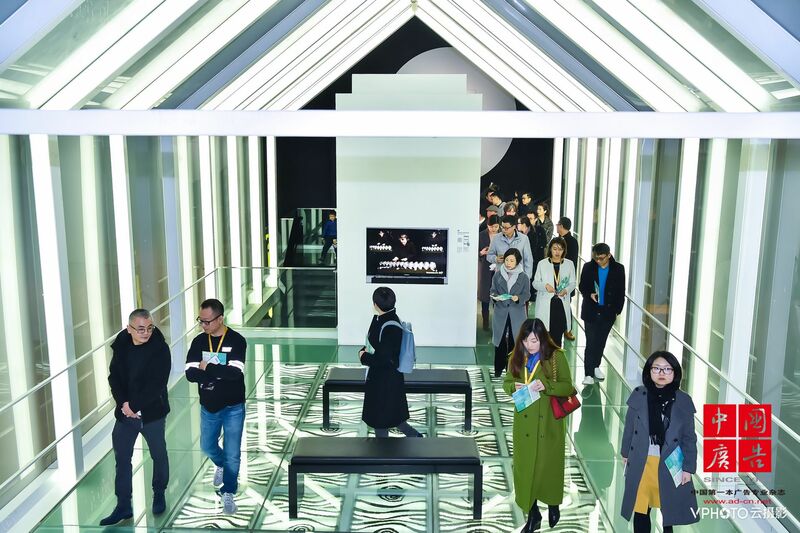 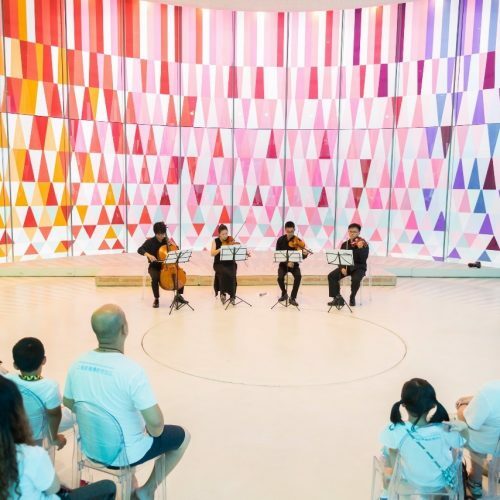 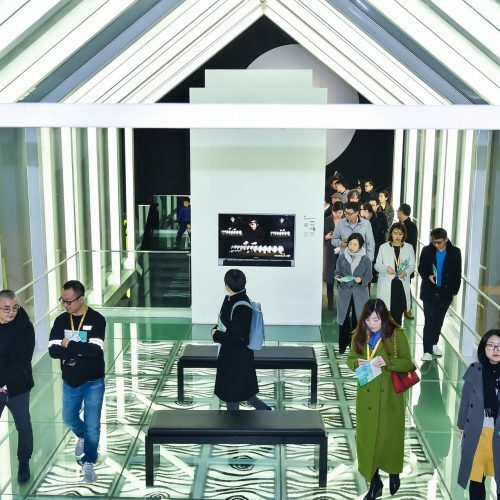 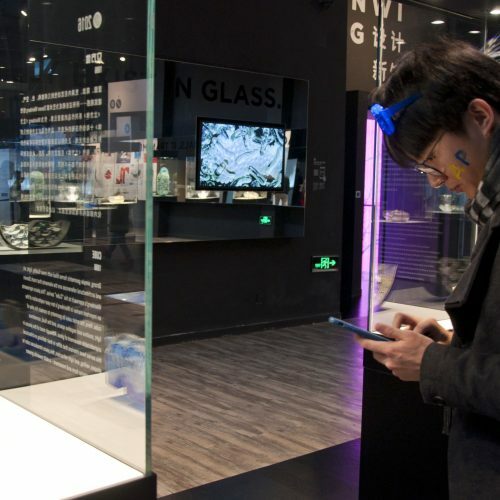 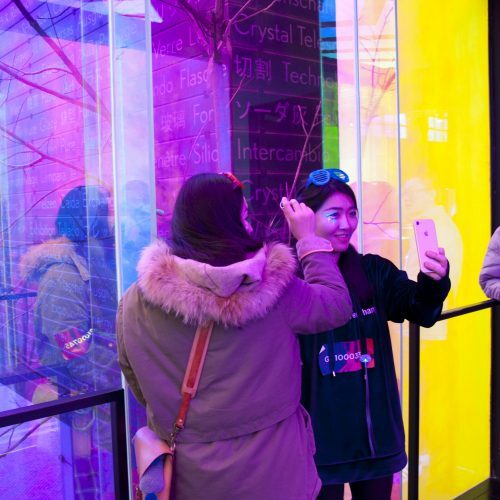 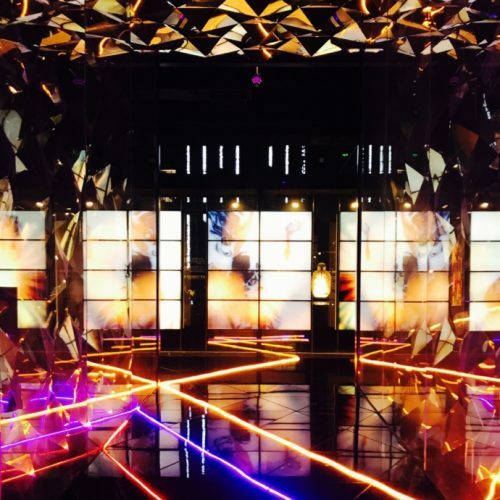 The first activity, from 17:00 to 19:00, took place at the Main Hall and the Maze, where visitors not only experienced the diverse and open space structure, but also witnessed the multi-level and multi-angled material and spiritual state of the glass. 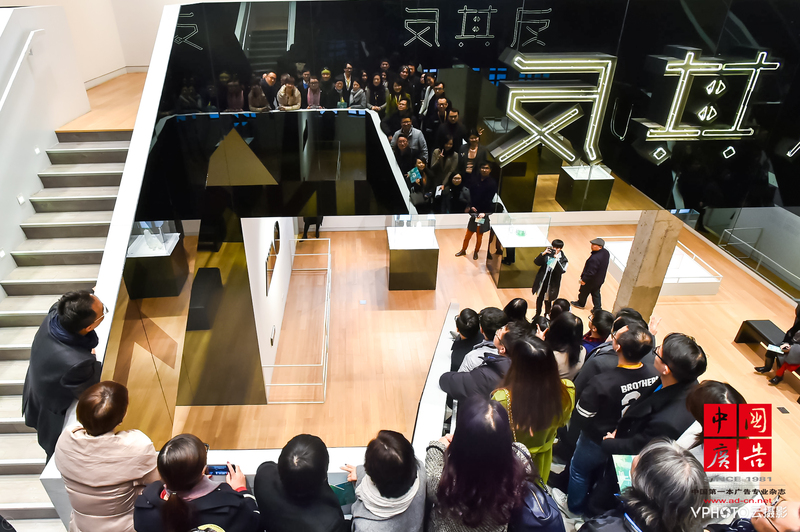 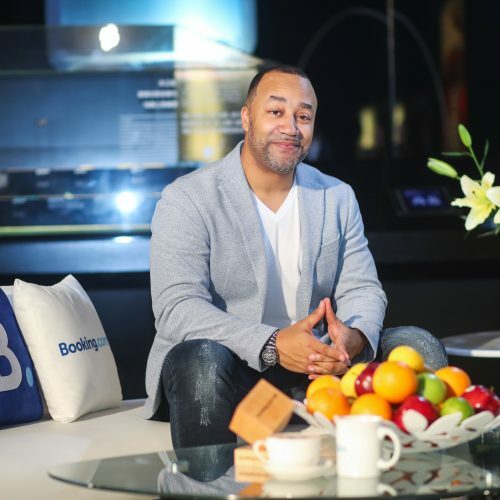 In this section, visitors were granted the possibility to display, discover, innovate, explore, and extend the literary path of themselves and the city as a whole, all through the form of glass. 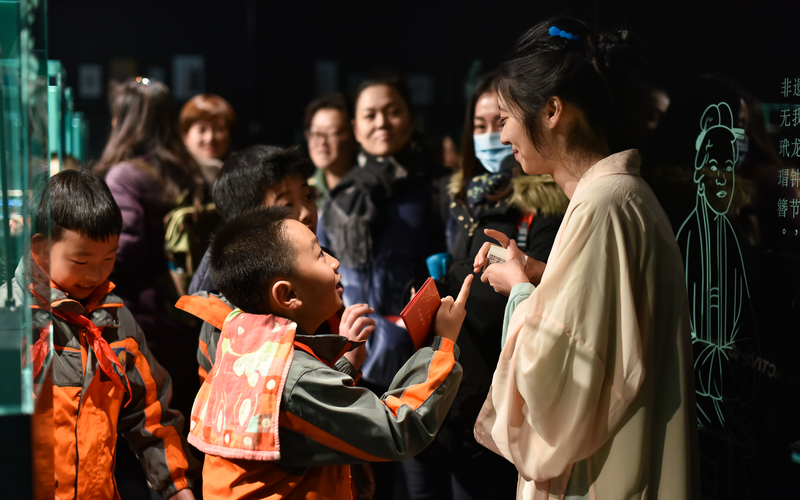 Another highlight of the event, the Hot Theater, is the only stage around the country and the globe where glass is the protagonist of plots. 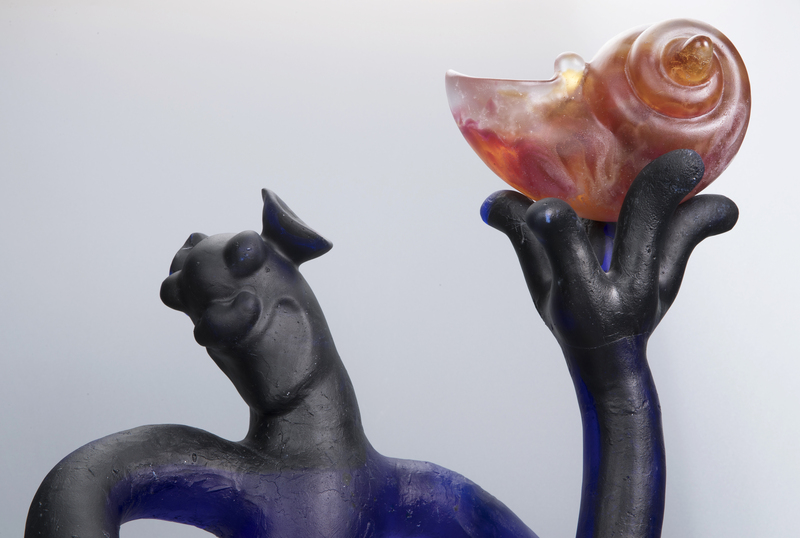 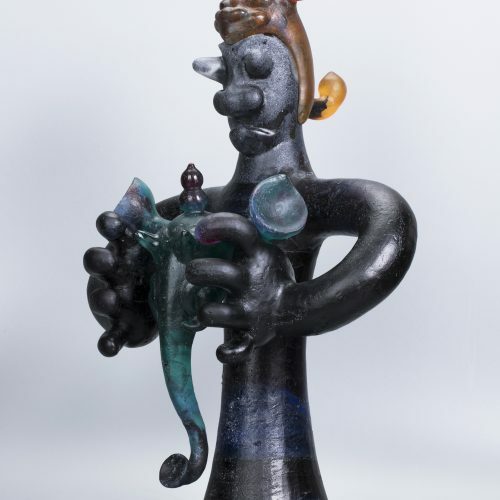 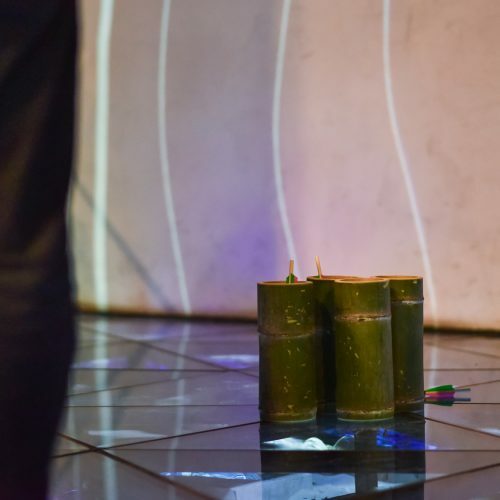 During the shows, different forms of glass are expressed with more dynamics: glass artists skillfully deconstructed and disrupted conventional elements of the theater: music, the stage and the lighting, which was passionately received by the audience. 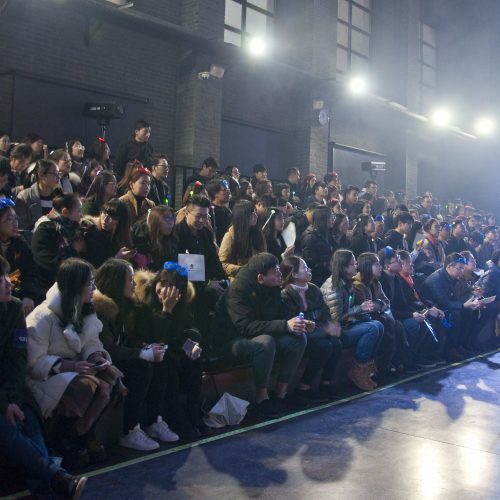 As a key part of the event, the Music Show was designed to provide different styles and dynamics; with tremendous efforts by the creative team, the Music Show featured performances by groups from Fudan University and Ukraine: Poptricks, a music group which focus on Acappella and pop songs, FDanso, a modern dance group that has been performing in Shanghai for about two decades, and a rock music band led by MARYNA ZIMA from Ukraine. 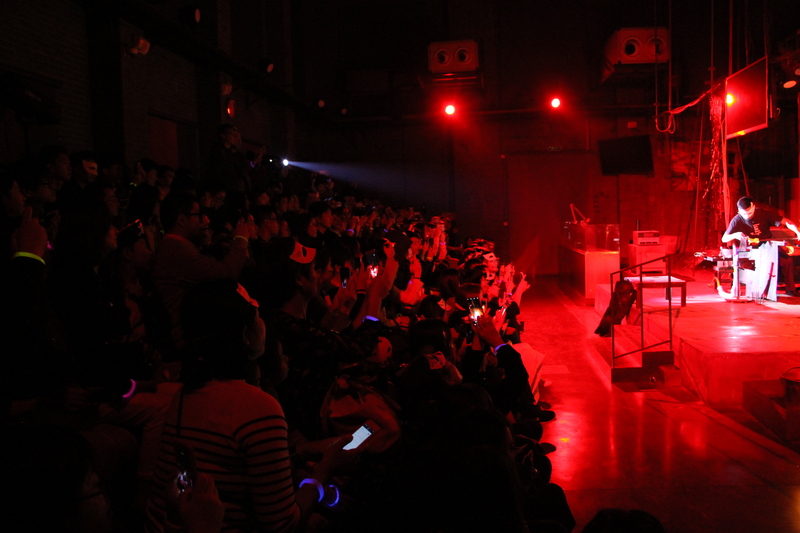 During the show, organizers also offered various snacks and drinks, which, combined with the amazing music, pushed the event to its climax. 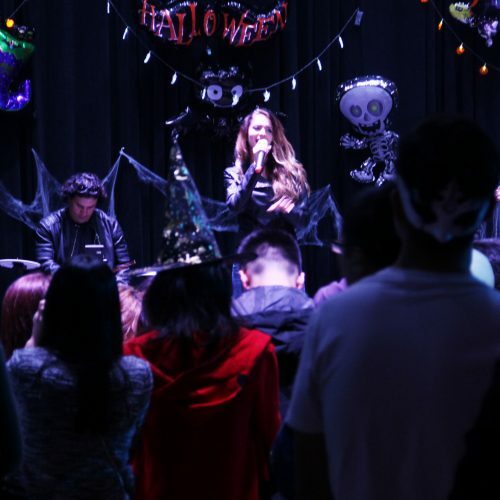 In this year’s Halloween event, we innovatively integrated plots and roles so all of our visitors can feel more engaged. 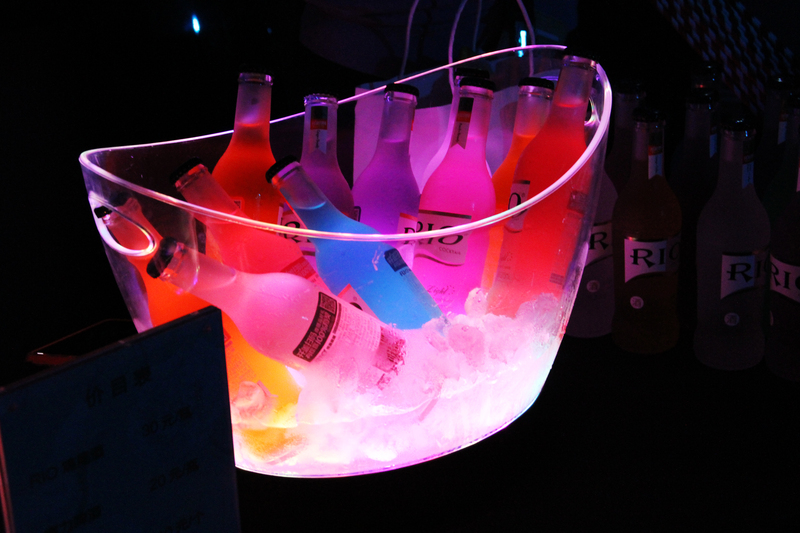 Did you have a good time? 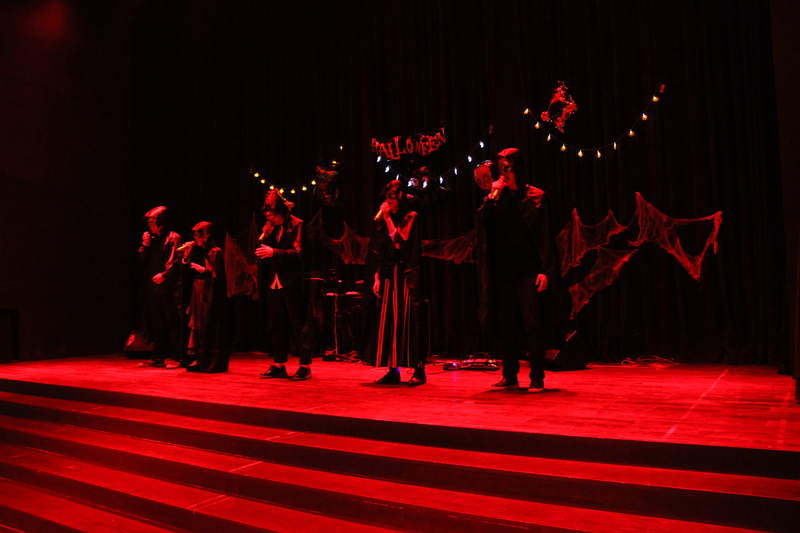 This Halloween party has successfully concluded, and the dark figures have backed down. 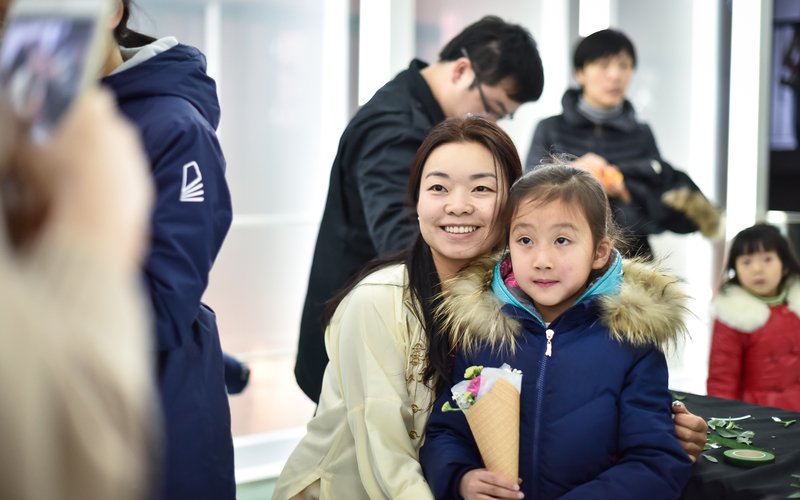 If you enjoyed our party, please take a break and we’ll roll out more wonderful events soon! 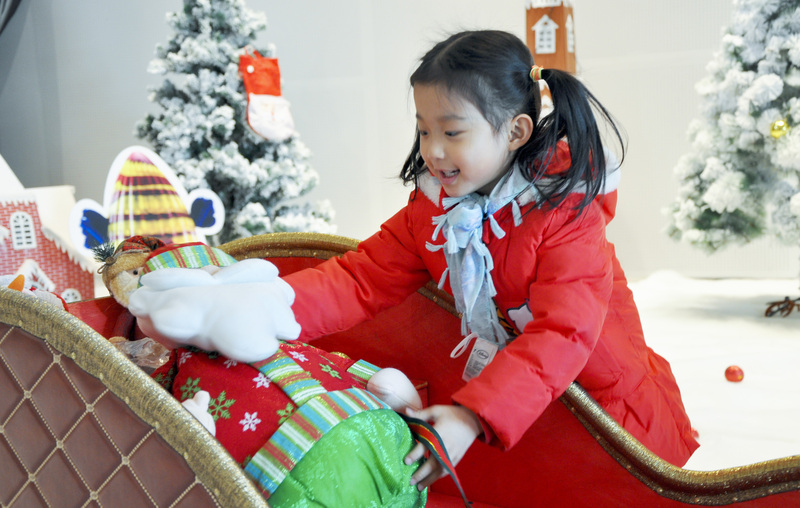 Dream is the sweetest word in the world, and children are the most pure and innocent group of people. 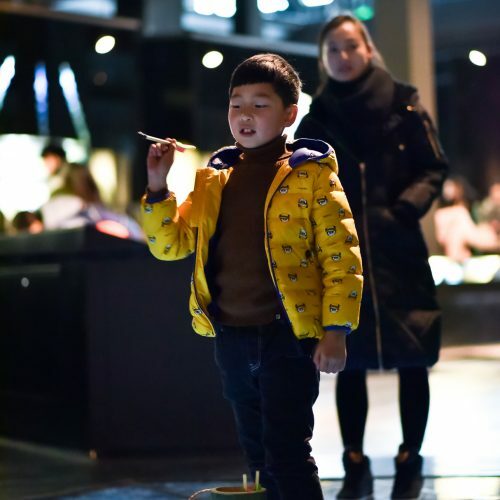 When children and dream are put together, there is no doubt of endless inspiration and motivation. 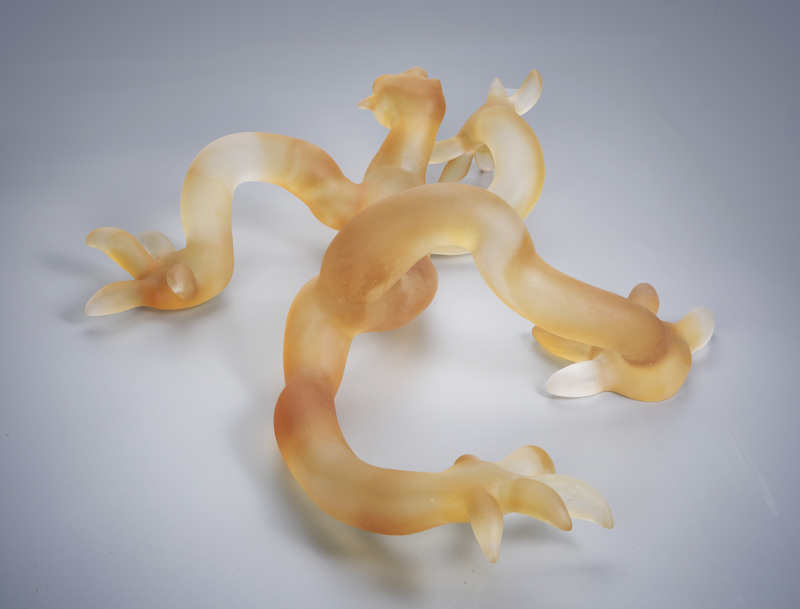 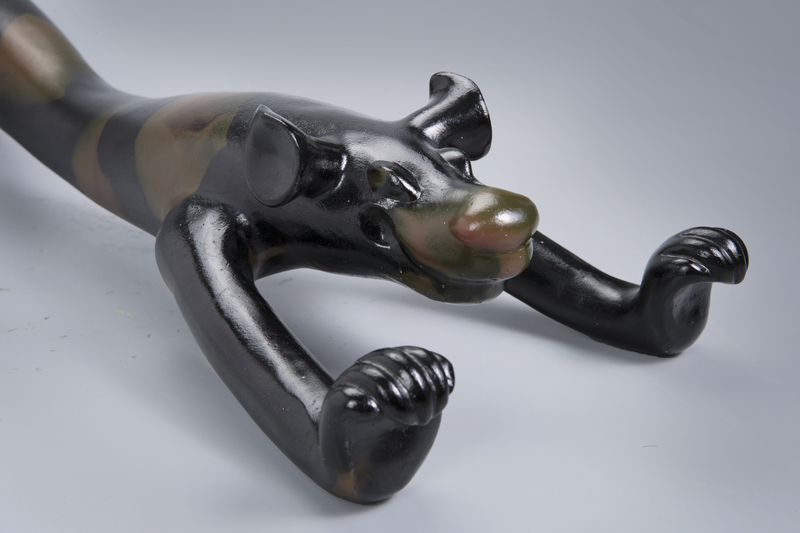 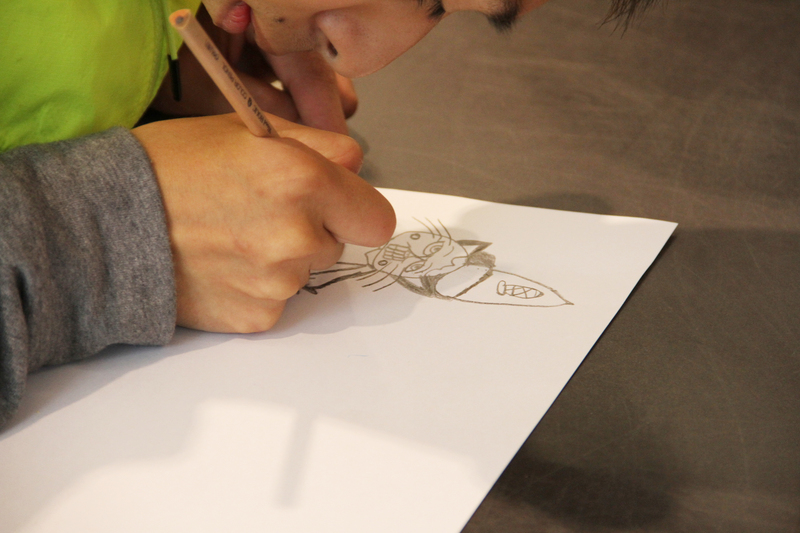 The “Kids Design Glass-Glassy Dreamers” project, initiated by Shanghai Museum of Glass Park-Kids Museum of Glass in the Spring of 2014 jointly with the Museum of Glass in Tacoma of United States, has been held successfully for two years, where thousands children have drawn out their dreams and the Hot Shop Team of the Museum of Glass in Tacoma have given life to their imagination by turning them into brilliant artworks. 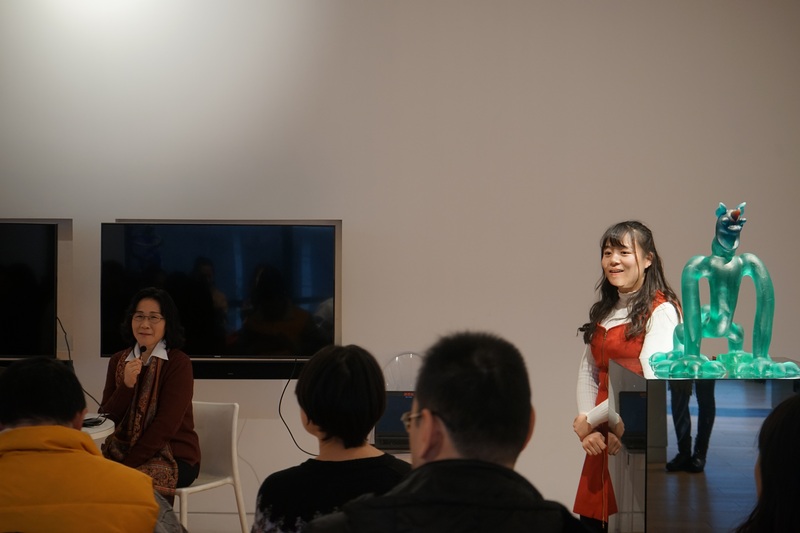 On September 23, 2017, the recruitment campaign for the long-awaited third event of the “Glassy Dreamers” project with a theme of “Extend Your Dream for Charity”. 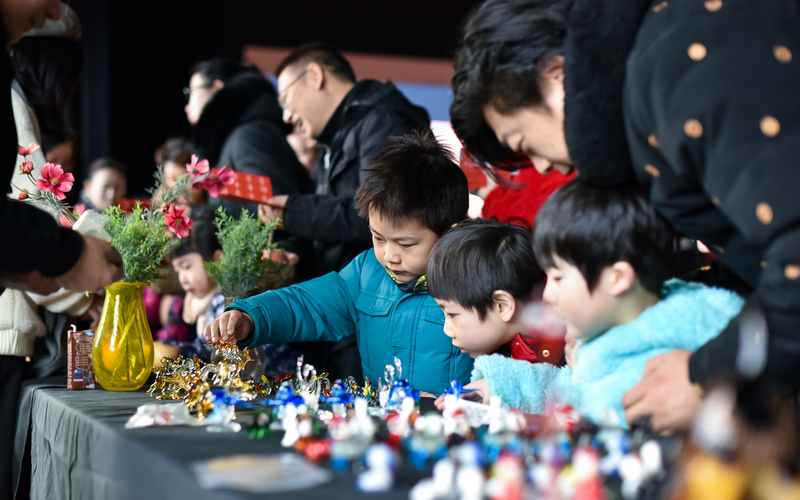 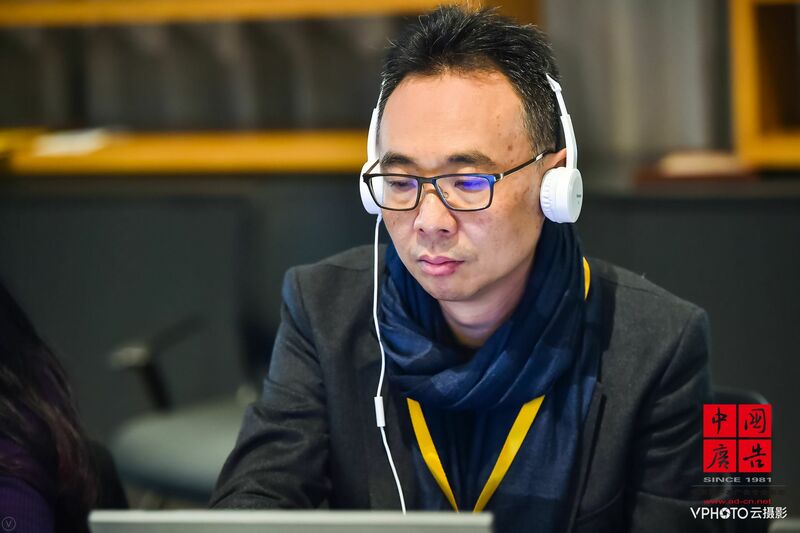 This year’s event will be more diverse, for we will invite adults to join the creation of children: big or small, everyone is entitled to dream. 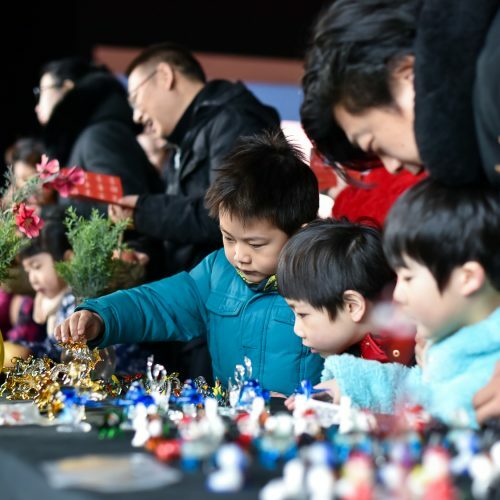 Certain proportion of each registration fee will be donated to charity courses to help autistic children who also want to realize their dreams. 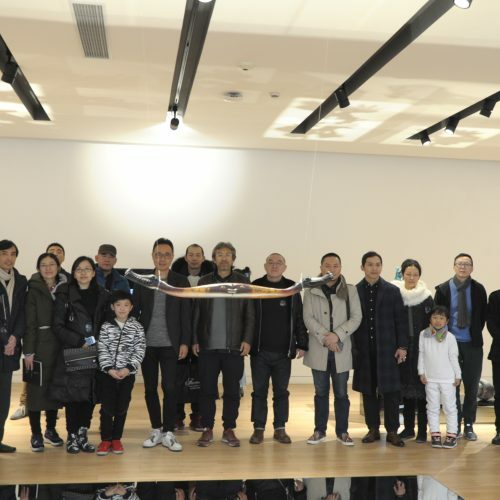 On the day of recruitment, Shanghai Museum of Glass joined hands with World of Art Brut Culture (WABC) in mounting a special exhibition titled “Painting·Speech”, where the paintings were contributed by people with intelligent or mental imparity at Ji Xun’s Mental Health Residential Facility, Hongkou Miyun School and Caihongyu Children Intelligence Training Center. 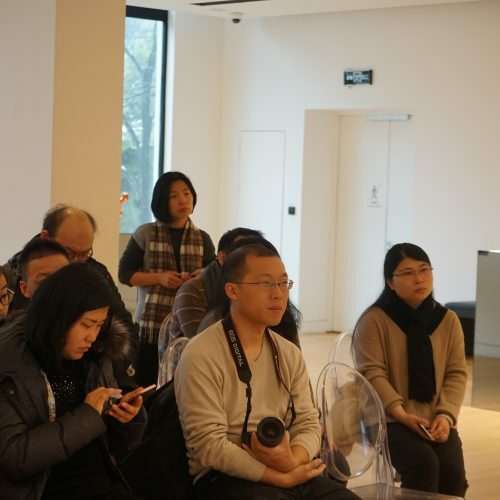 The imparity never stands in the way of their capacity to create amazing paintings, and the exhibition was also intended to help the public better understand and give more care for them. 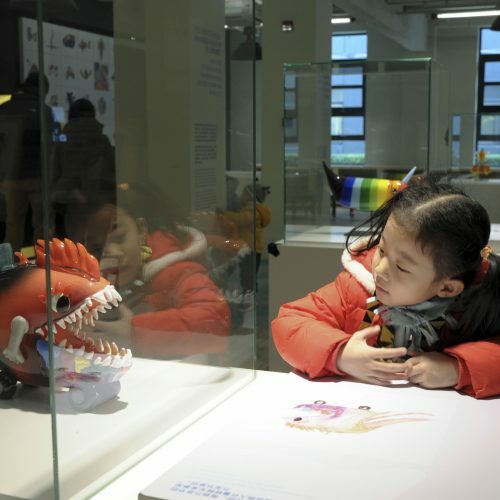 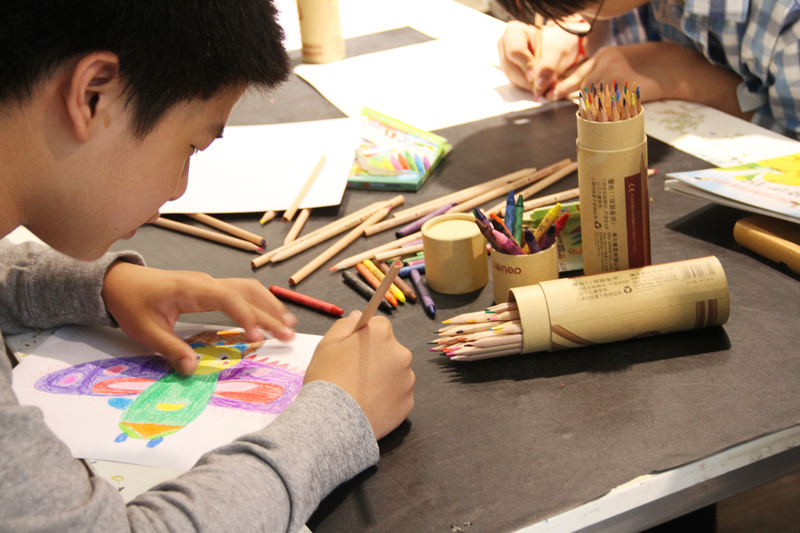 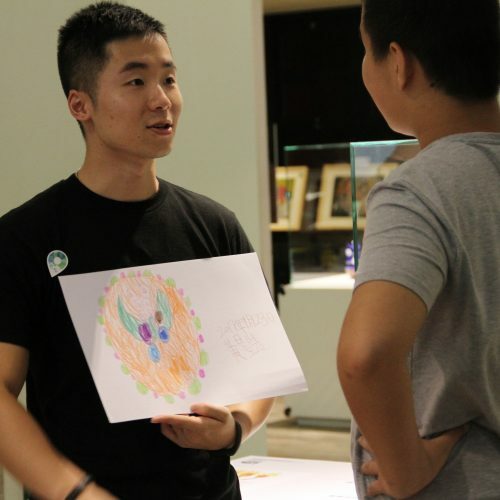 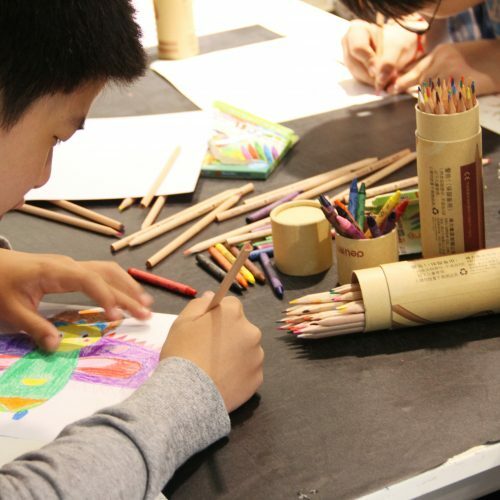 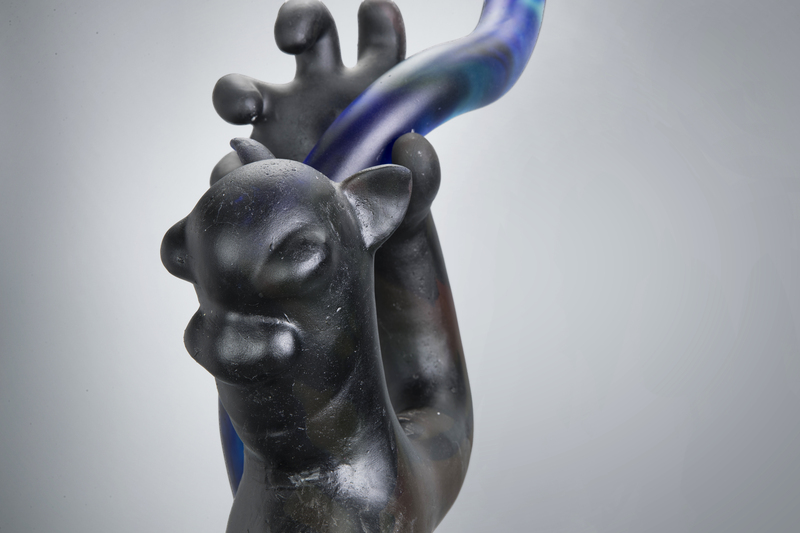 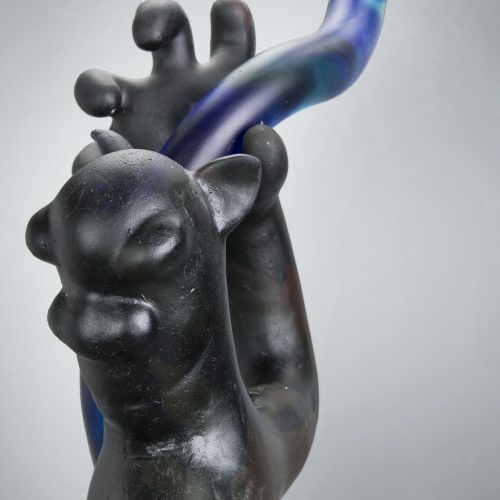 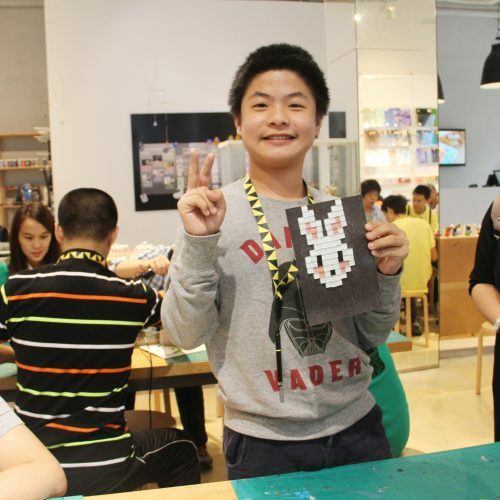 This year’s “Kids Design Glass” event, targeted at primary students nationwide of 6-12 years old, has set a special campaign of “Brave Guardians” where children are encouraged to draw the guardians in their heart who can beat the monster called “autism”. 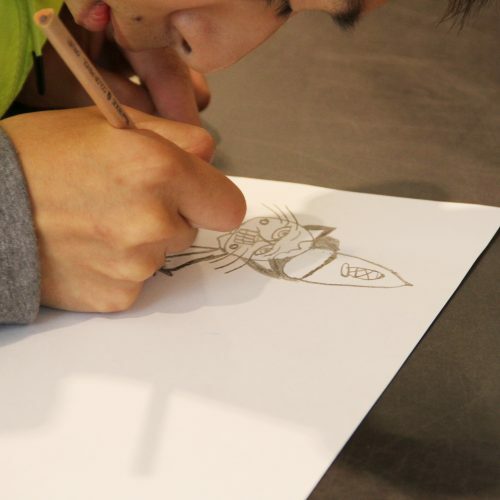 SMOG hopes that children can realize their dreams and feel the happiness of helping other out: the guardians they draw will not only project their dreams, but also dreams of all autistic children. 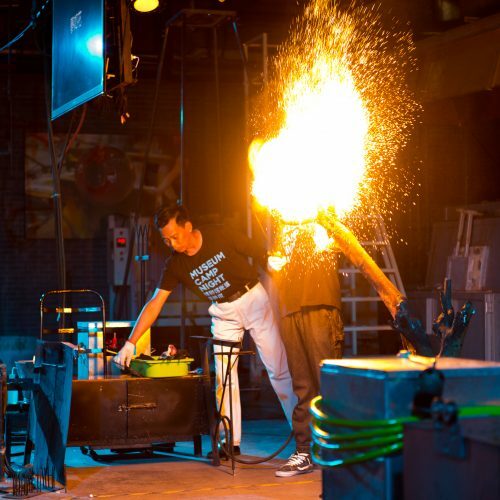 SMOG will select 20 paintings and send them to the Museum of Glass in Tacoma, where artists will put the magic of techniques to turn their creativity and imagination into beautiful artworks. 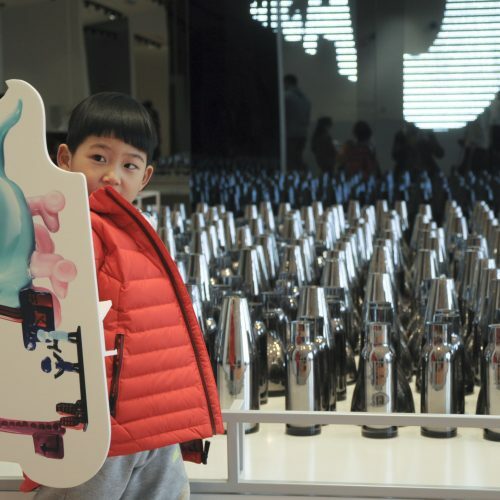 In the meantime, SMOG also invited both adults and children with dreams and passion to put their dreams into glass bottles to participate in the “Dream Bottle” activity. 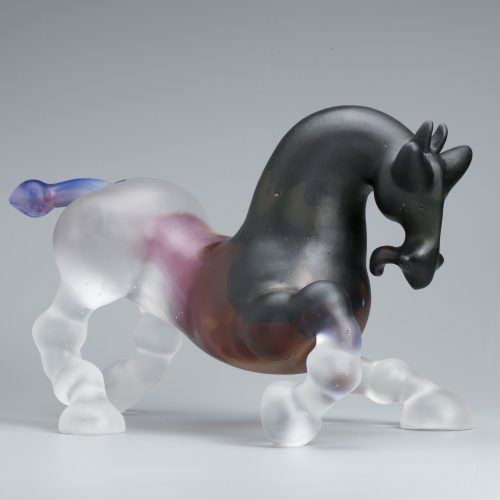 Colorless, transparent and even cold as it is, glass brings maximum tolerance and generosity. 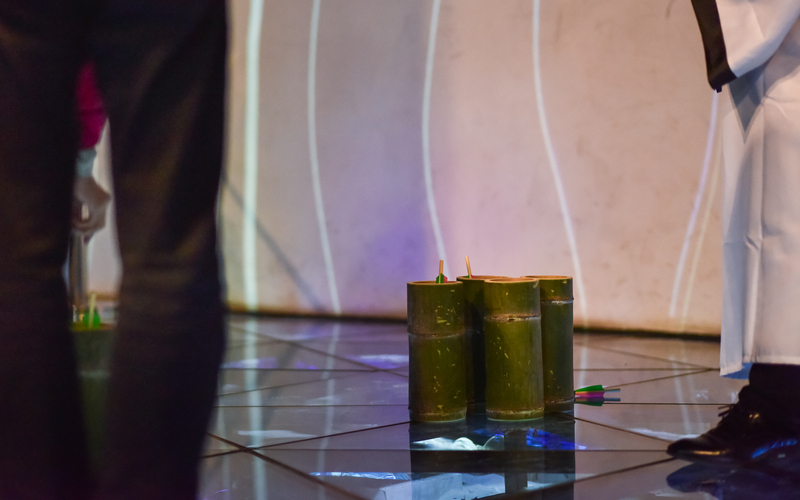 We hope these little bottles can carry your stories and sentiments. 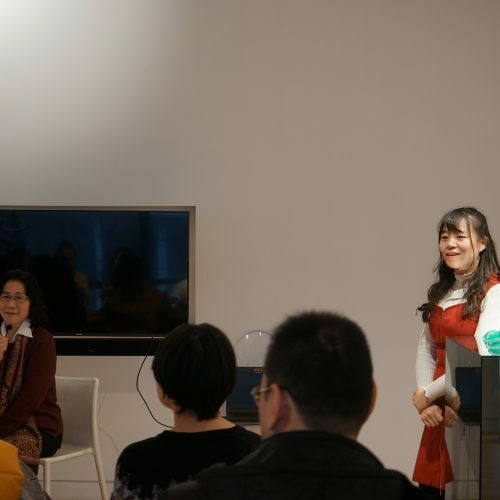 Carry your dreams in glass and tailor your talent with time: we will store your dreams for 2 years, and we earnestly encourage more people to join us in heling the autistic children realize their dreams. 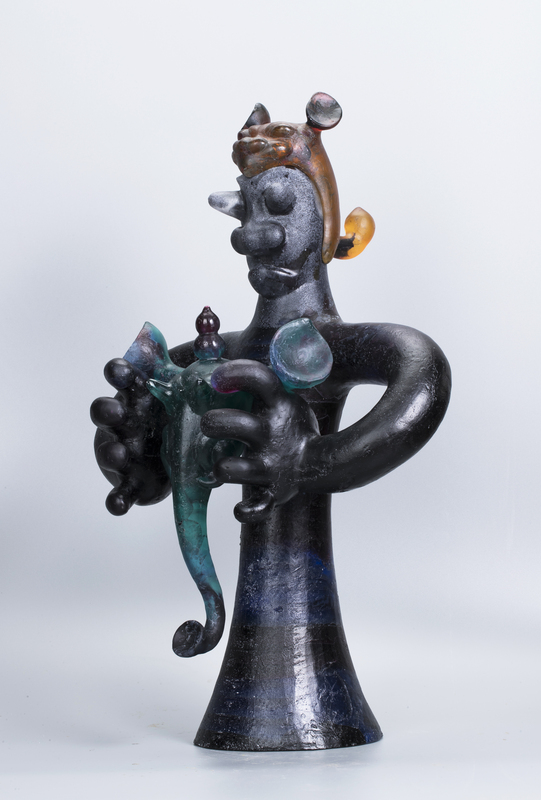 These dream bottles, a collective artwork, will also be presented at SMOG as a prof of care and guardian for dreams. 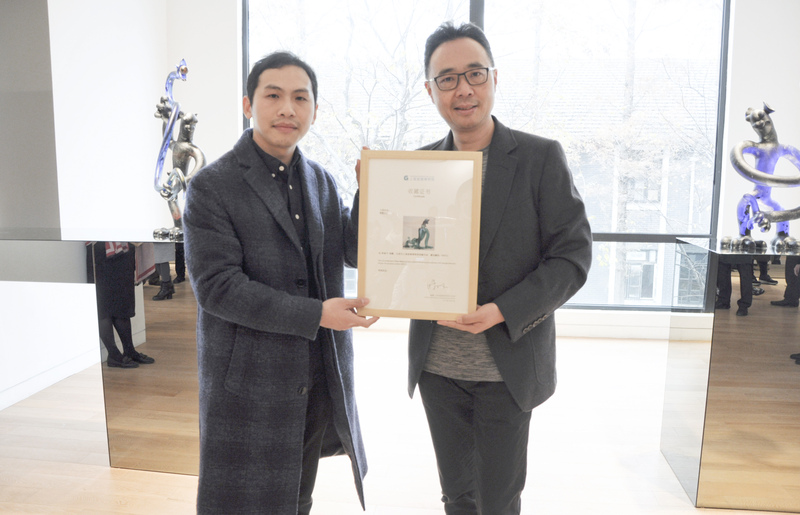 All participants in “Glassy Dreamers” will receive a special badge of love from SMOG for supporting the autistic children in giving a year-end performance in 2017. 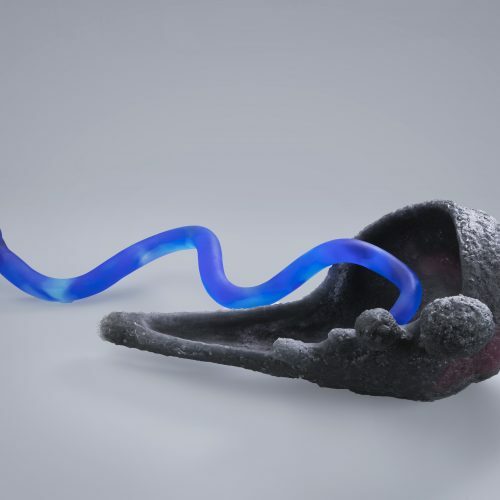 Like streams converge into a river, we have every reason to believe that tiny dreams will converge into a grand vision. 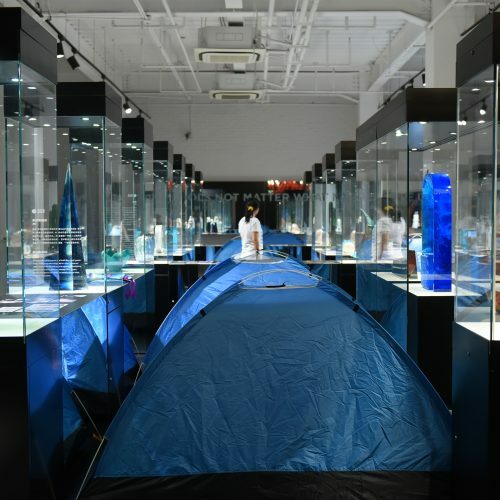 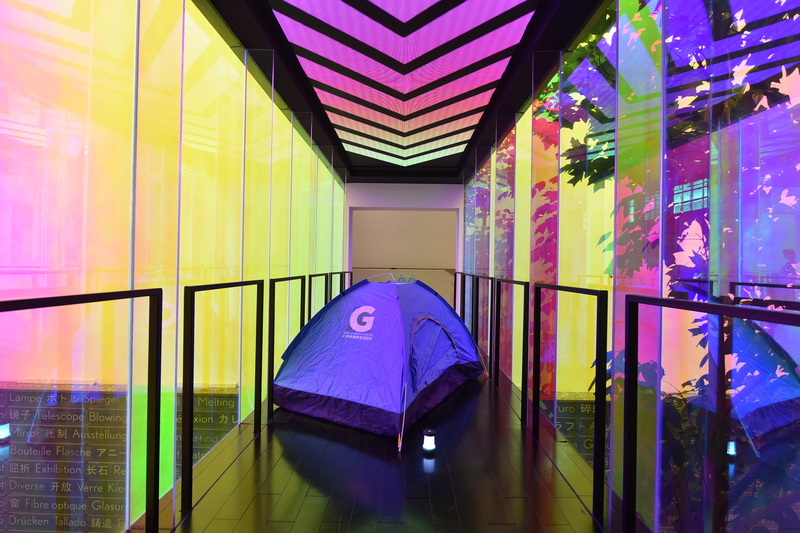 First introduced in 2013, Shanghai museum of glass “museum tent night“, is bold avant-garde attempt at that time, although far less than the size of that year today, but also makes many adult children applauded, the children feel the museum for the first time that fun is not boring, adults can also know for the first time in sleeping with tent art museum, Shanghai museum of glass through such bold attempt, the masses can feel with different museum at night during the day, really let realized” lifestyle “museum of the masses. 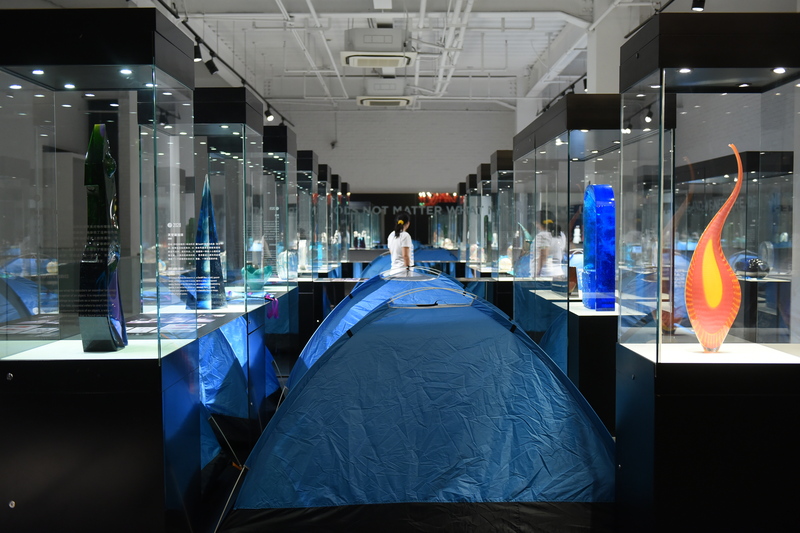 Opening night of the first tent on July 22, 2017.This is a night full of surprises, ushered in the first batch of glass museum in the size of the tent night, my friends, this year we have a comprehensive upgrade the museum IP, custom t-shirts, custom tent, the whole family got changed, together engaged!Family activities should be played like this. 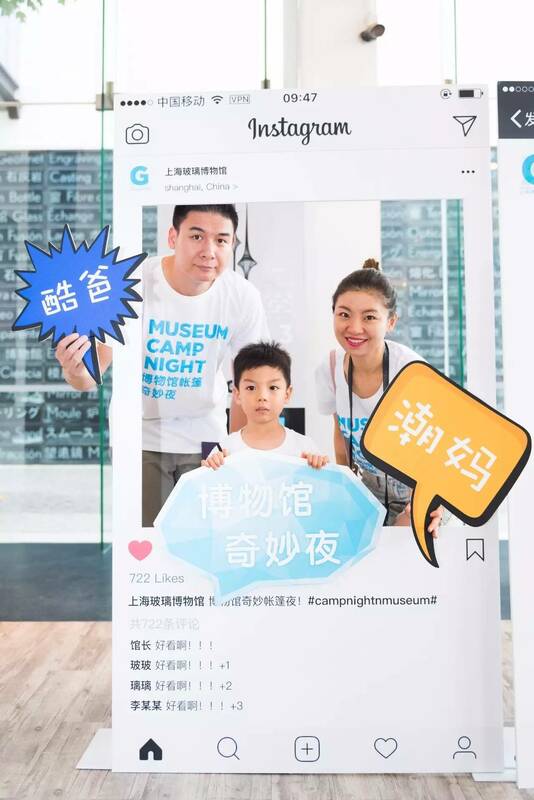 BBQ, cute mother cool dad, mysterious adventure task card, fun and fun, special hot glass performance show, cool and exciting.Group 30 families, more than 70 people, in the middle of the night, no noise, only adventure, without the sun, but have the stars, forget to conform, plunged into the night at the museum full of inspiration! 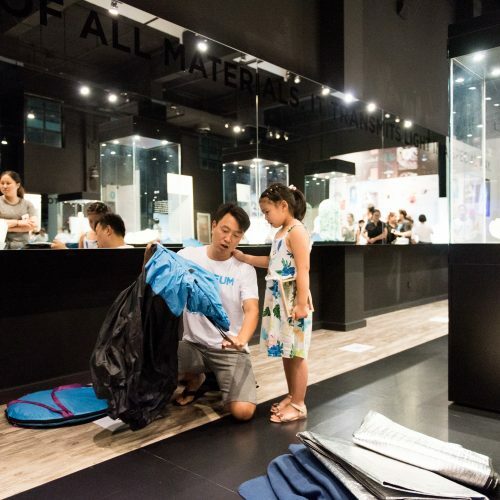 Usual night need to bring their own tents tents article such as sleeping MATS, so often have parents to pull the suitcase to participate in the activities, some really not convenient this year’s biggest upgrade is – we have own tent!Family travel light, need not tugged heavy luggage, uniformity in the museum’s tent, near the set in the art of strewn at random have send, high degree of recognition of T-shirt, is all the more engaged to children and adults. 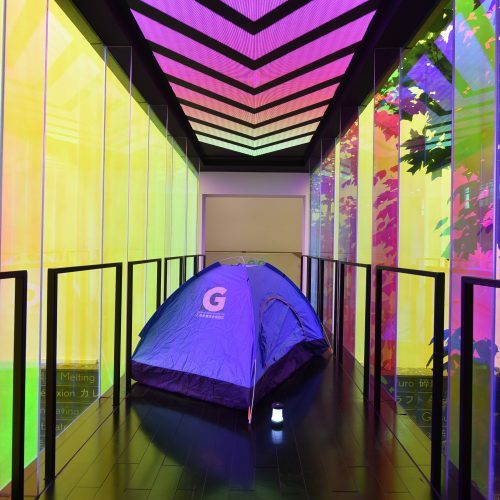 This tent night, we played the confidential is treasure, torsional displacement of time and space, 9 space-time gems splashed down in the museum of glass, guarded by nine guardians, the guardians are carrying time gem wander in the museum, and the need to collect all the gems, can help repair time and space.Children are given the task to save space and time, go to the museum is no longer exclusively, but excited state ~ purposeful meaningfully to visit the museum, through the conversation with the of all kinds of cosplayers, looking for the answer, complete the one-to-one problem answer, rich experience to visit and glass knowledge and cultural recreation, more let the children have to complete the task of pleasure. 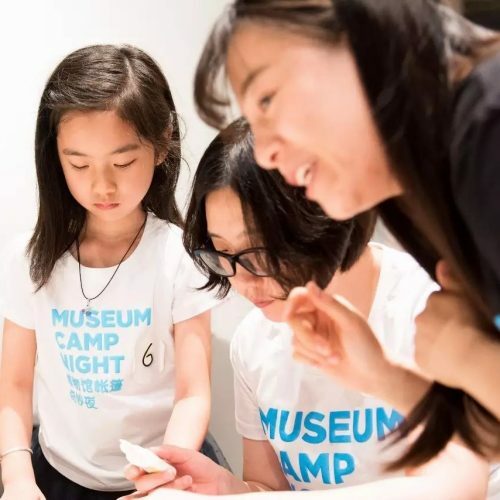 This year we are in the tents of the night, the success of joined the story and role playing drama, let the children to play with more investment, learn more seriously, reversal of time and space, collect gems, throughout the whole of the tents of the night trip to end of this year’s summer games tent night, maybe we can meet in the autumn, each reader and tourists, if you have a good suggestion, or want to play, the theme of the welcome message to tell us!